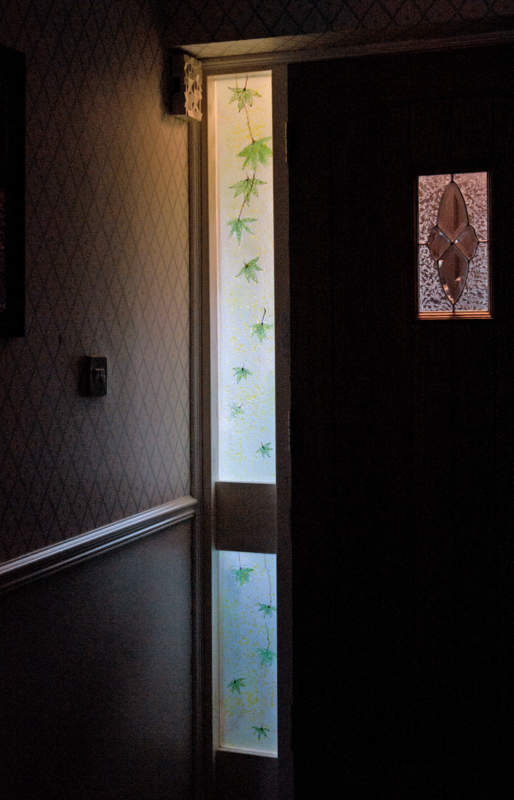 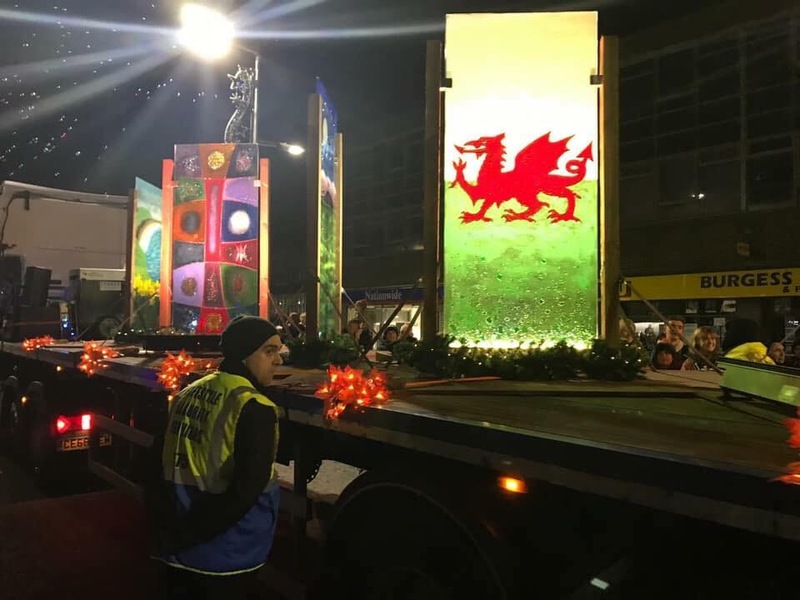 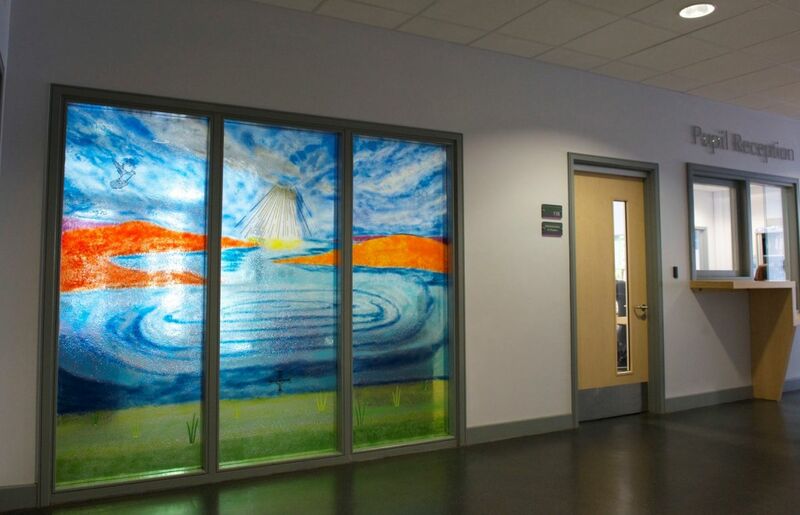 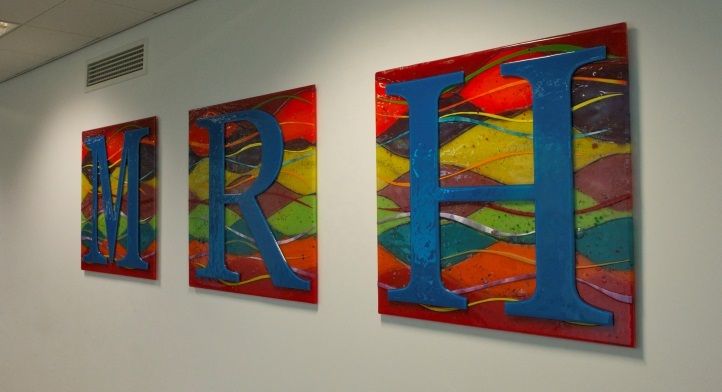 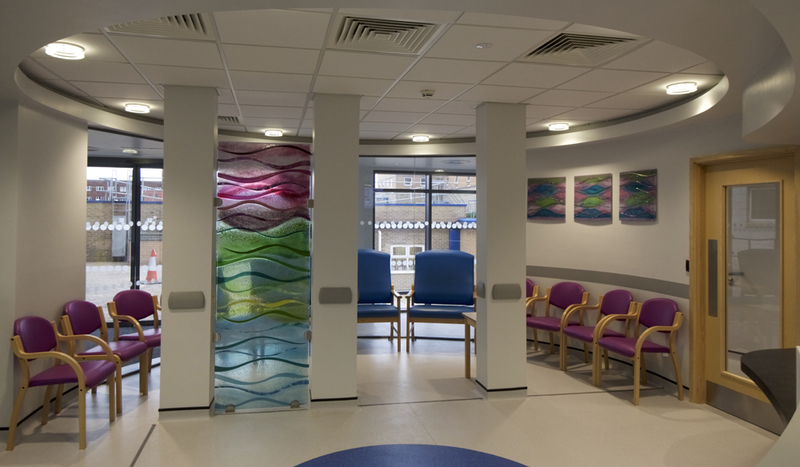 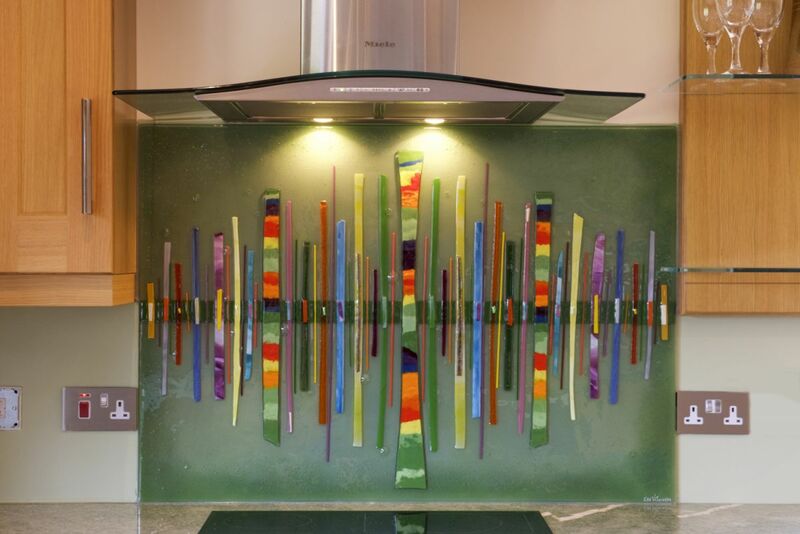 We’ve two new fused glass art installations to share with you all; one down in Aylesbury and one even further down in Hampshire. 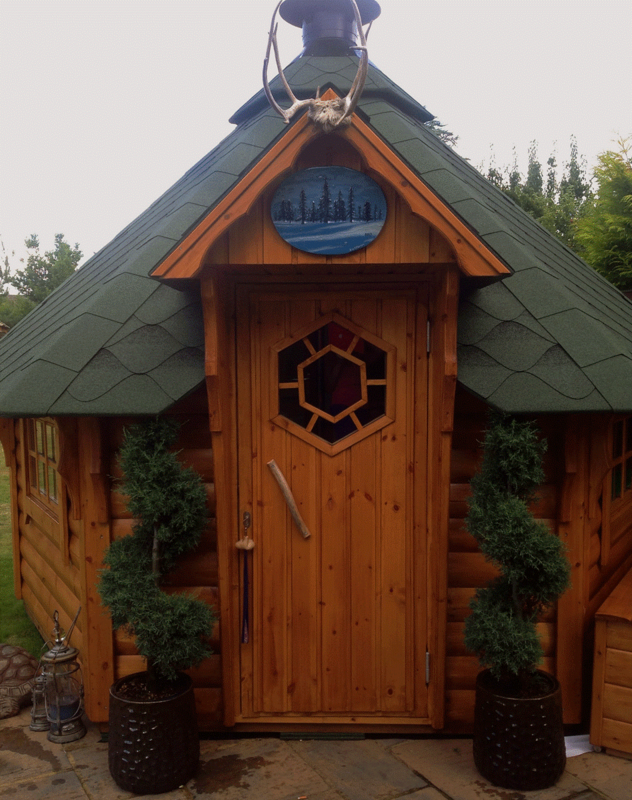 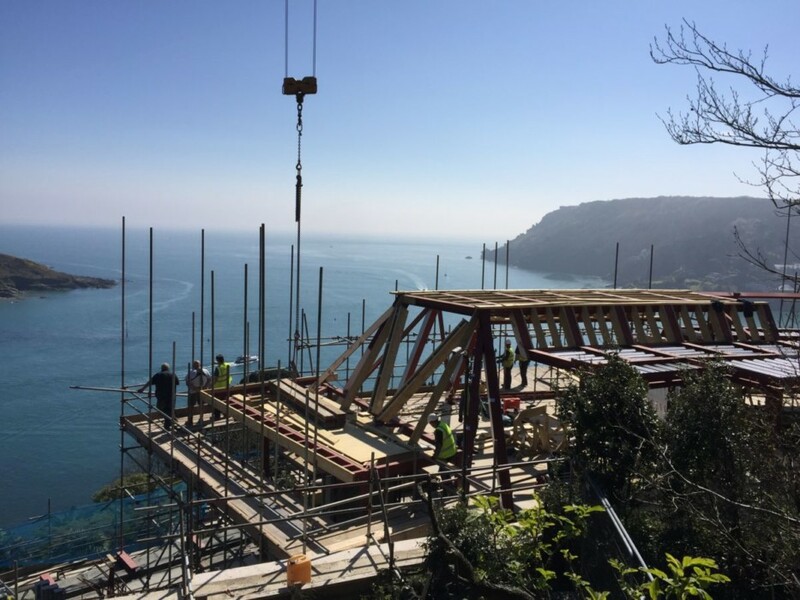 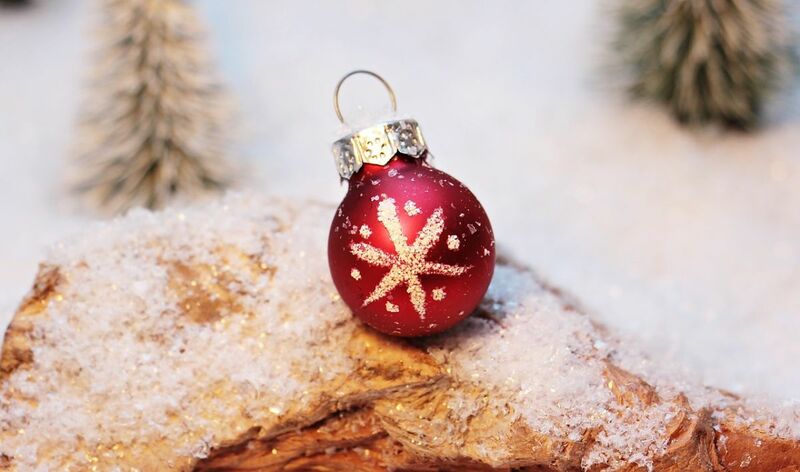 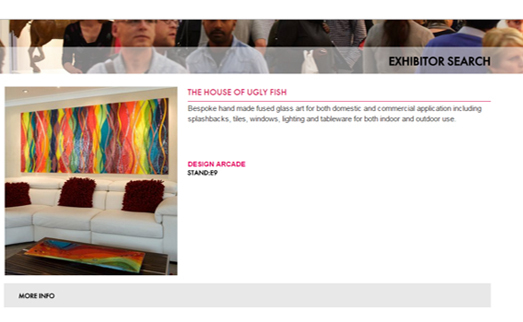 The two pieces couldn’t be further apart from each other in terms of style and design, but as always, here at House of Ugly Fish, we put the same level of dedication and work into each piece. 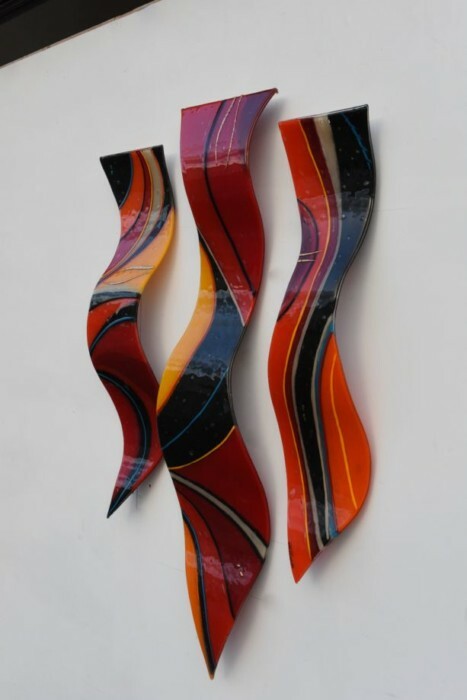 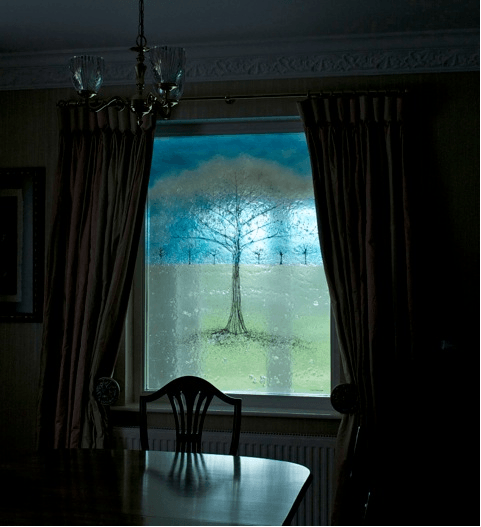 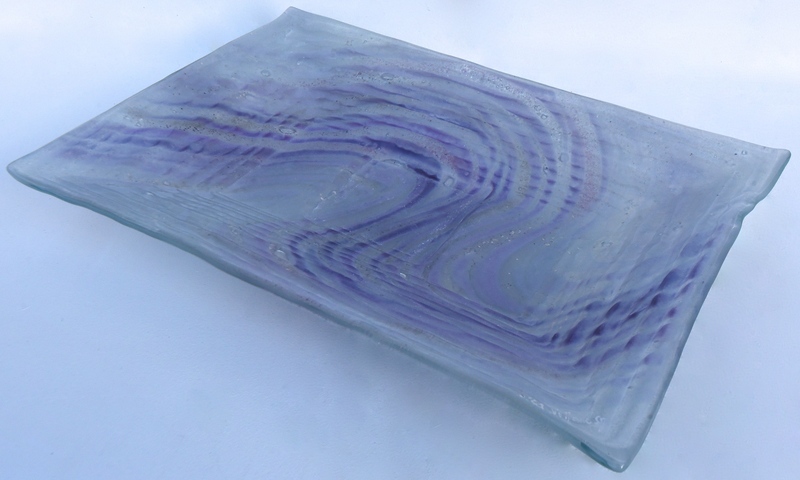 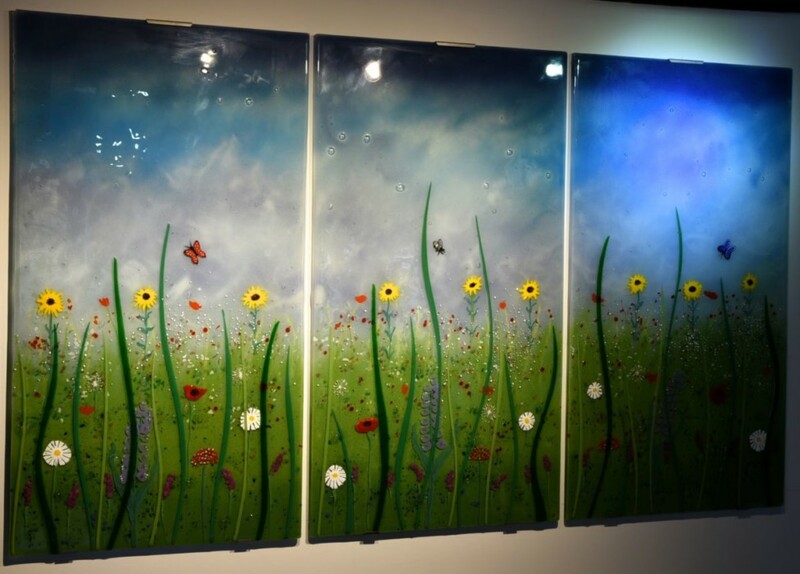 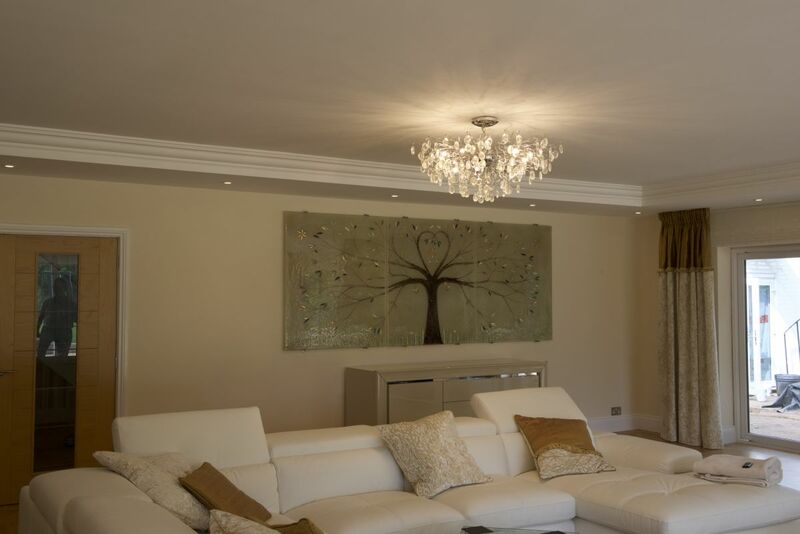 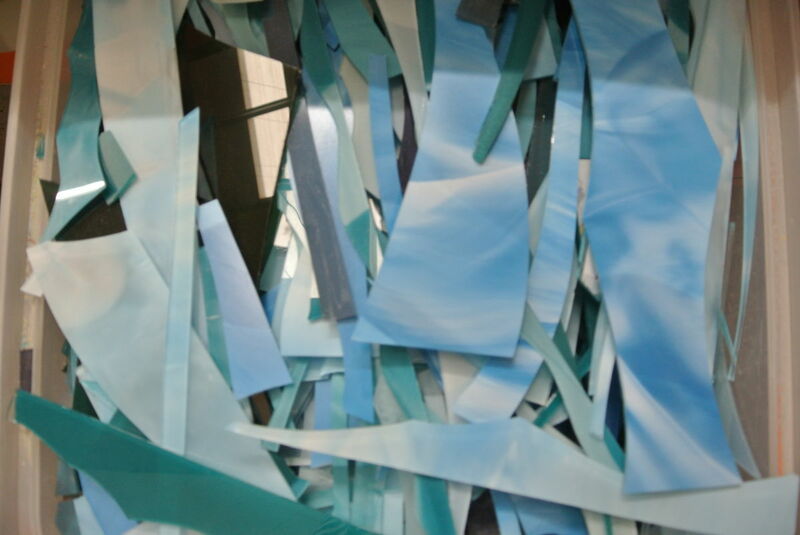 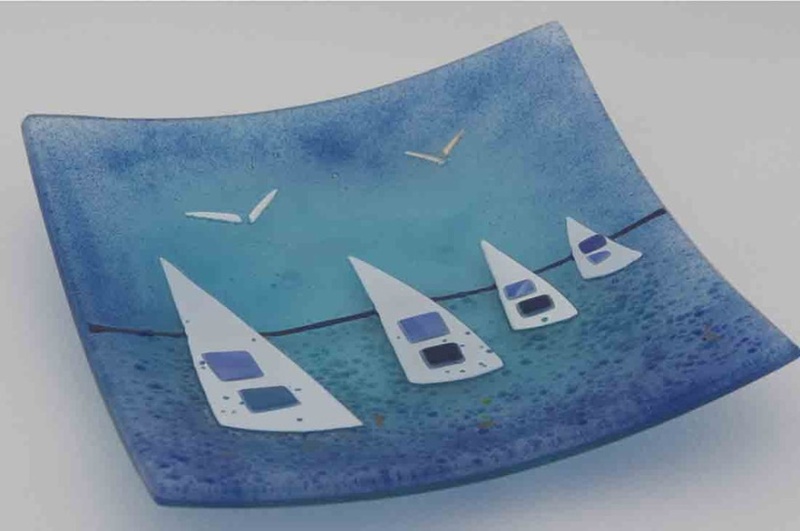 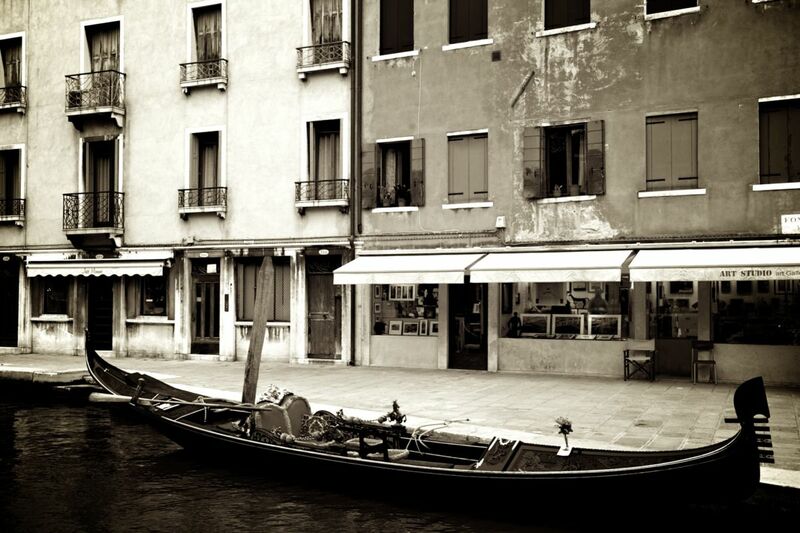 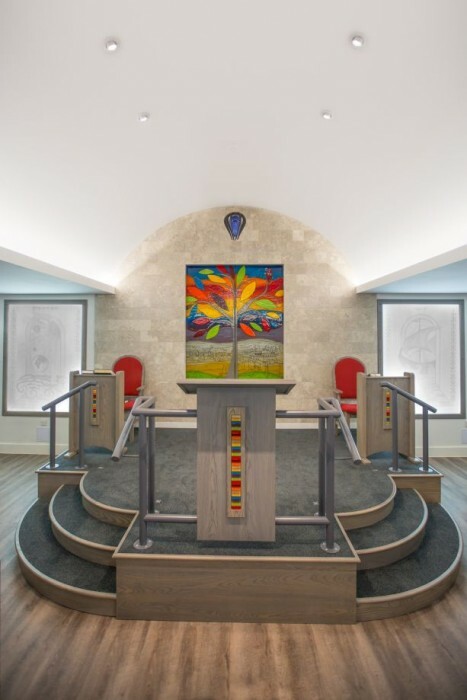 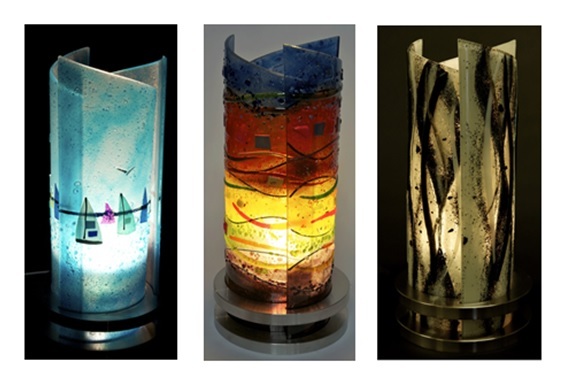 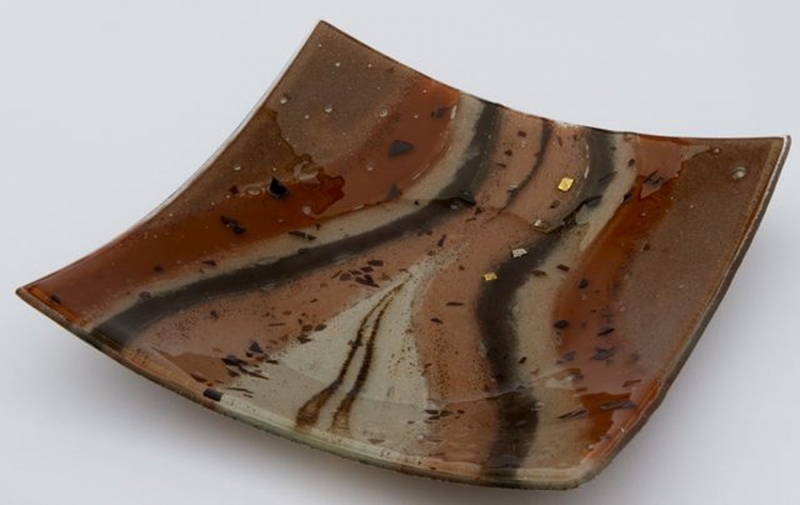 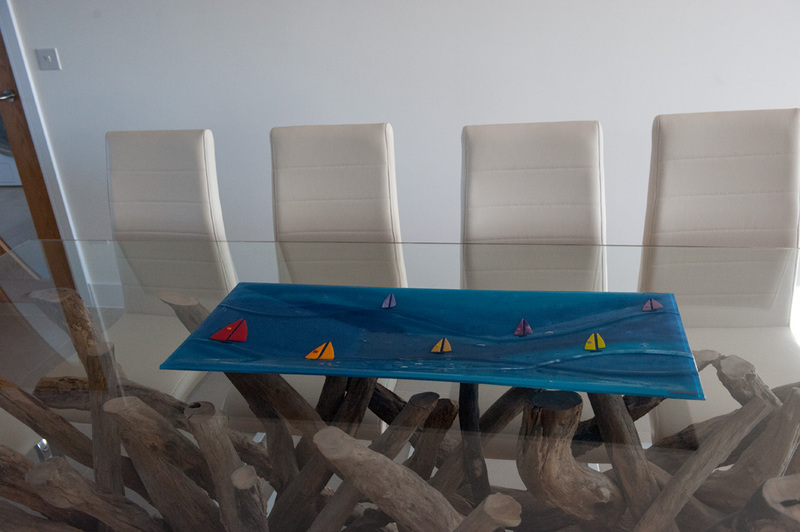 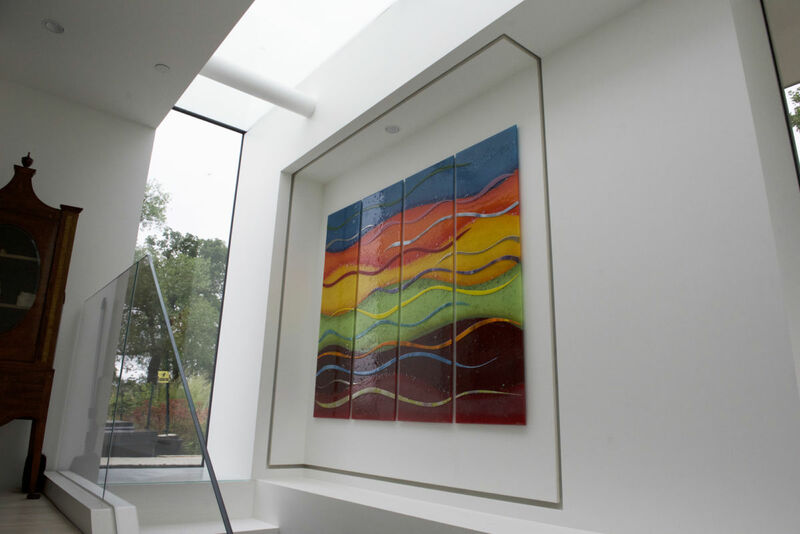 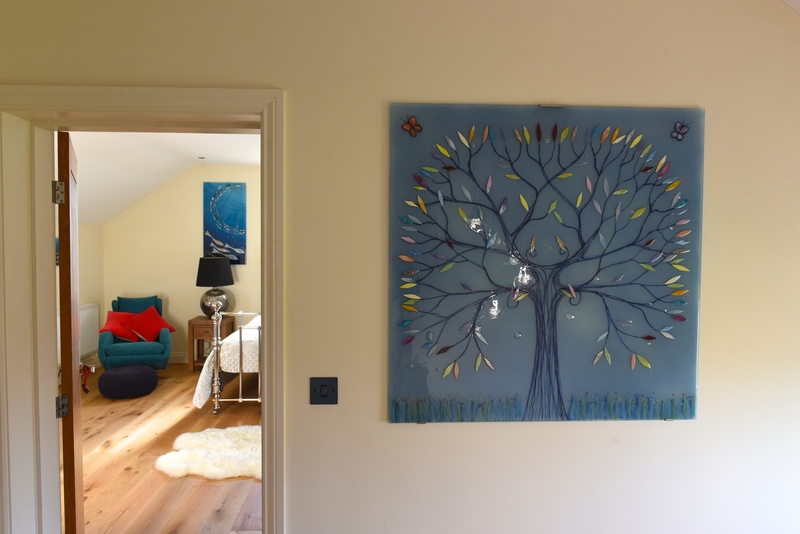 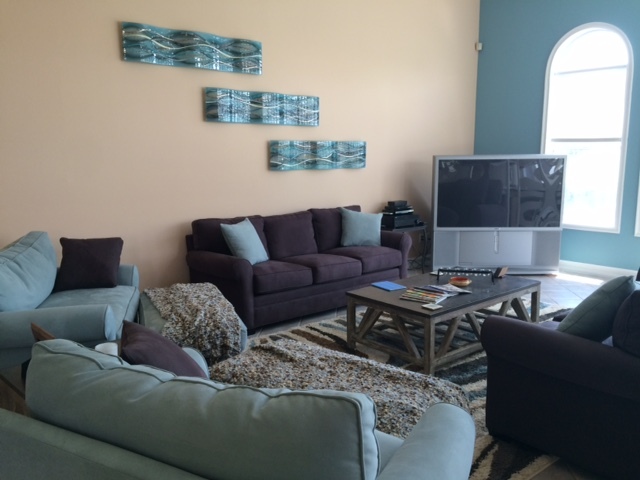 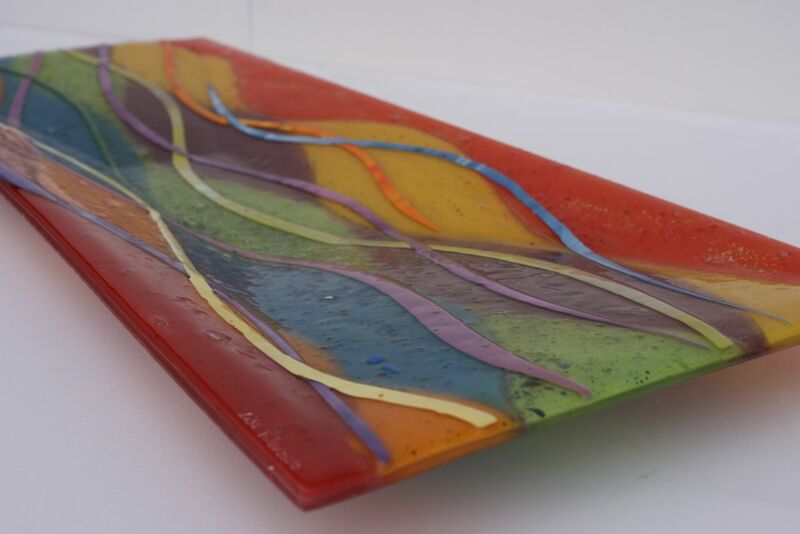 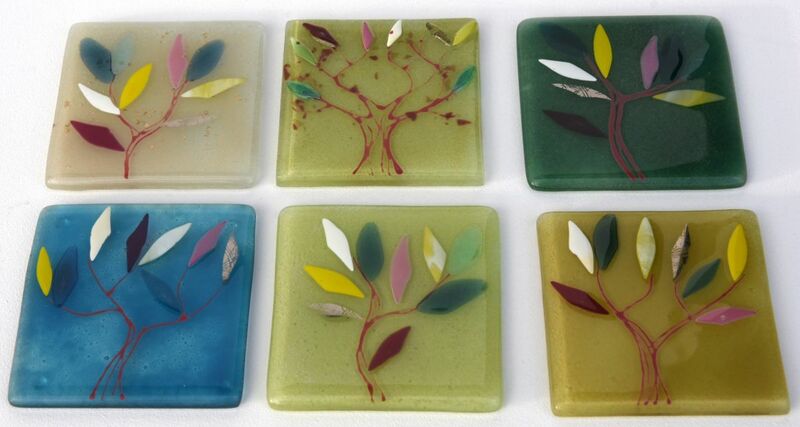 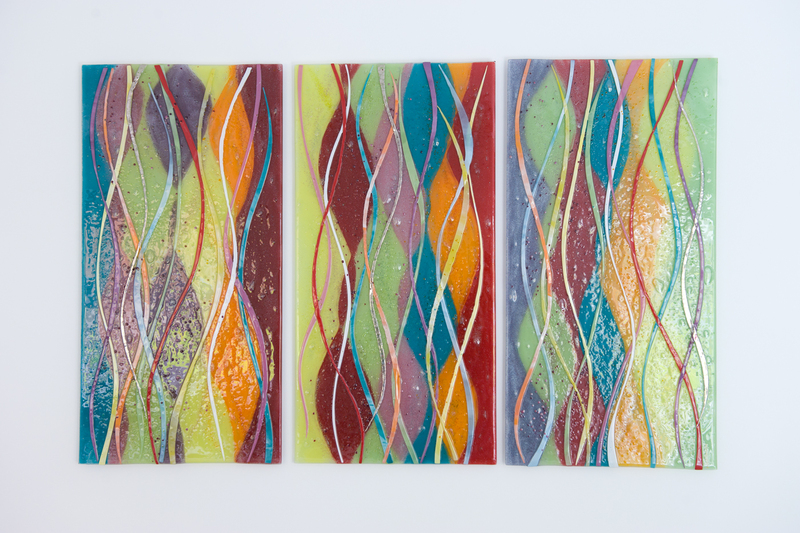 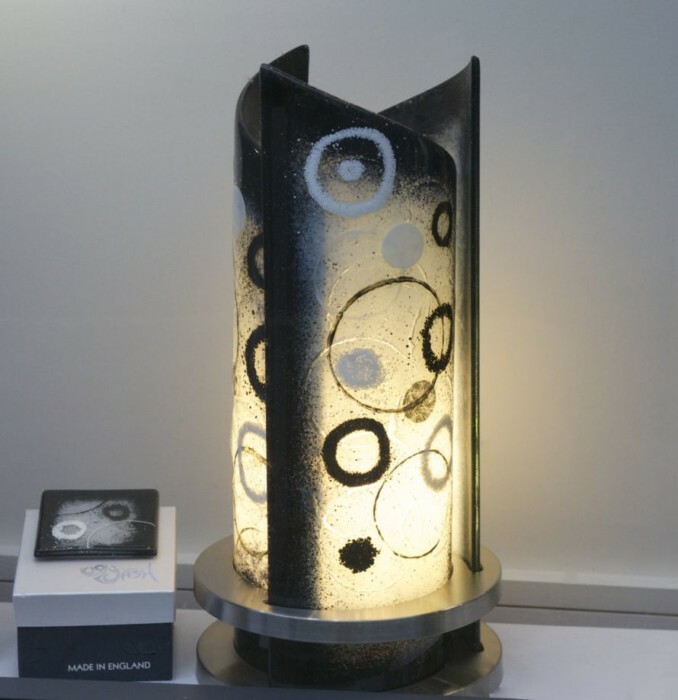 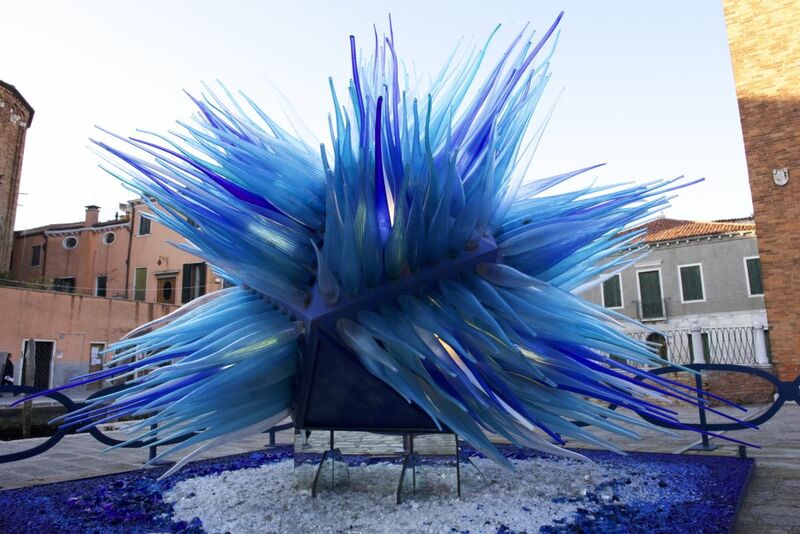 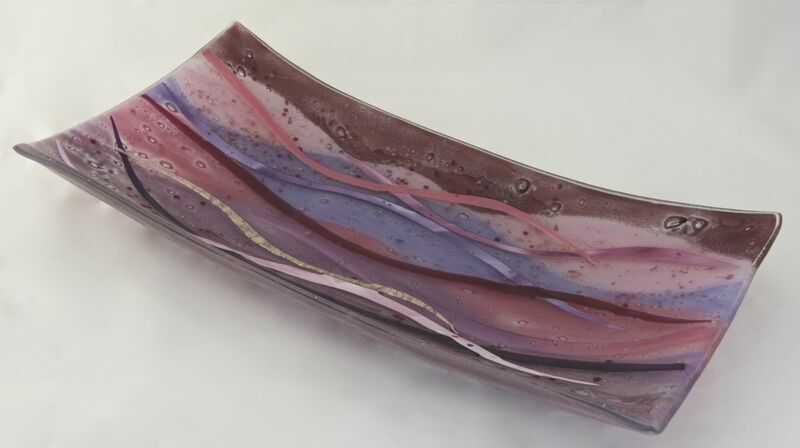 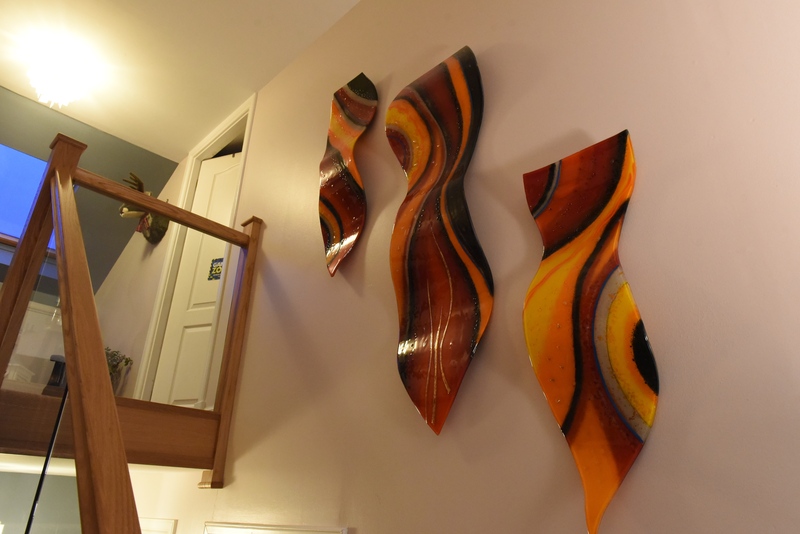 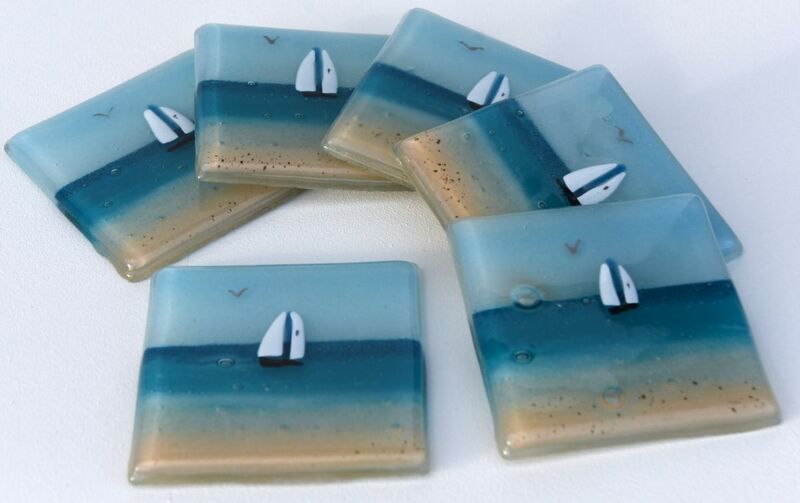 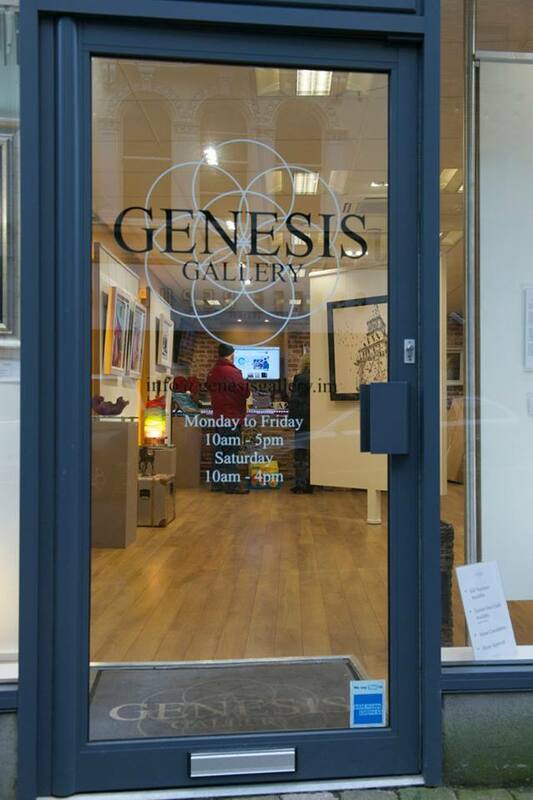 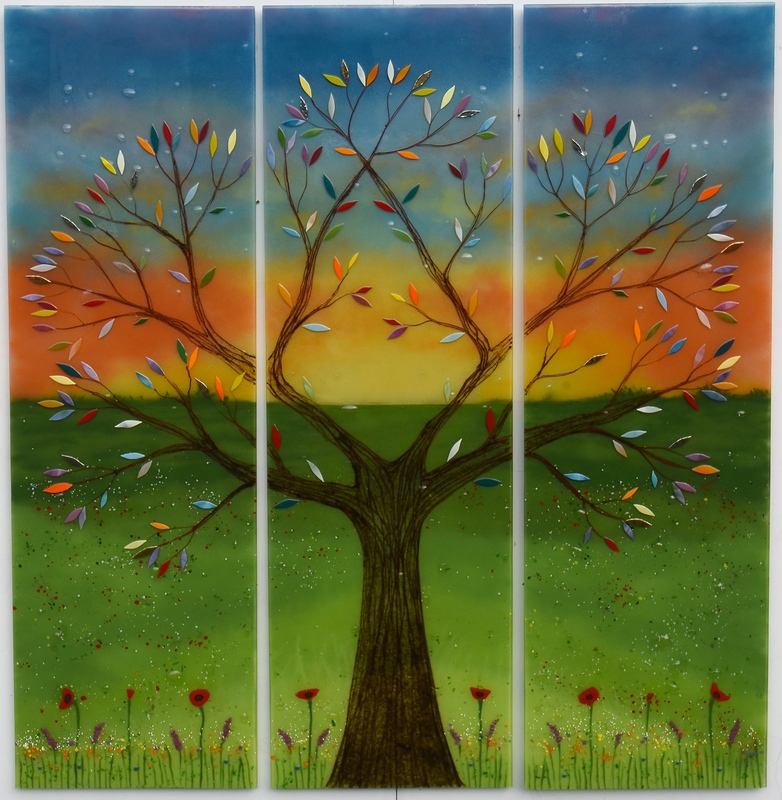 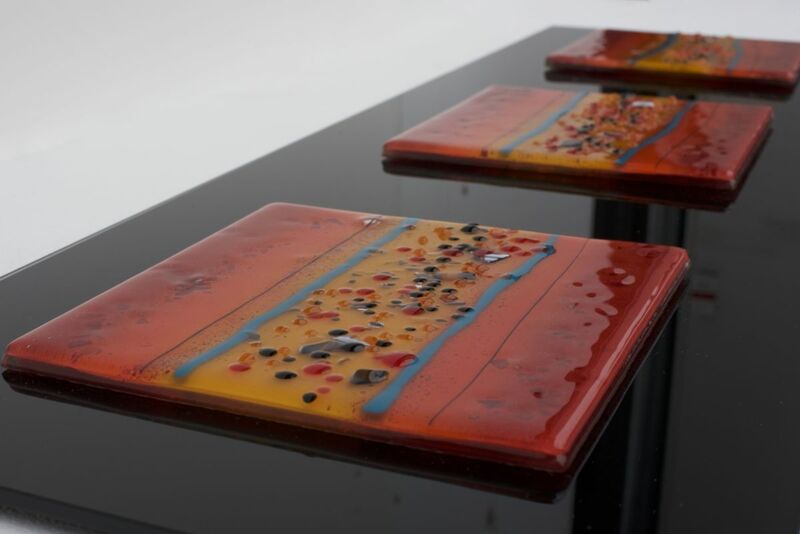 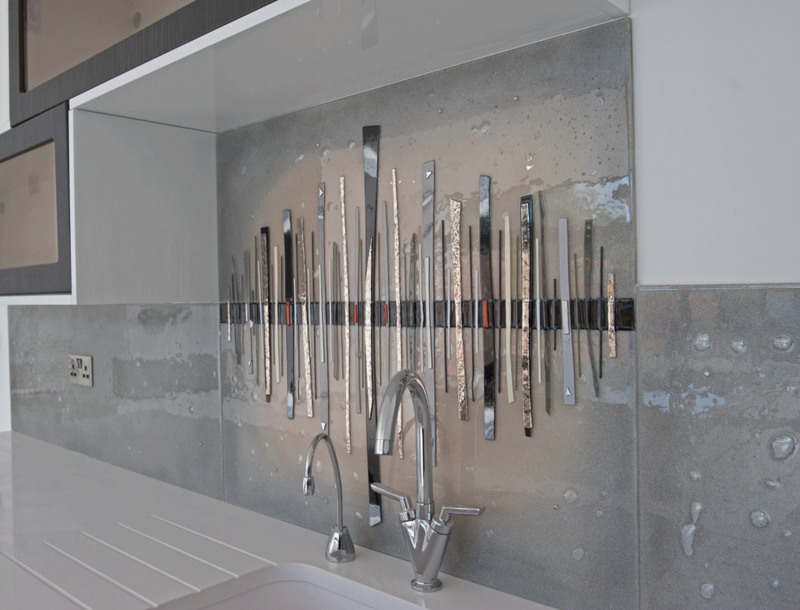 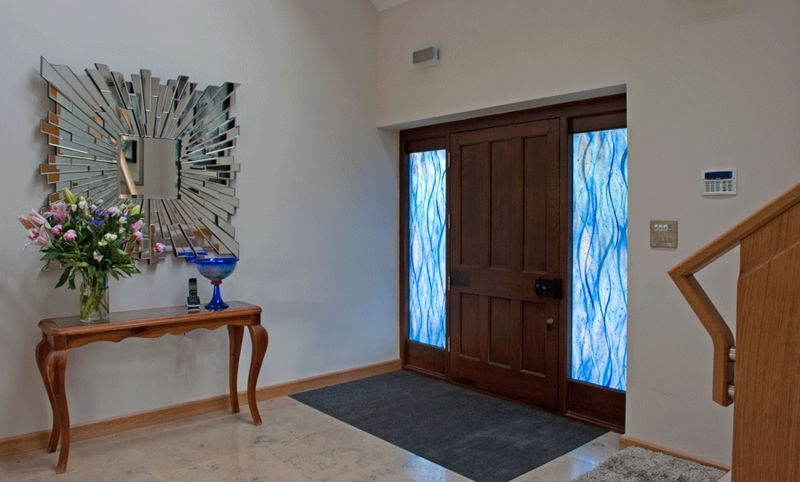 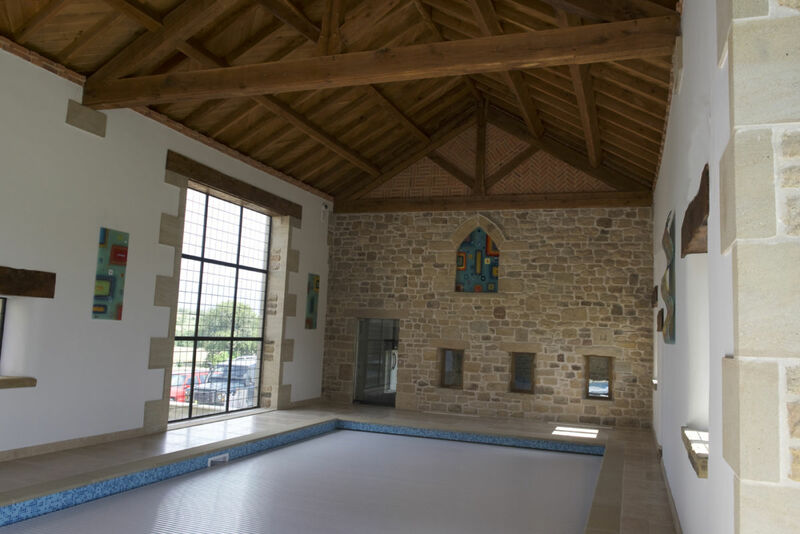 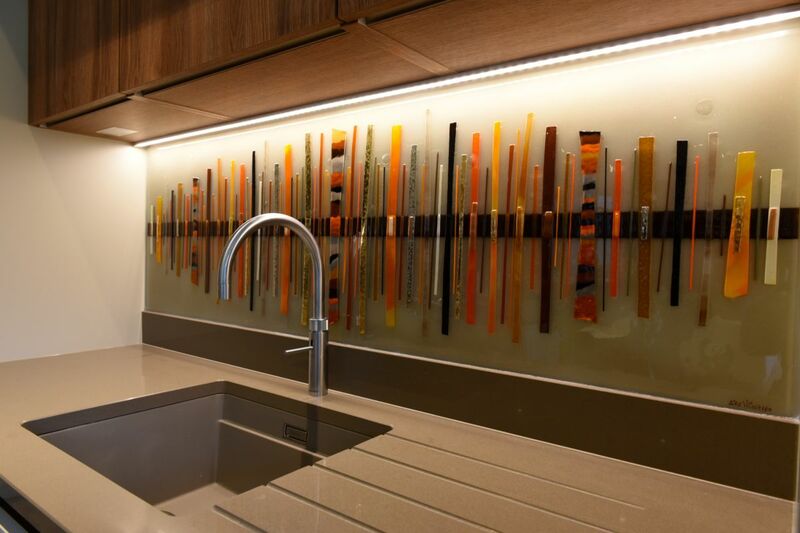 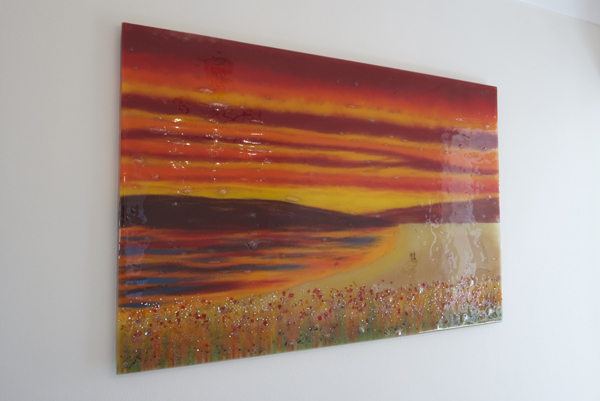 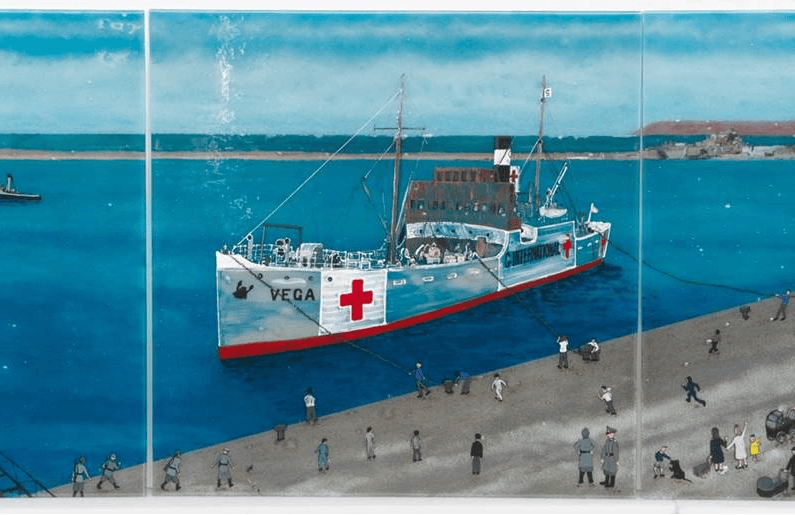 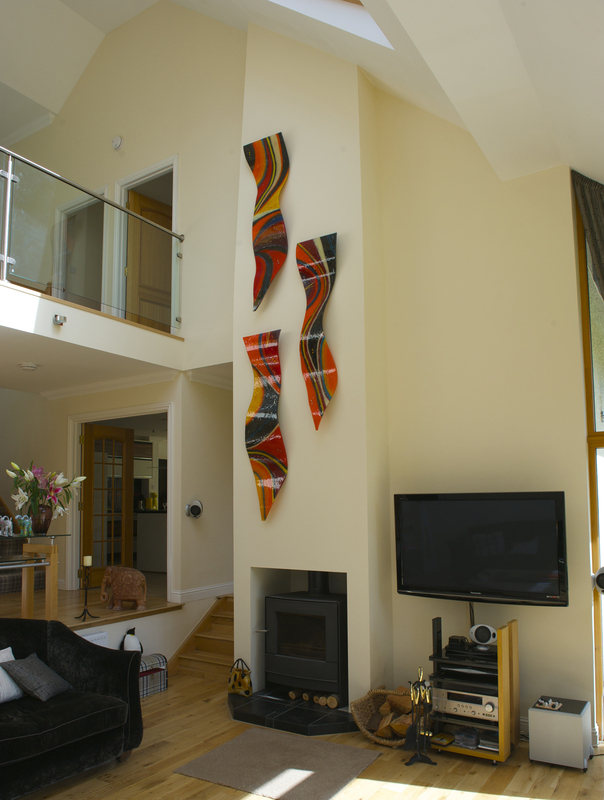 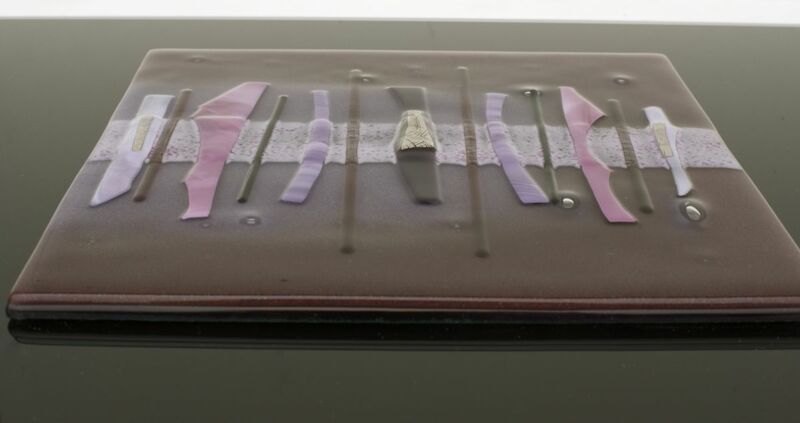 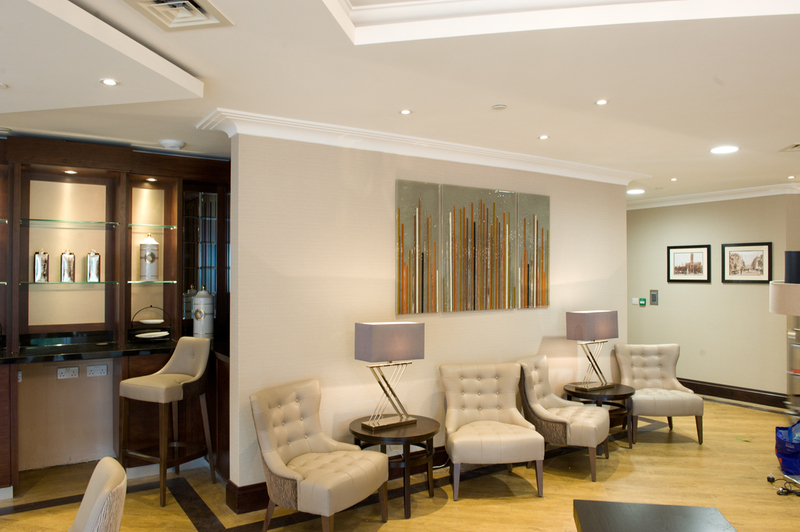 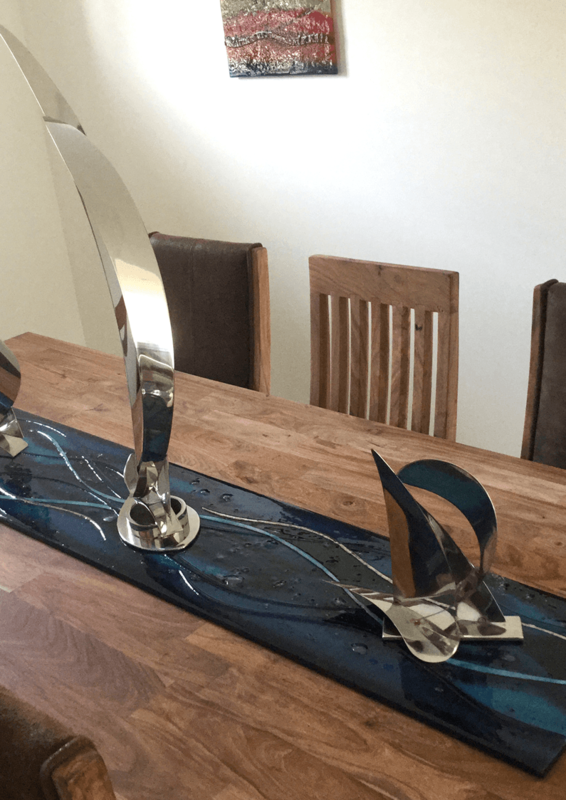 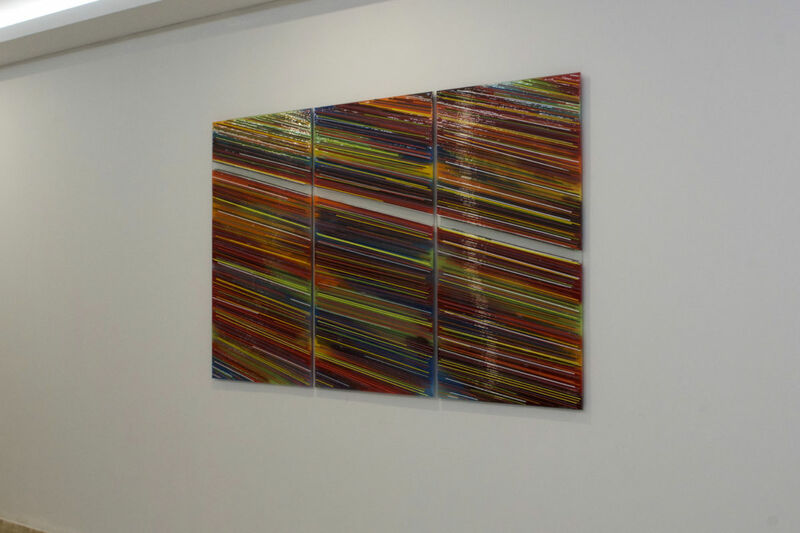 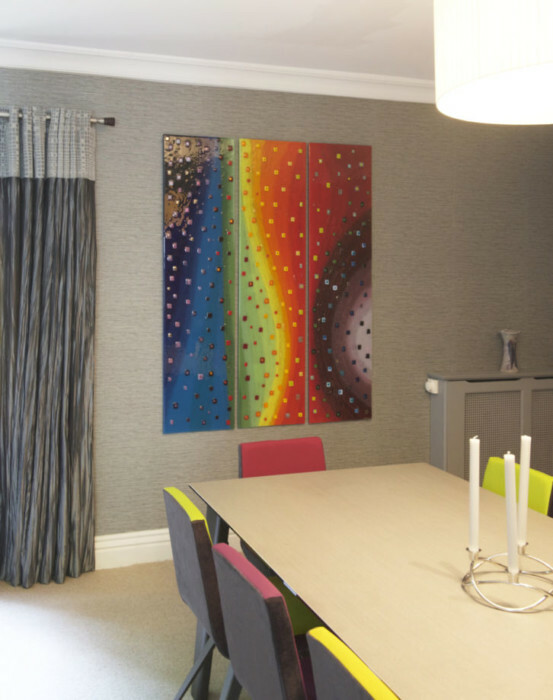 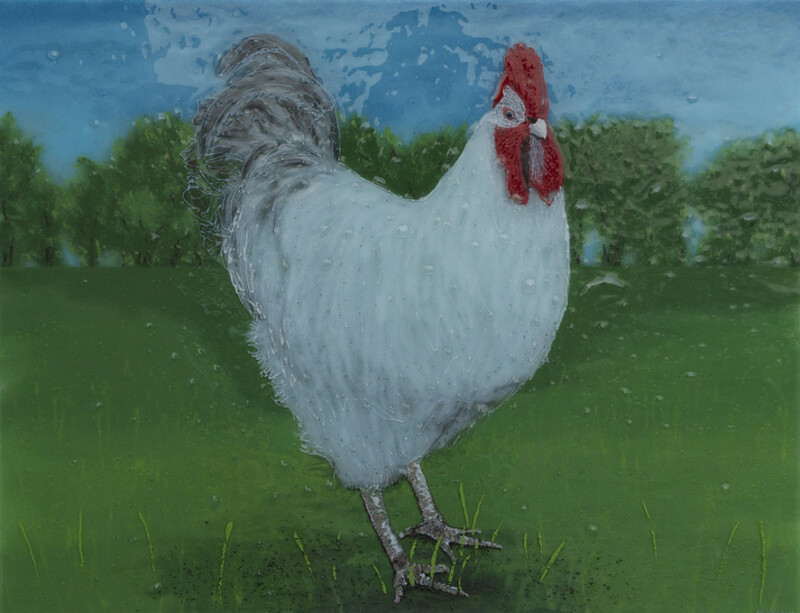 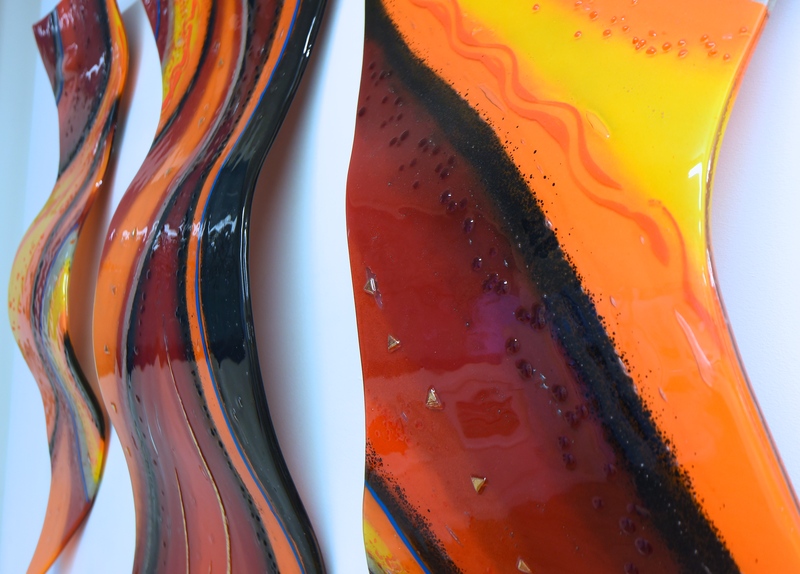 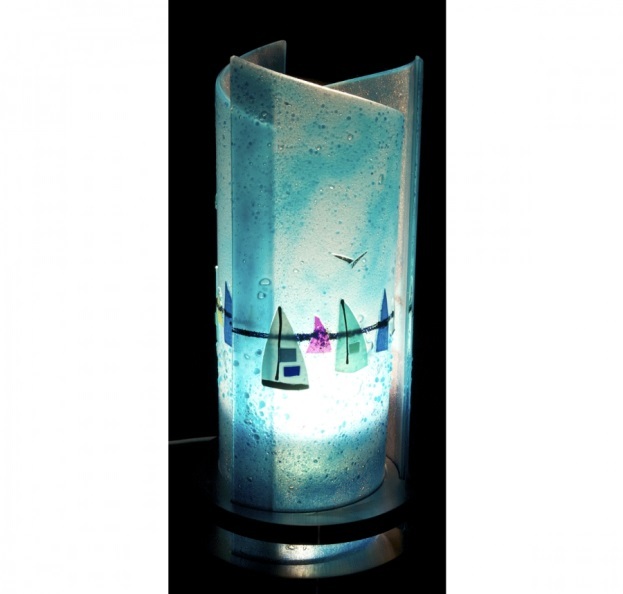 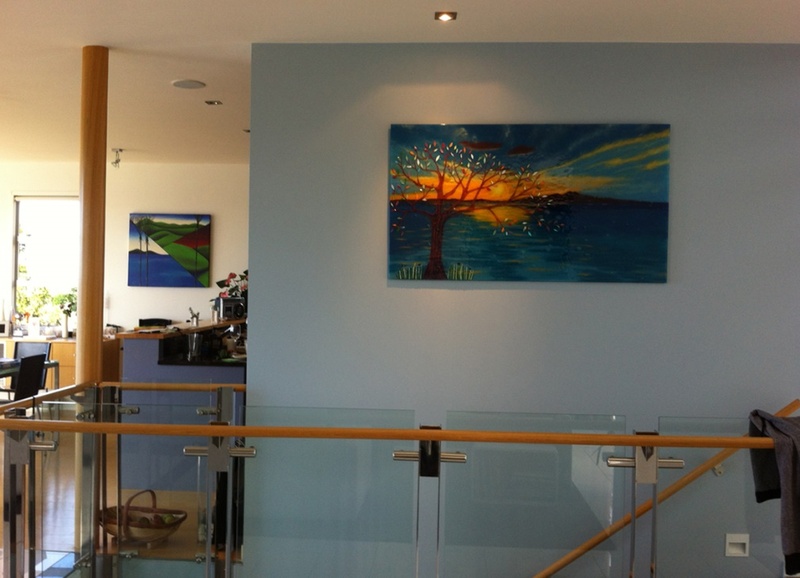 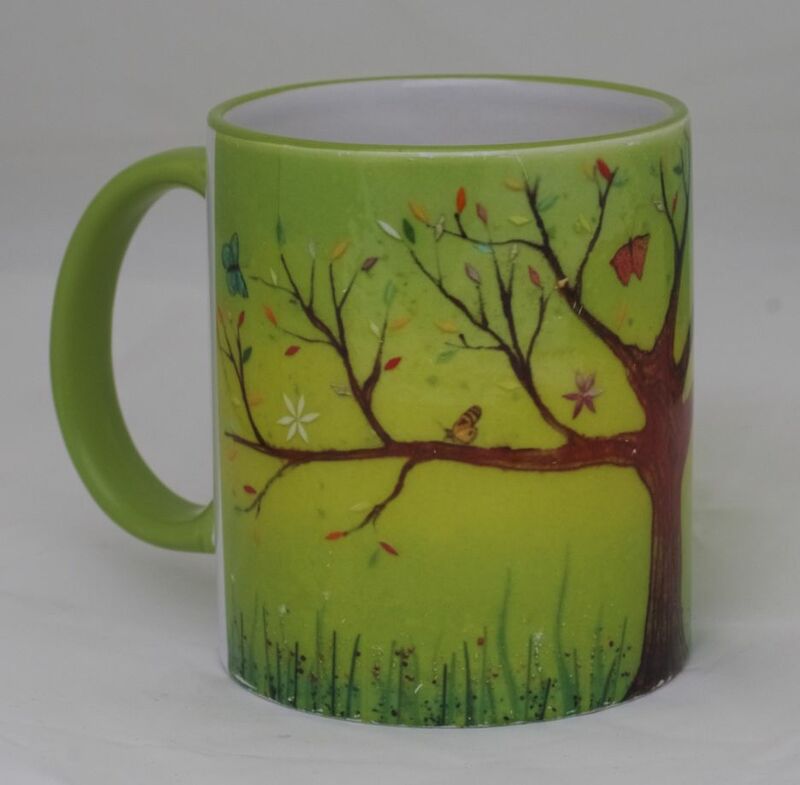 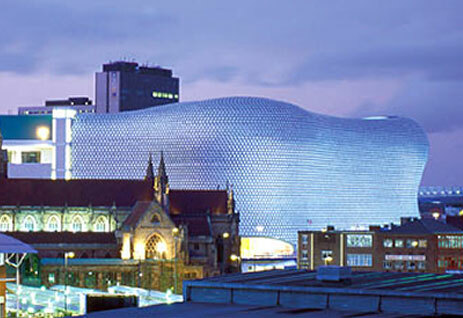 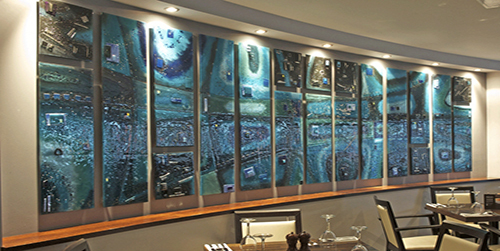 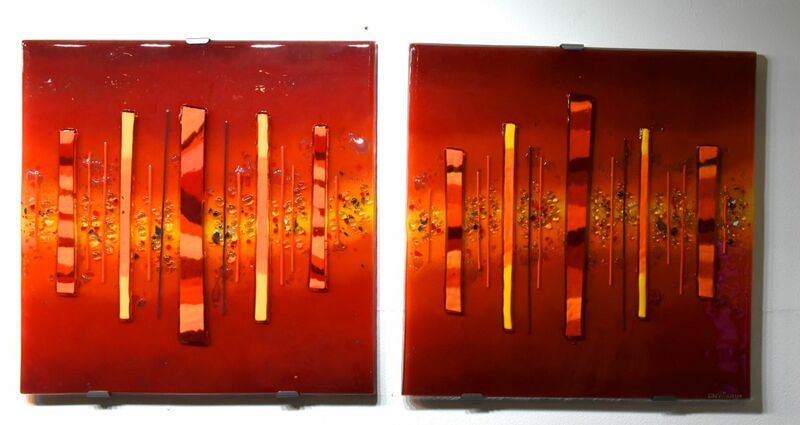 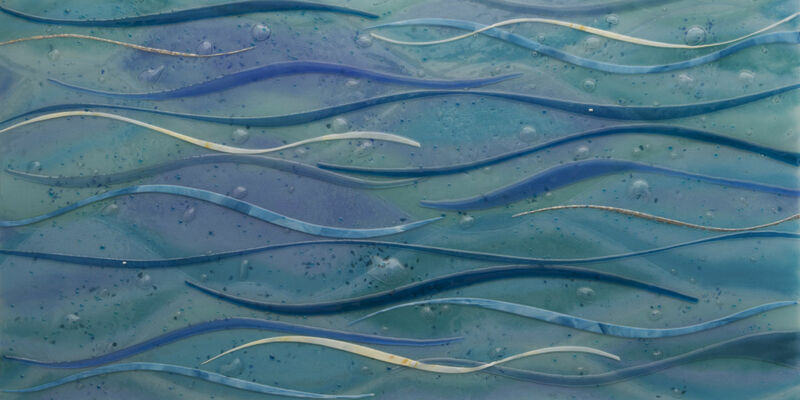 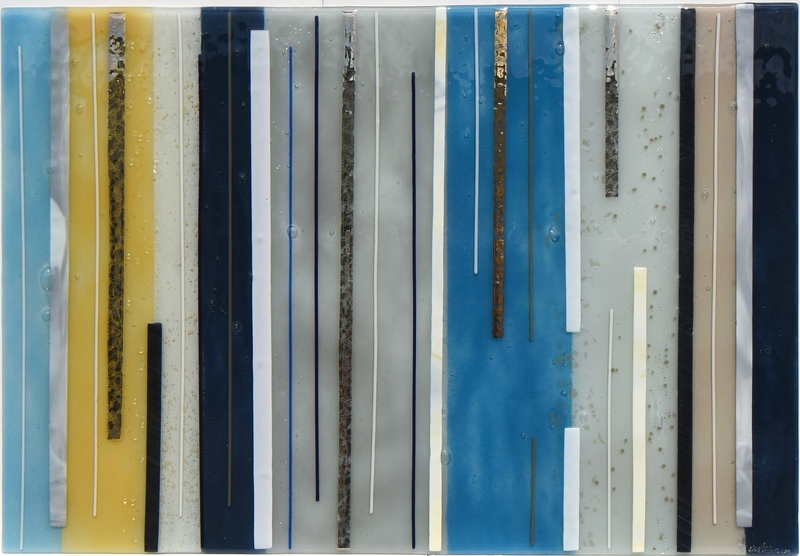 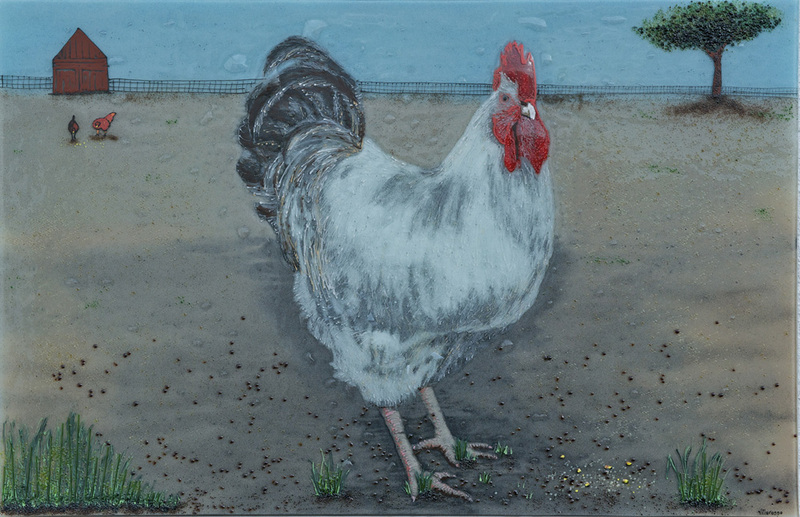 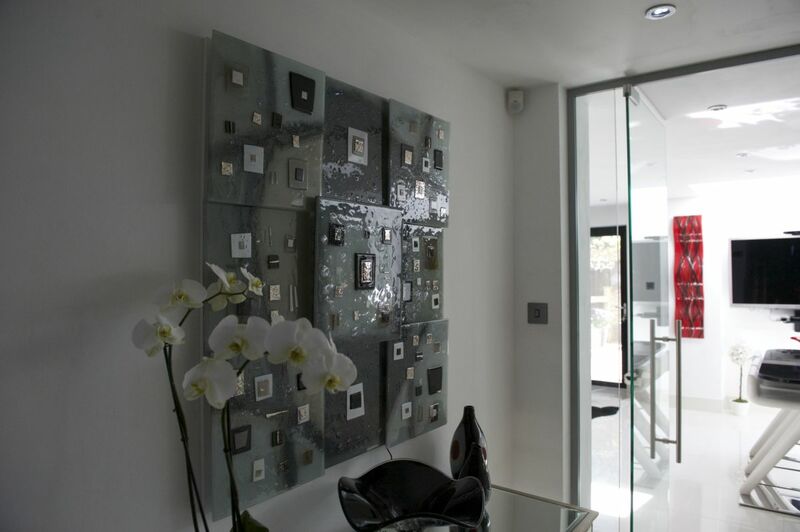 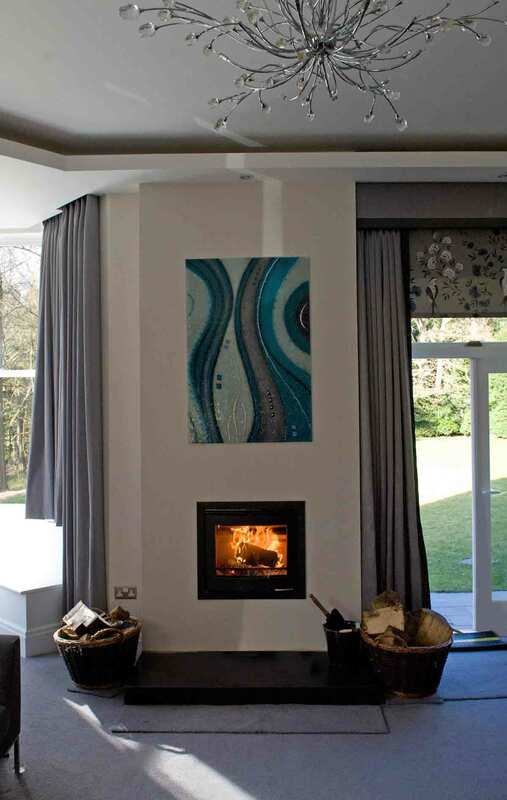 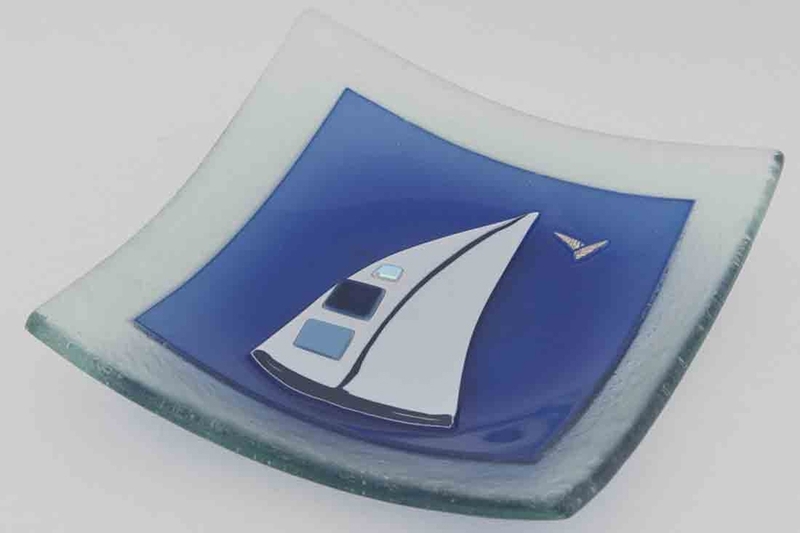 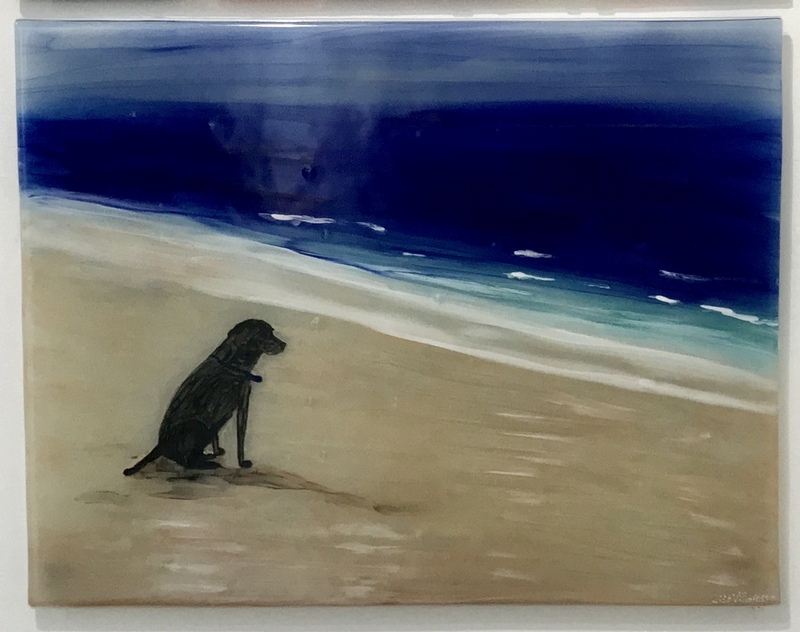 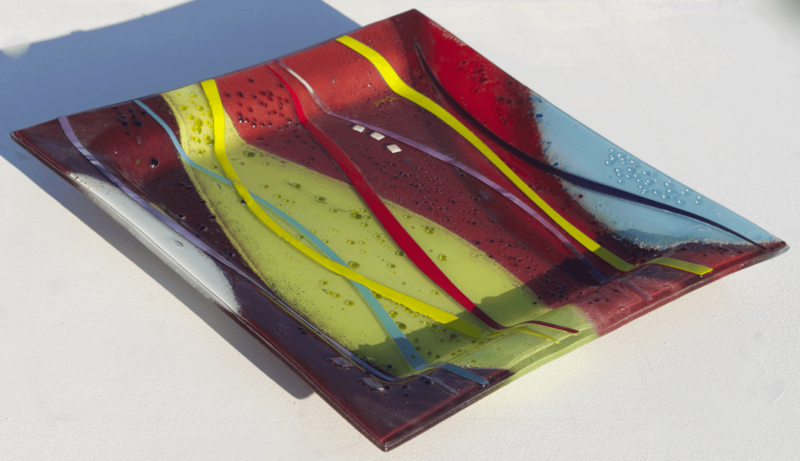 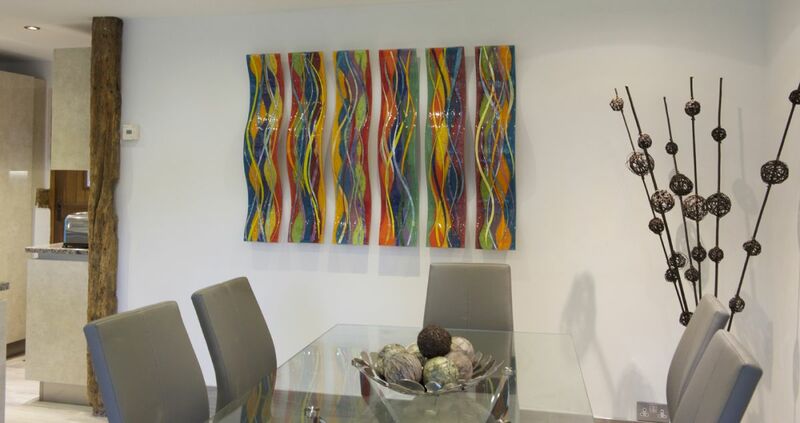 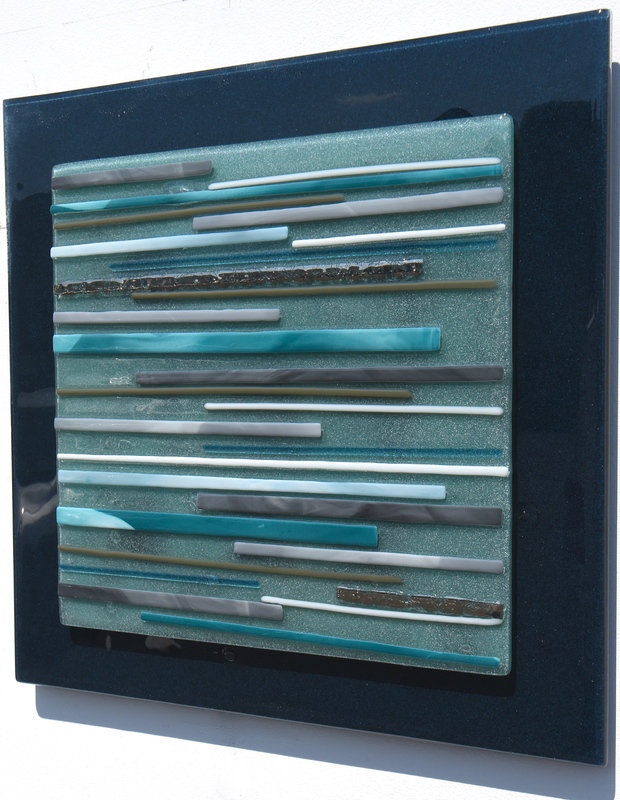 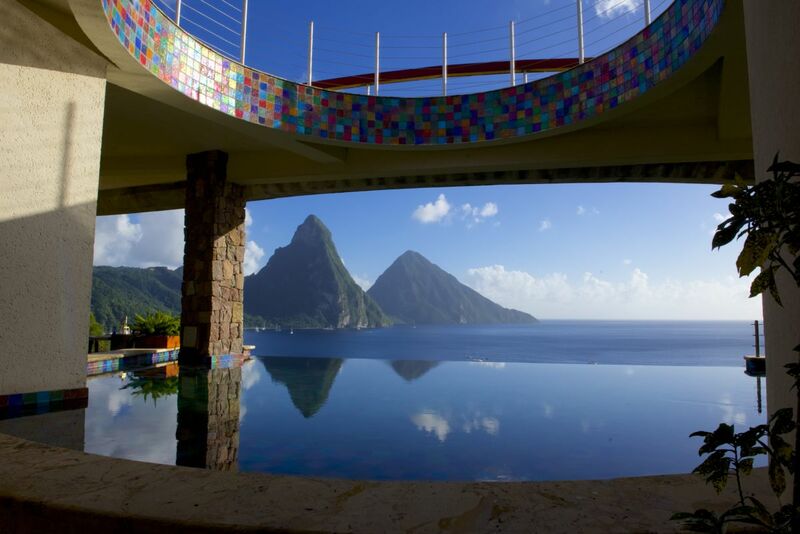 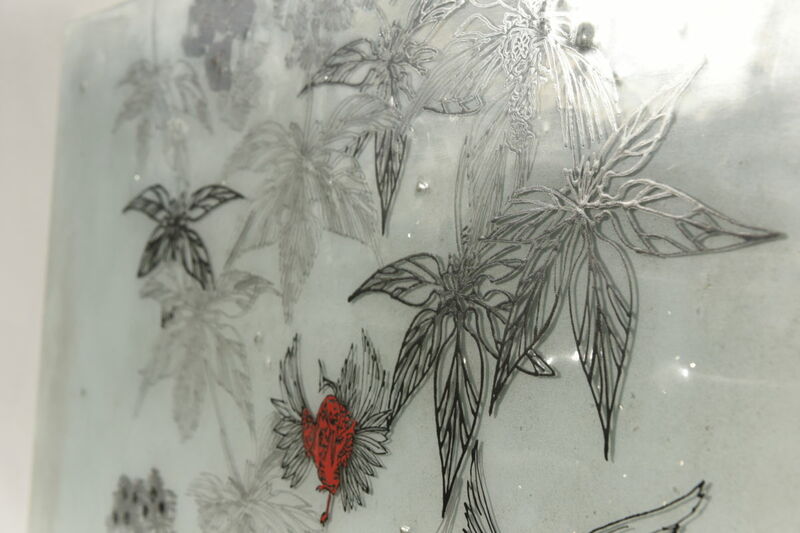 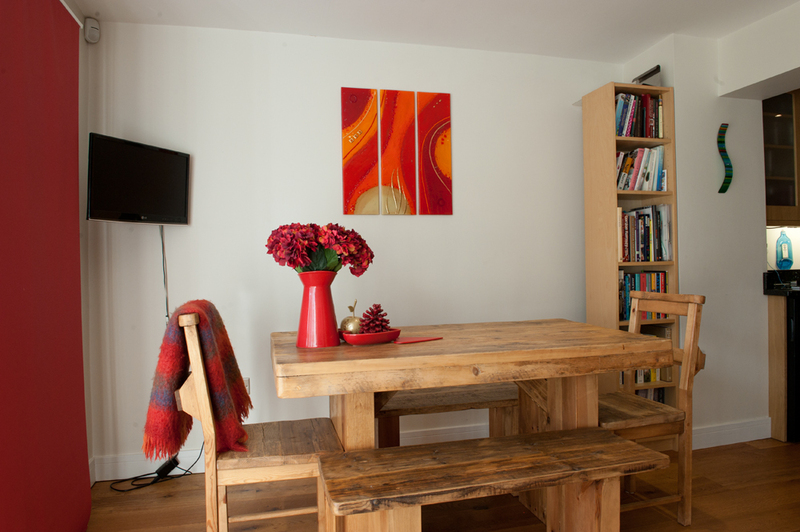 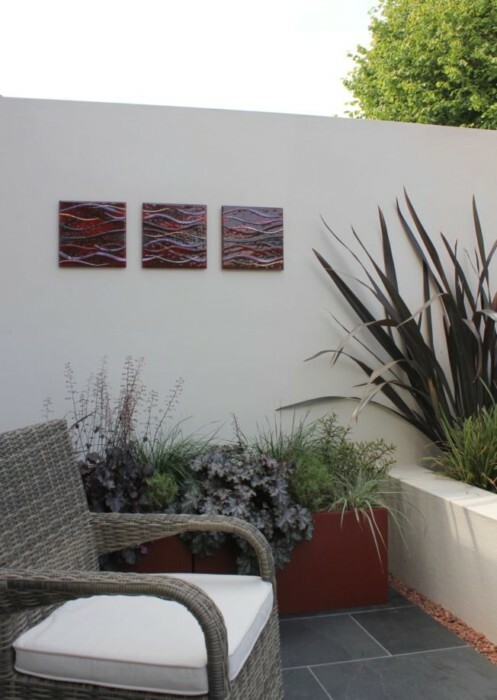 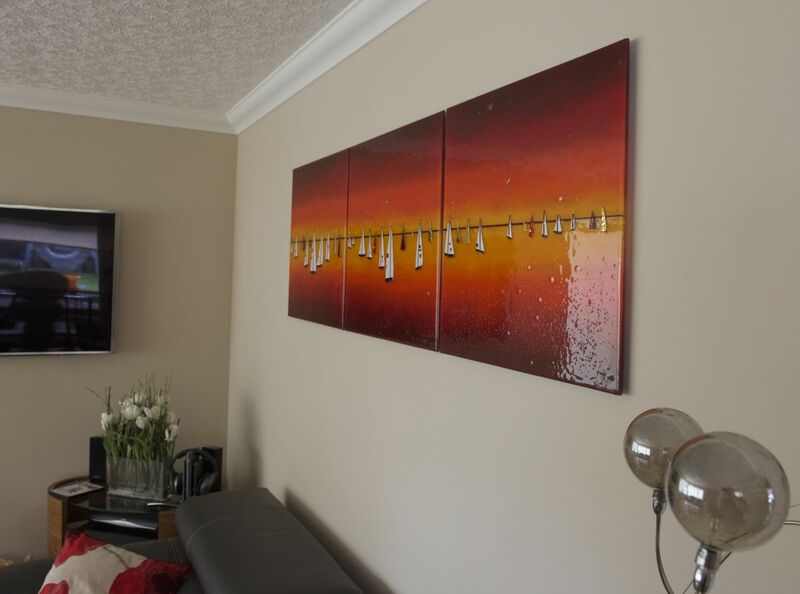 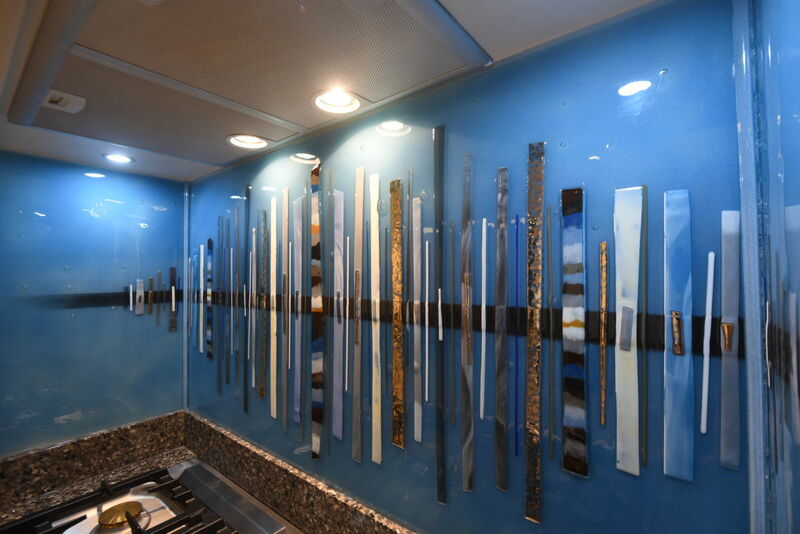 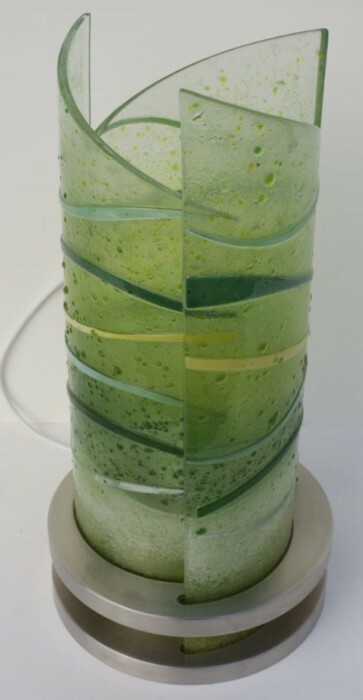 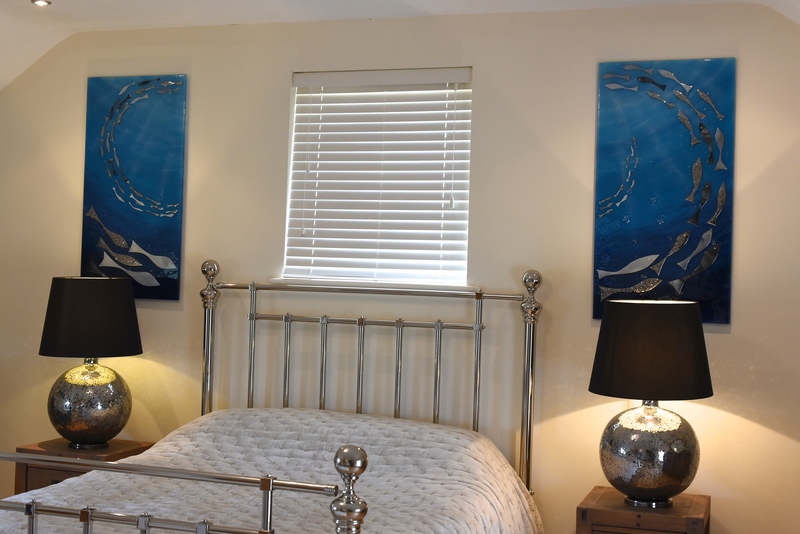 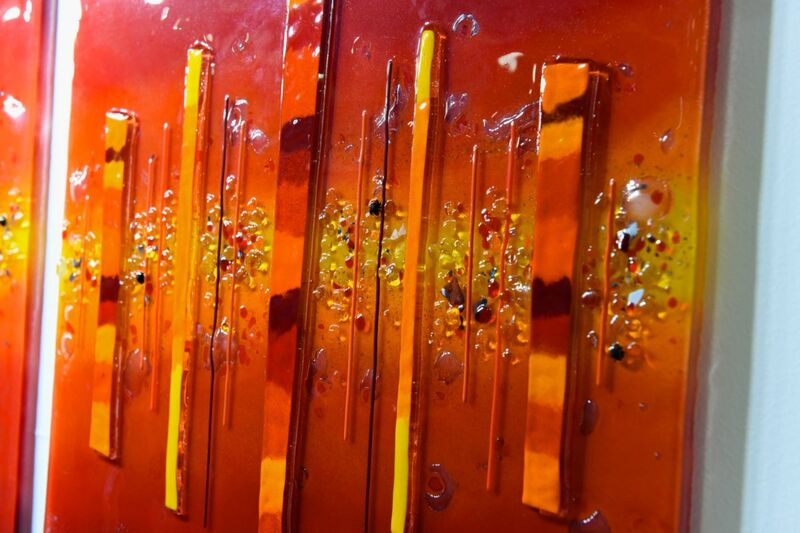 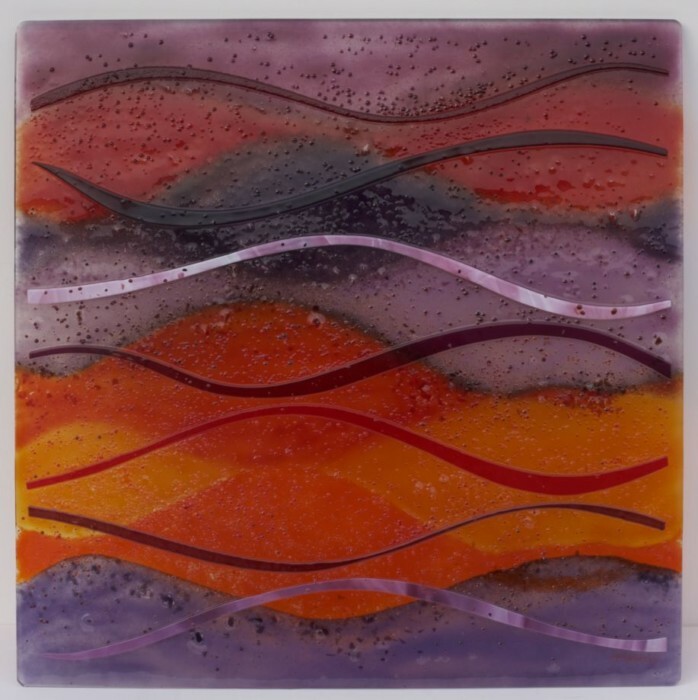 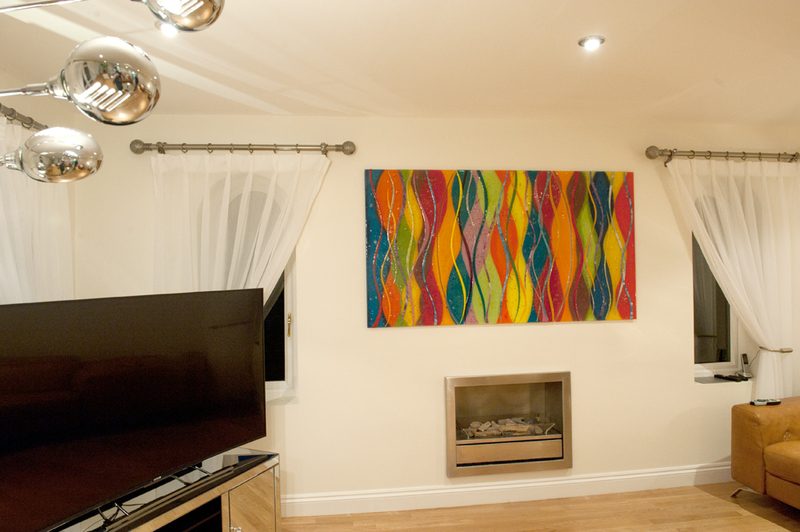 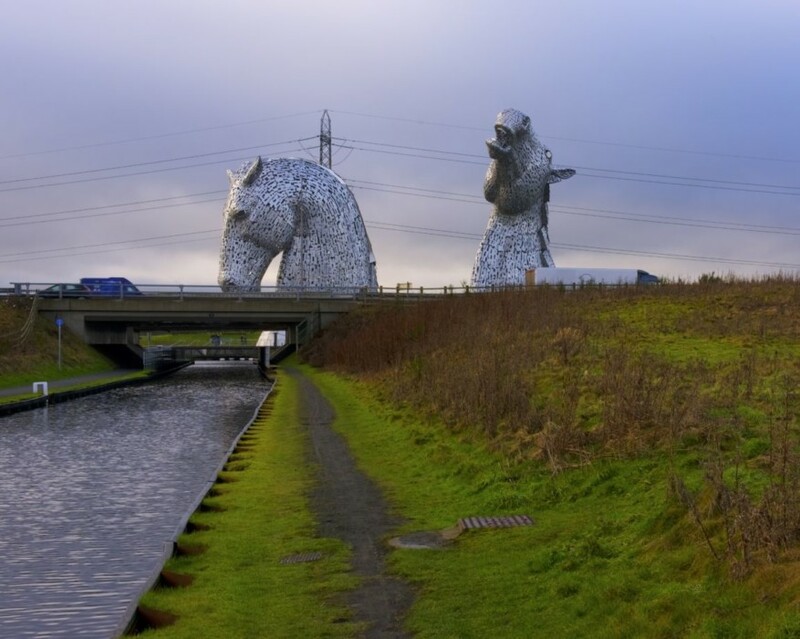 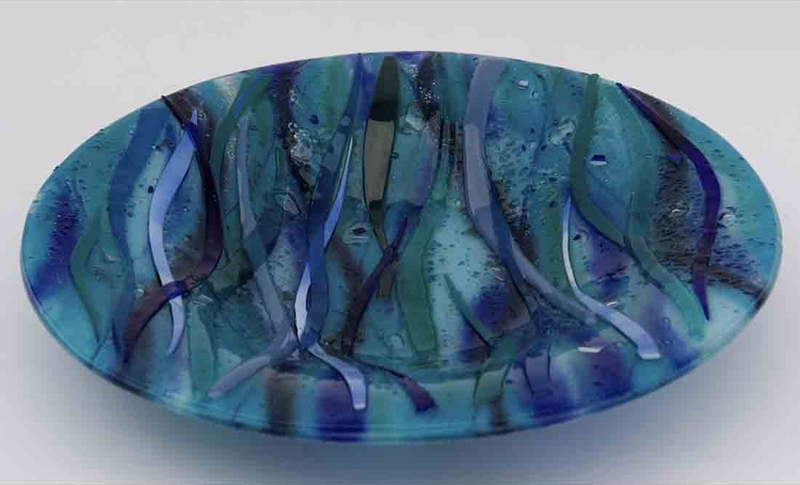 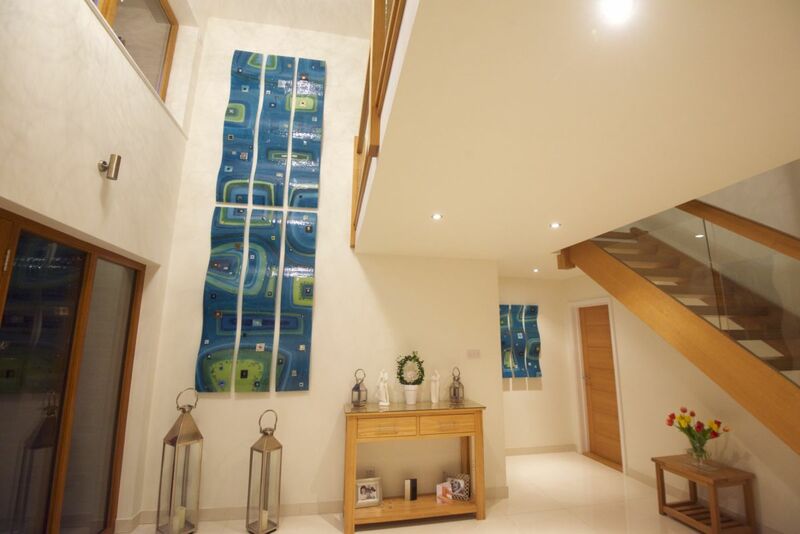 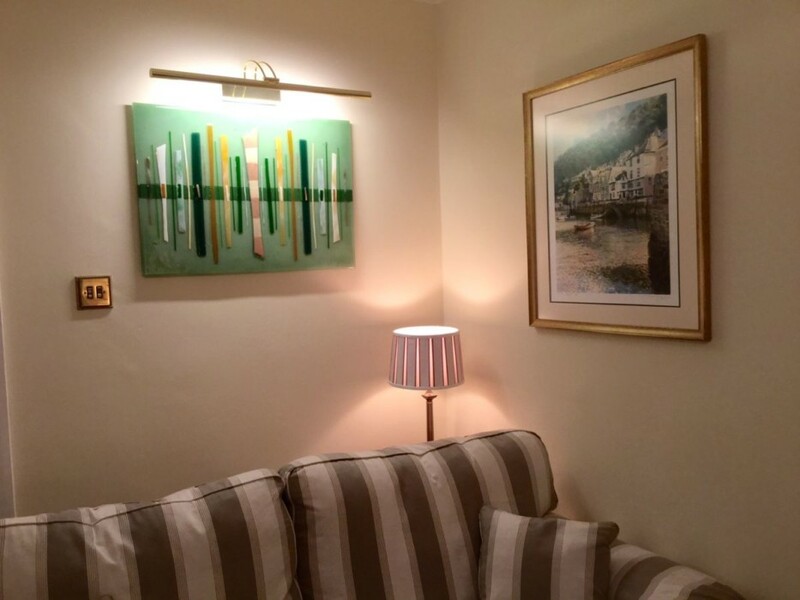 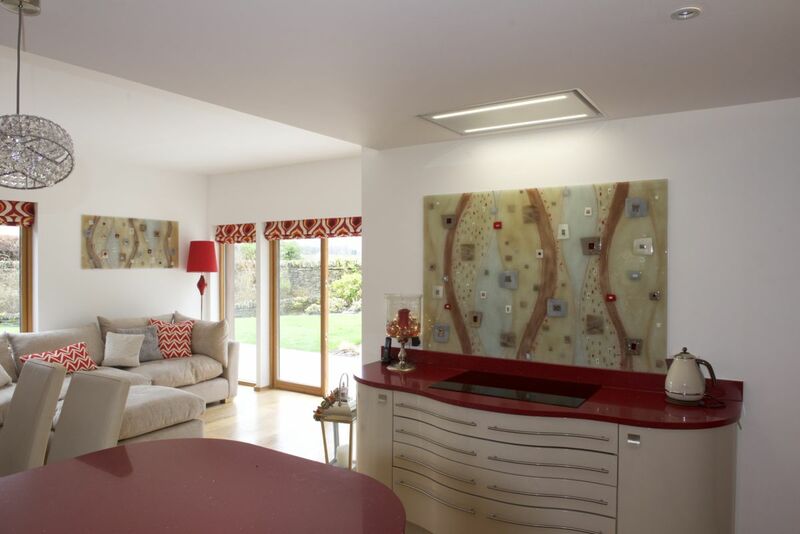 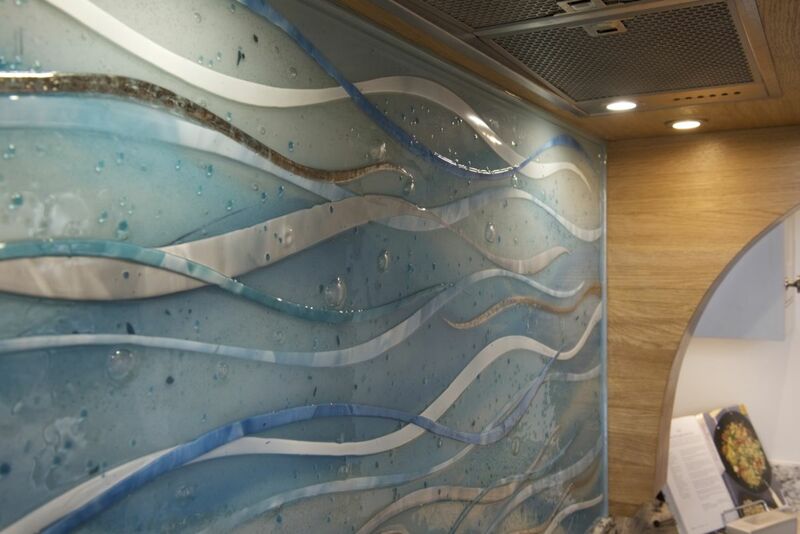 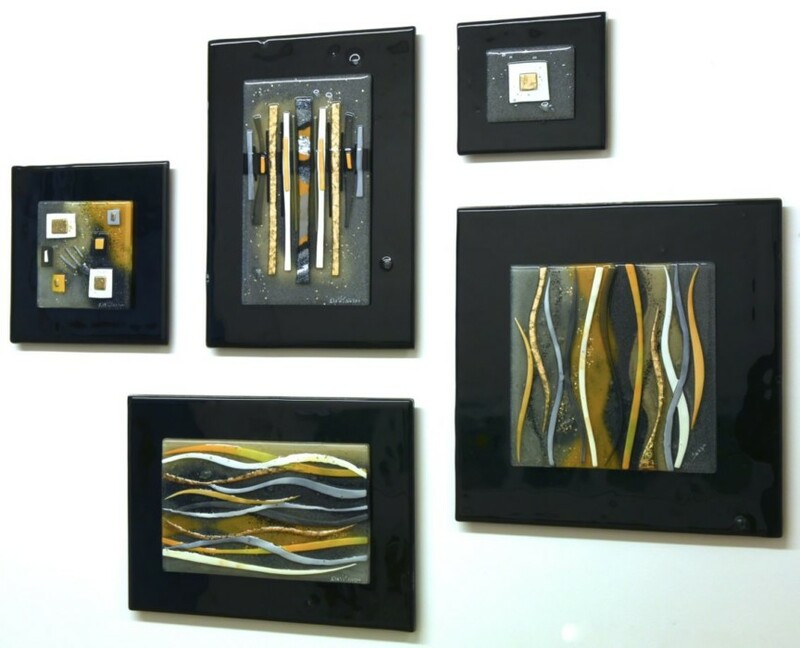 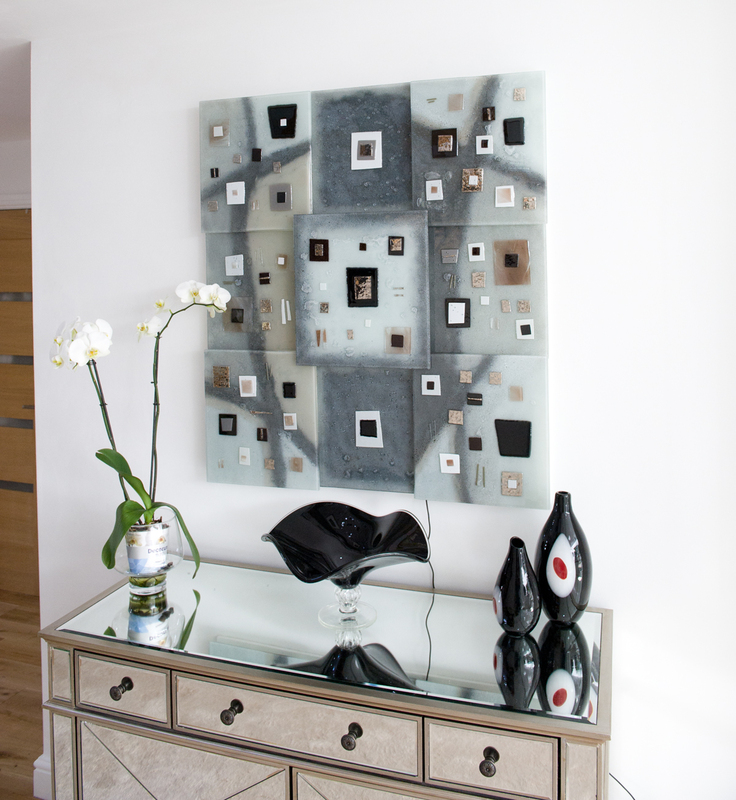 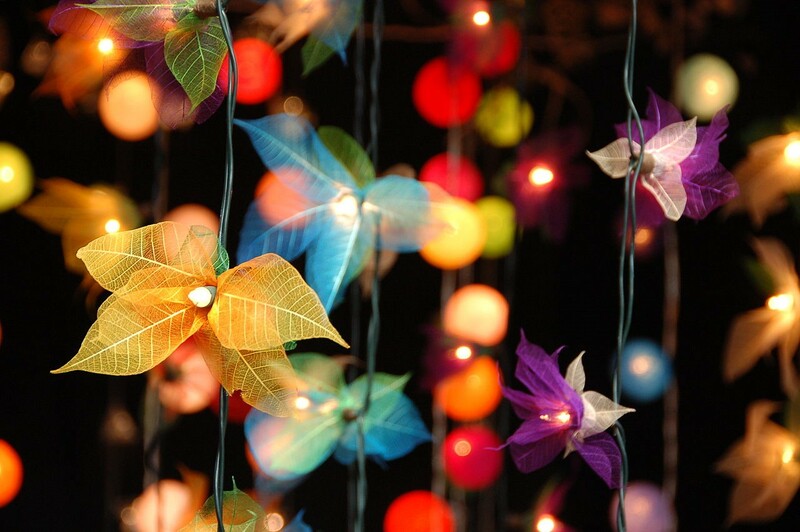 Read on to find out more about the two fused glass art pieces. 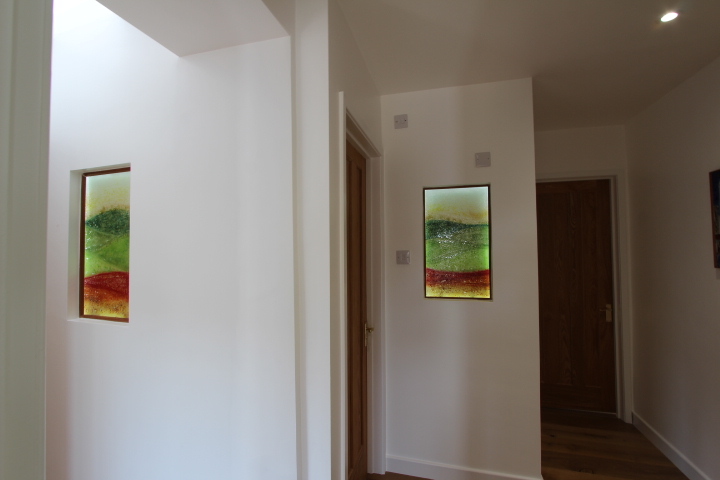 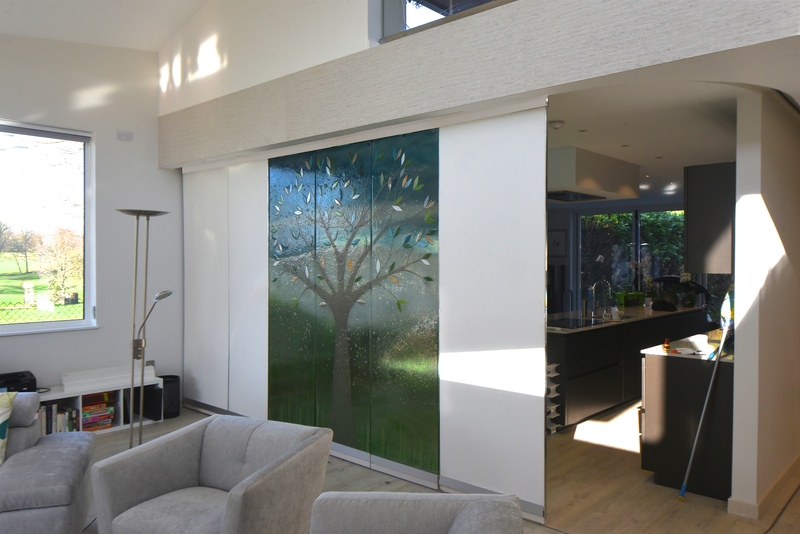 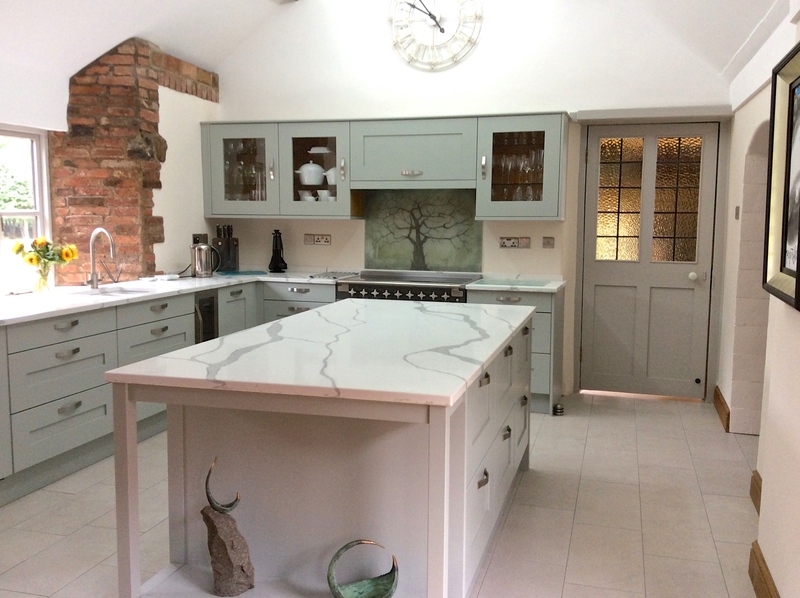 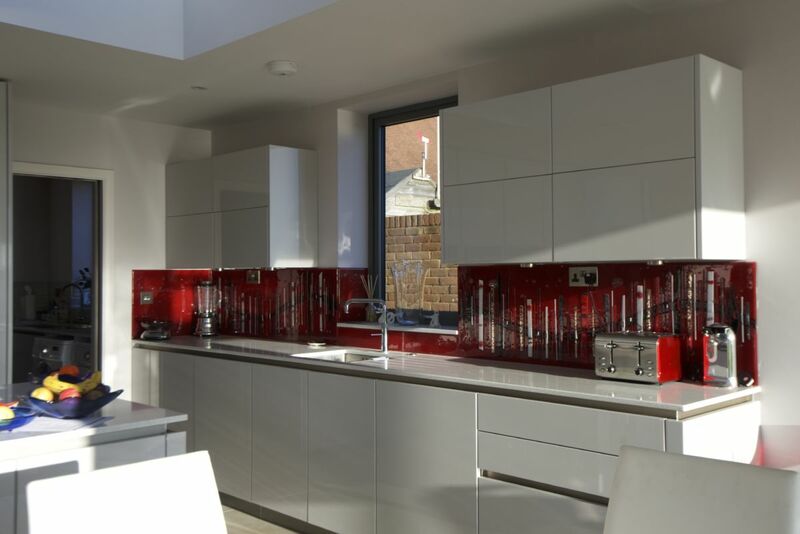 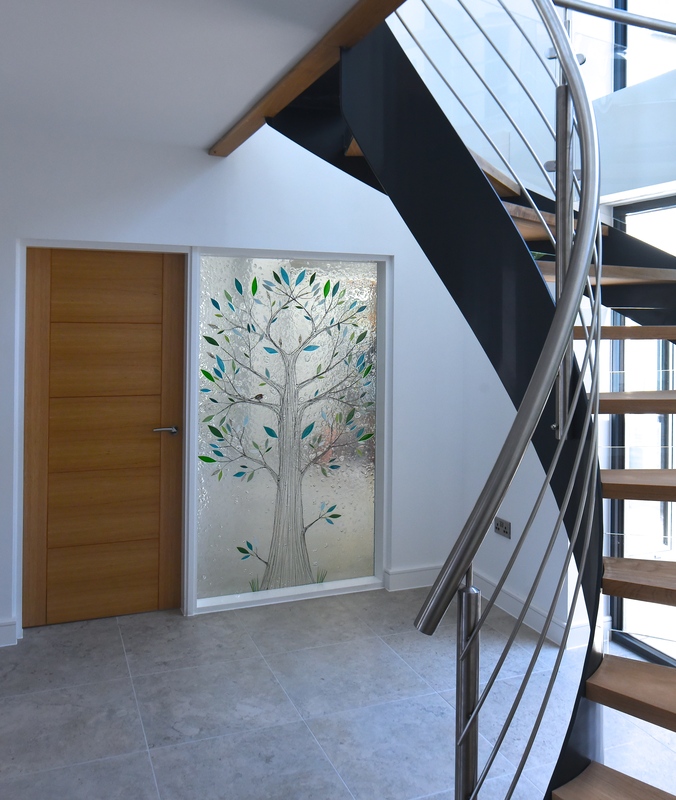 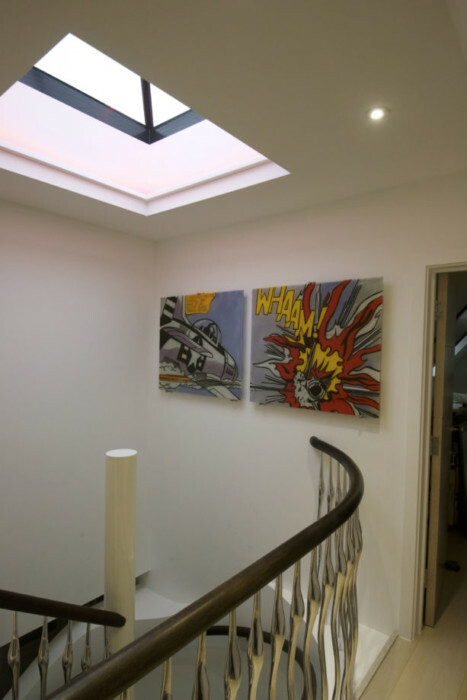 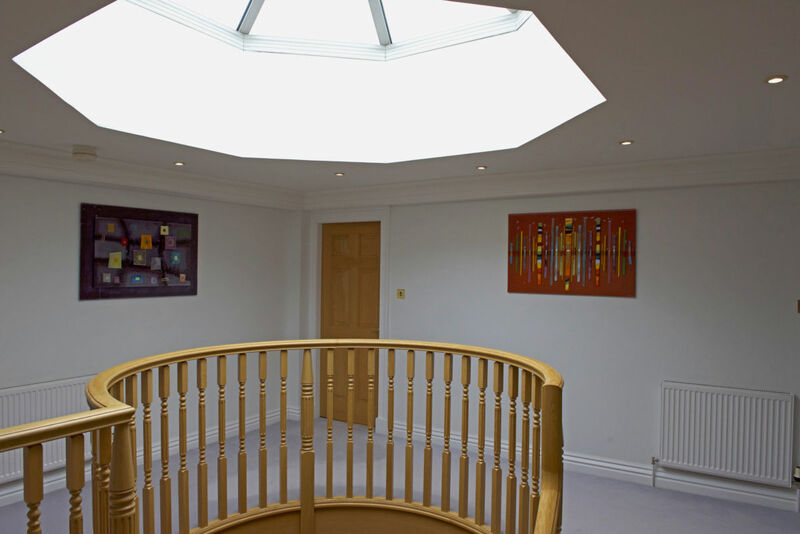 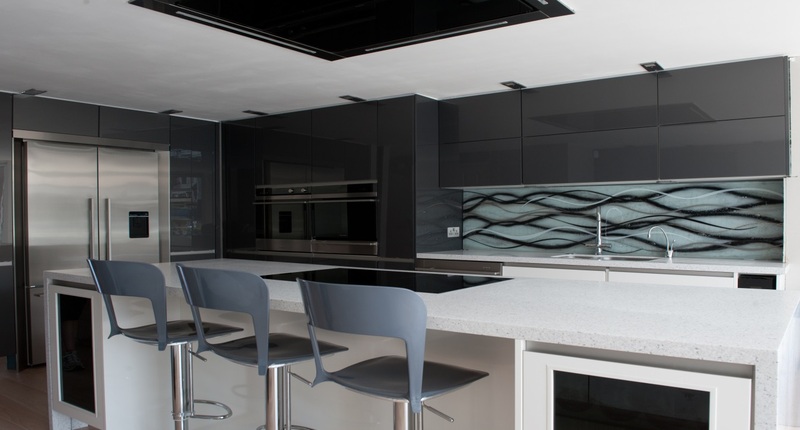 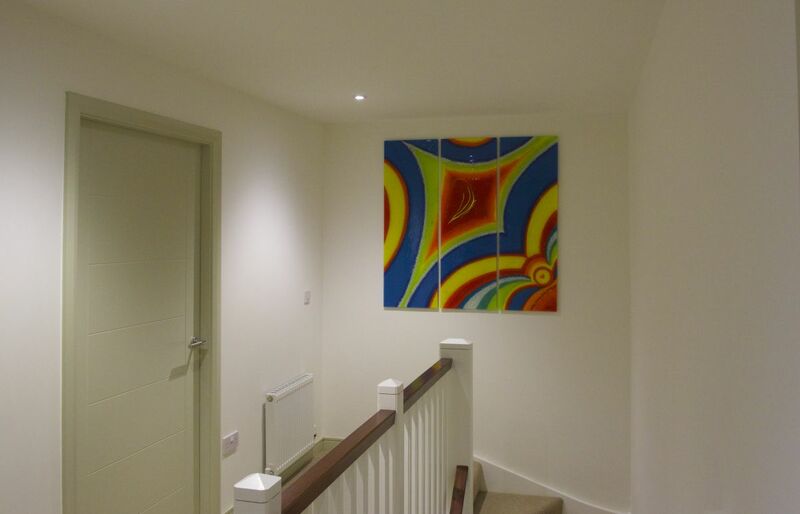 The Aylesbury installation was a case of the client knowing that she wanted some of our glass, but not what design or what colours. 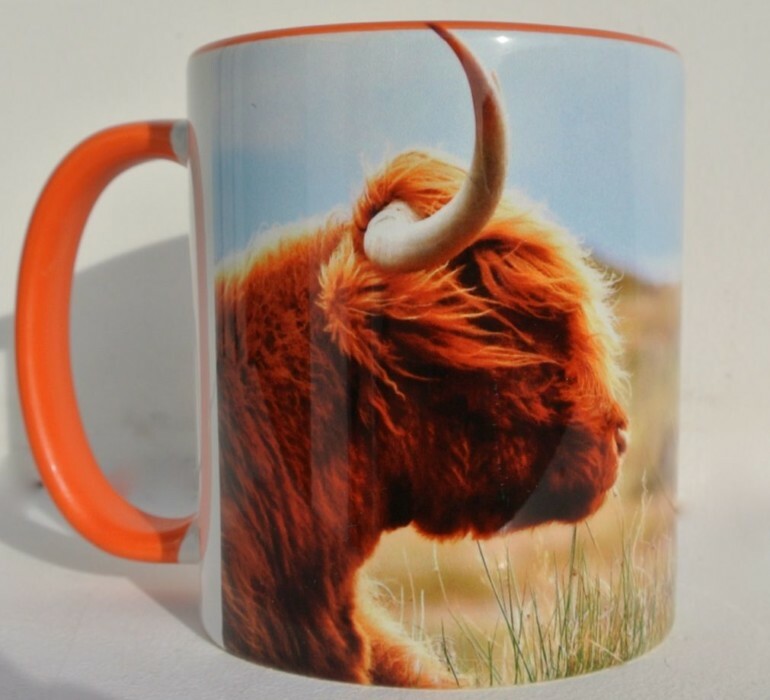 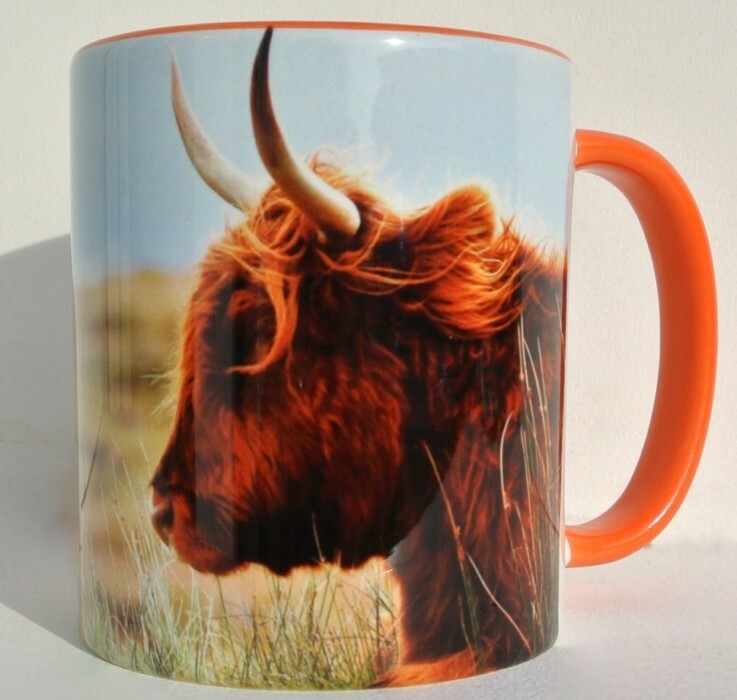 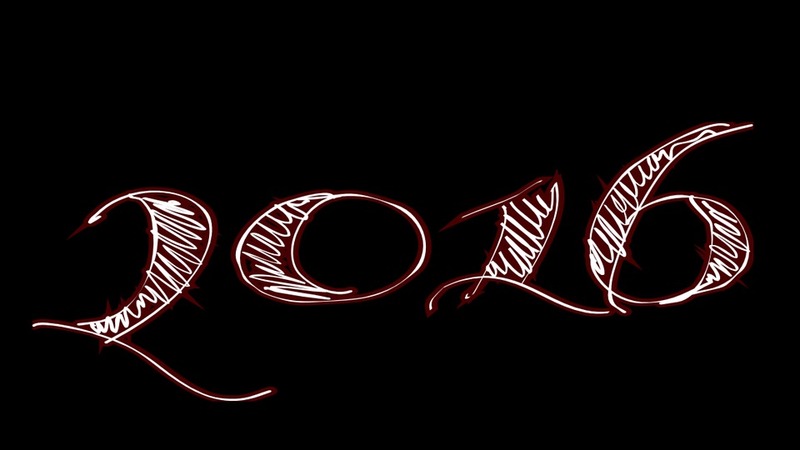 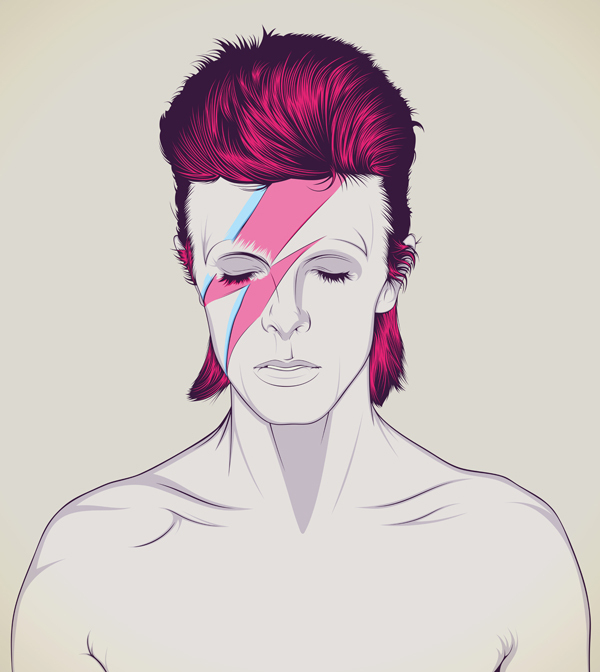 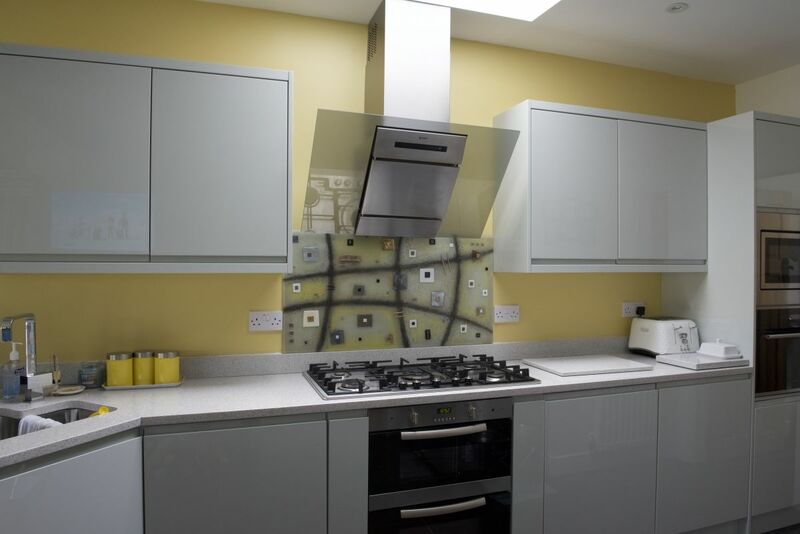 This happens a lot when people initially approach us so it’s up to us to get our design head on! 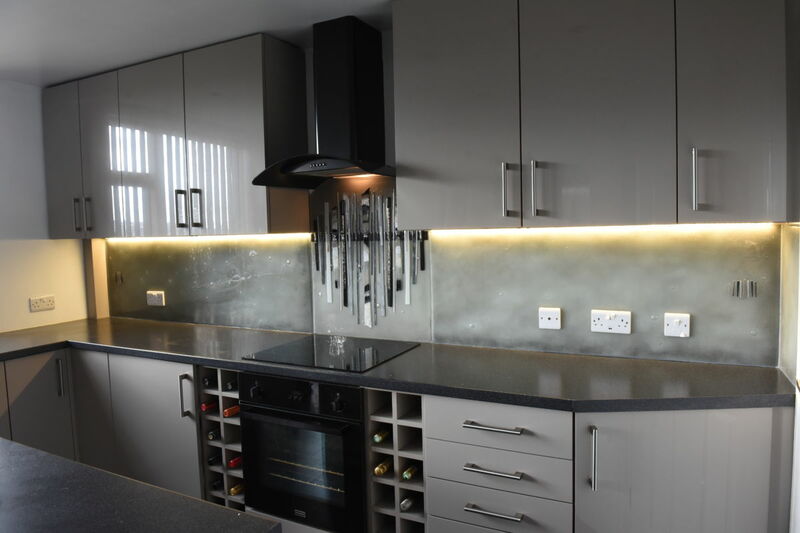 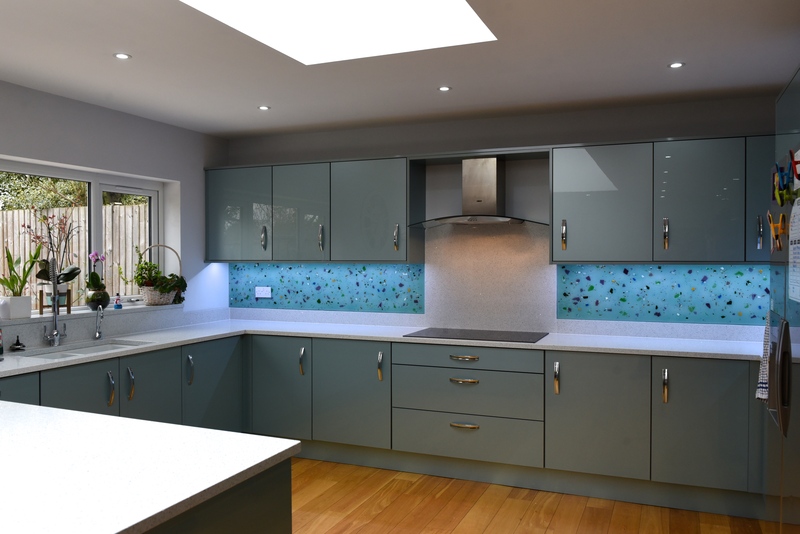 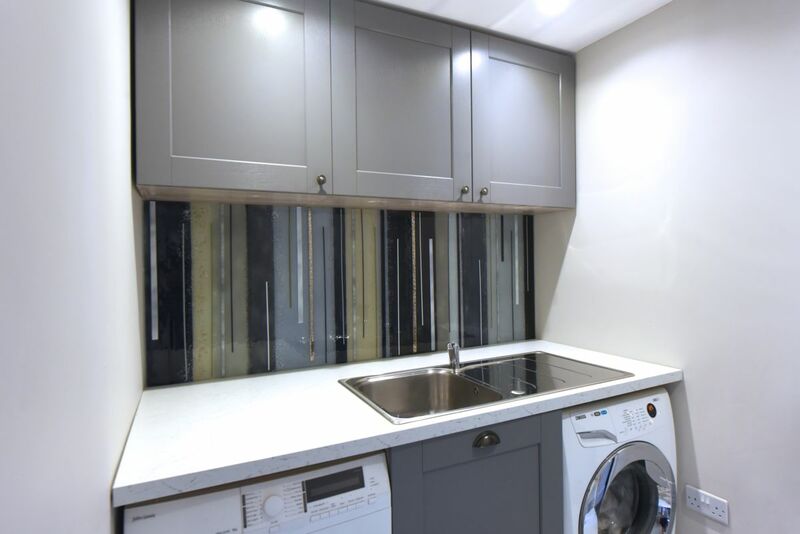 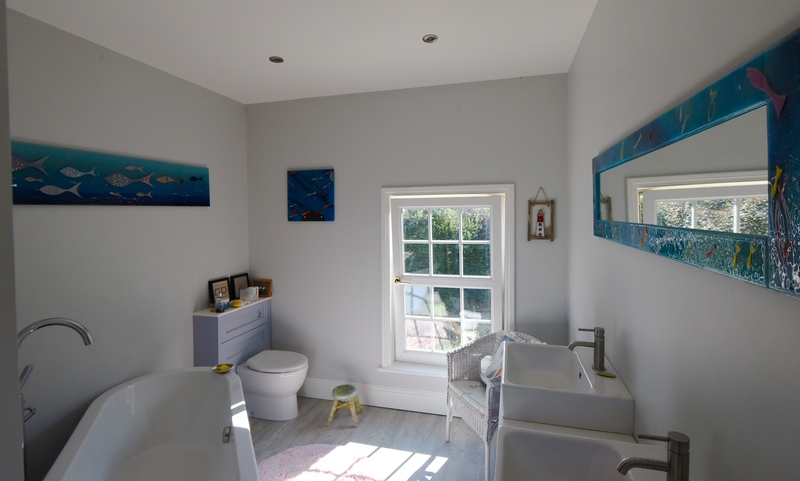 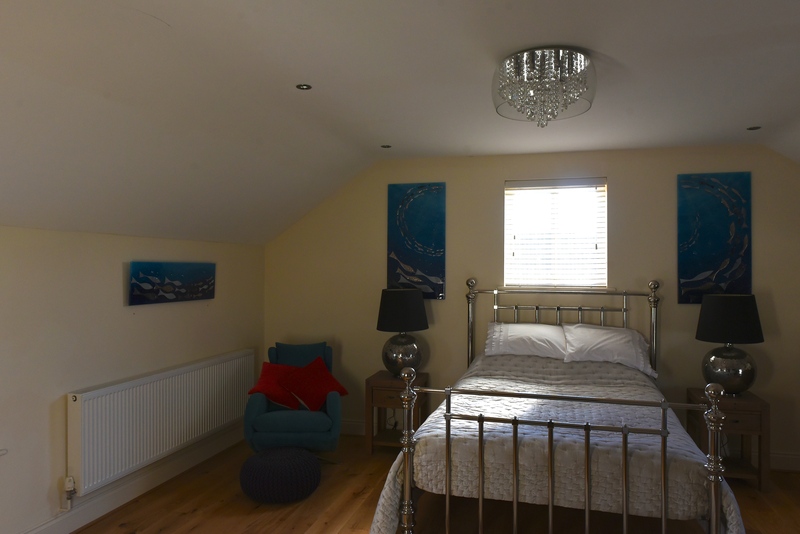 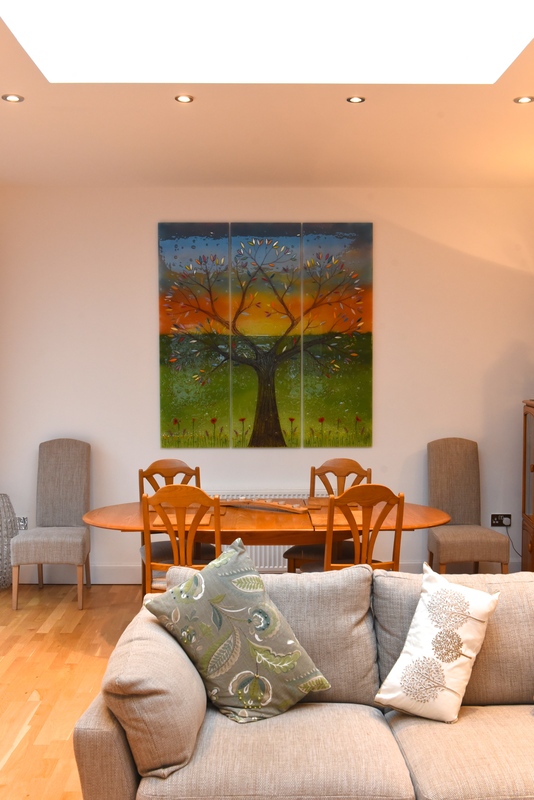 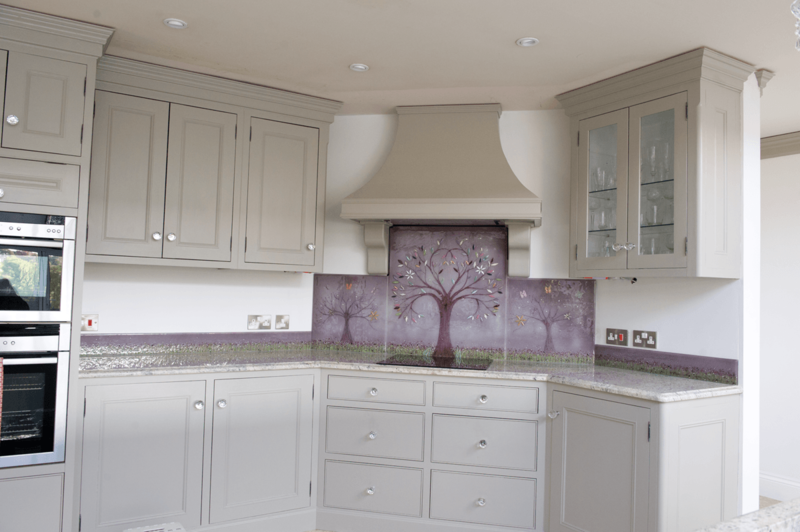 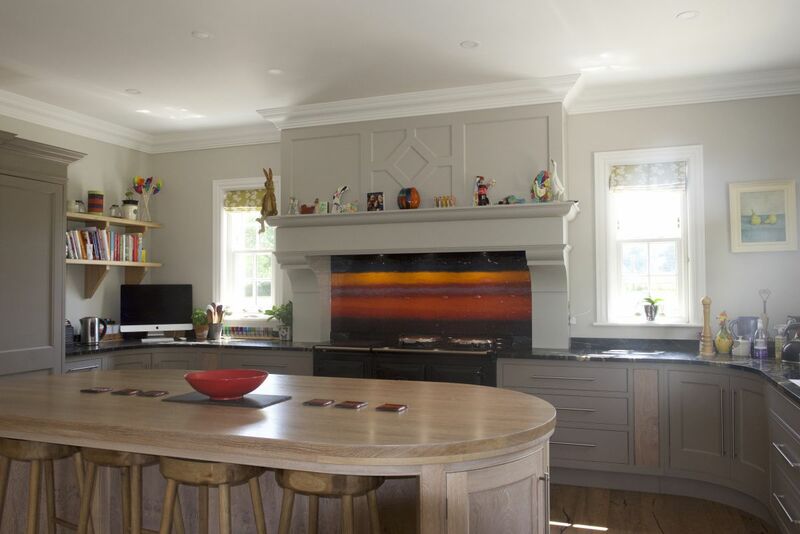 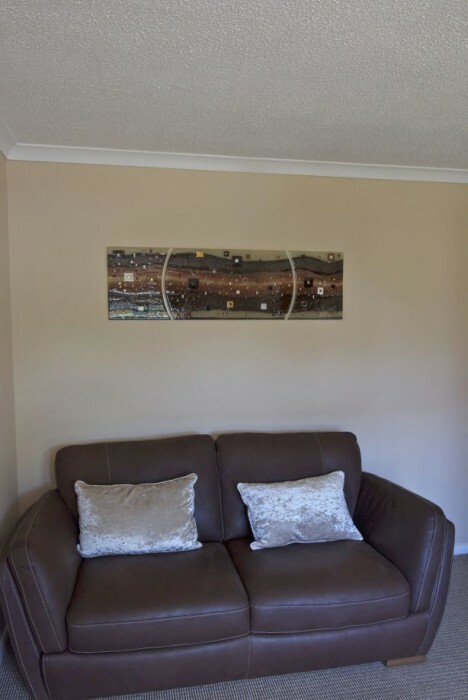 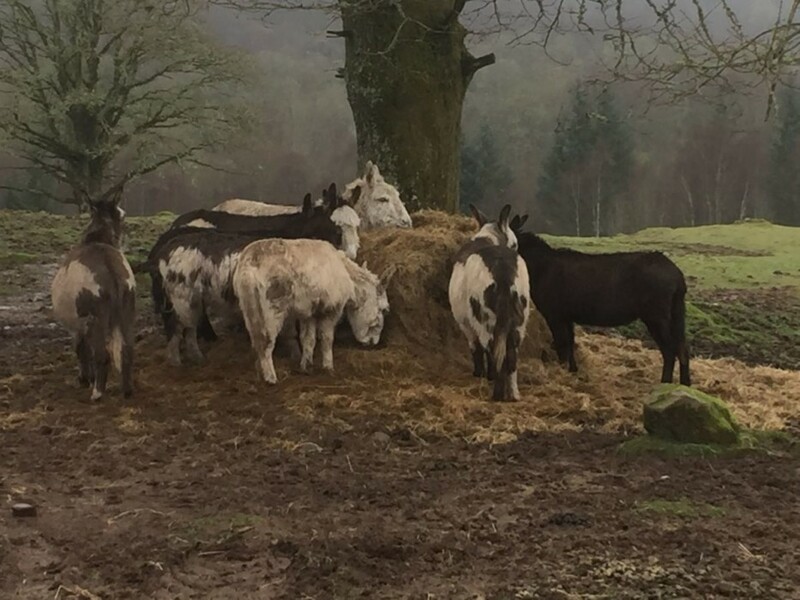 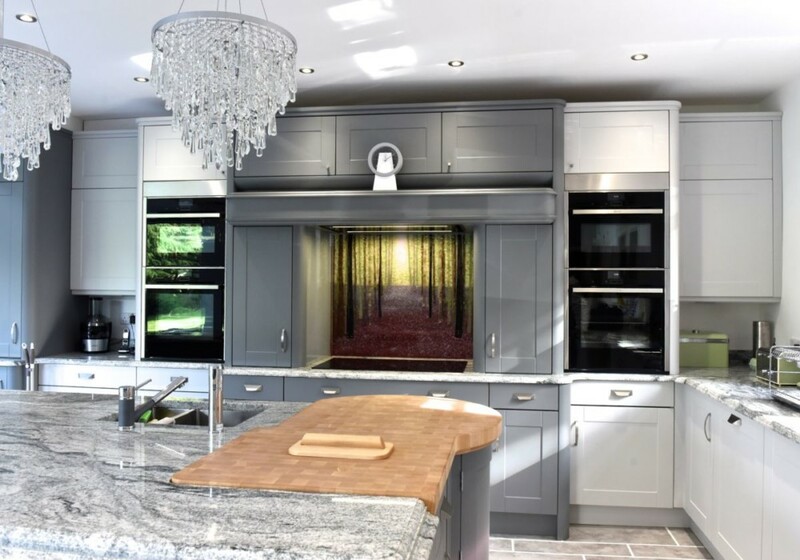 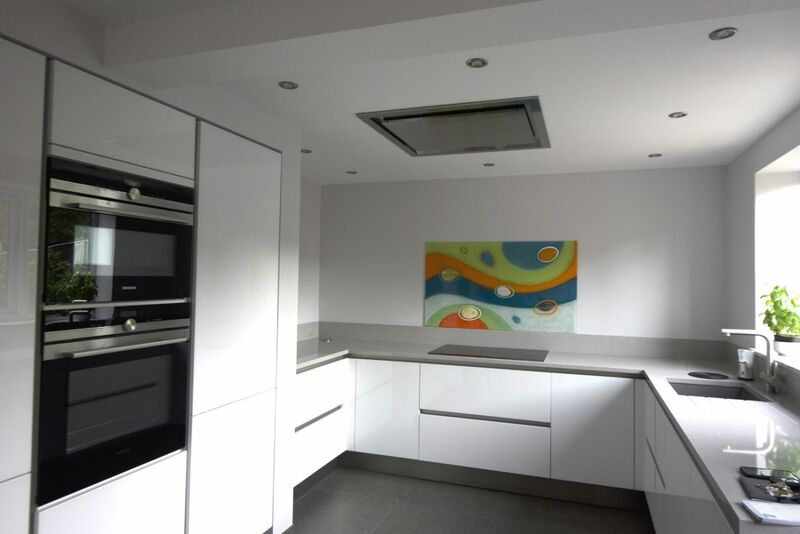 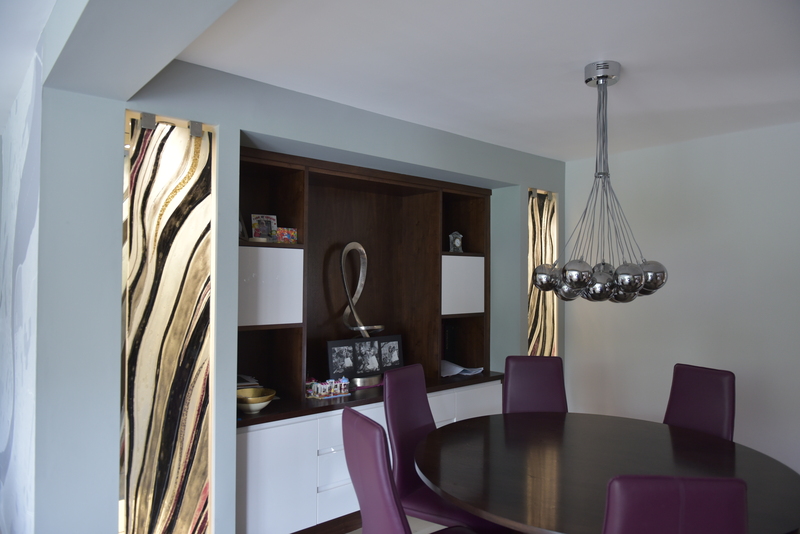 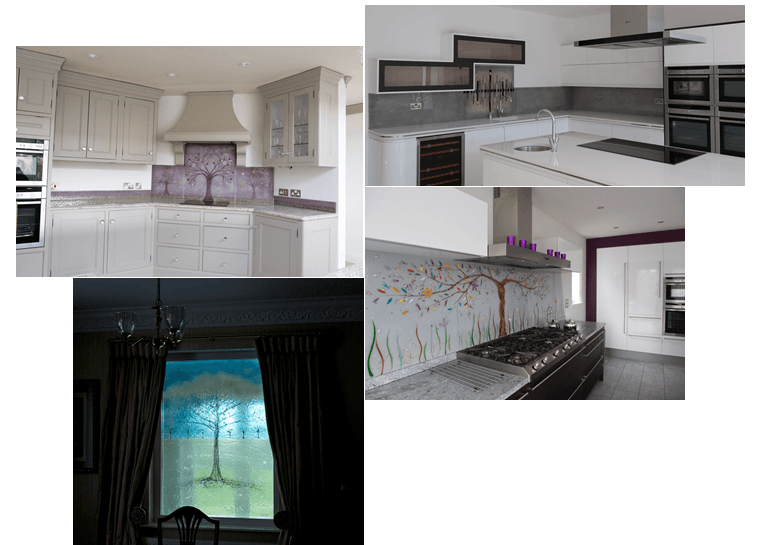 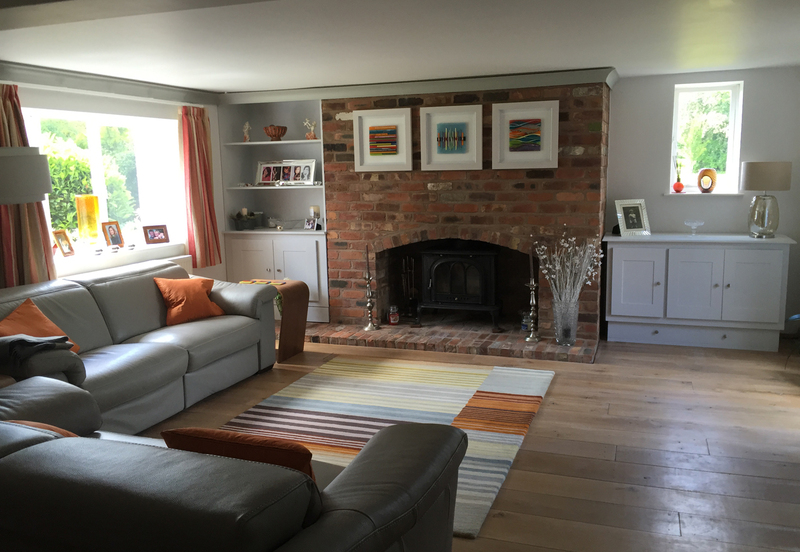 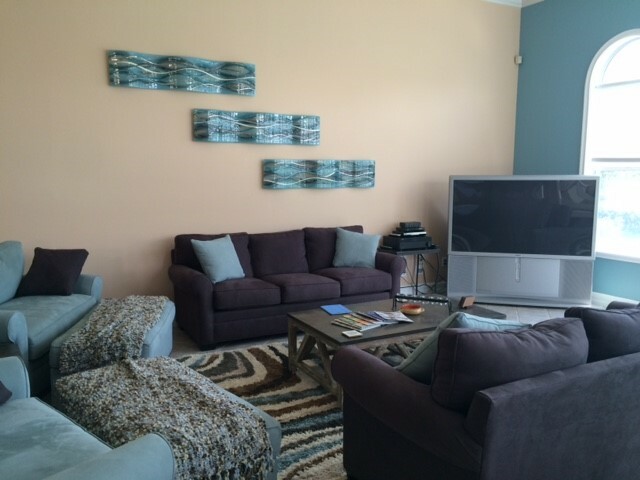 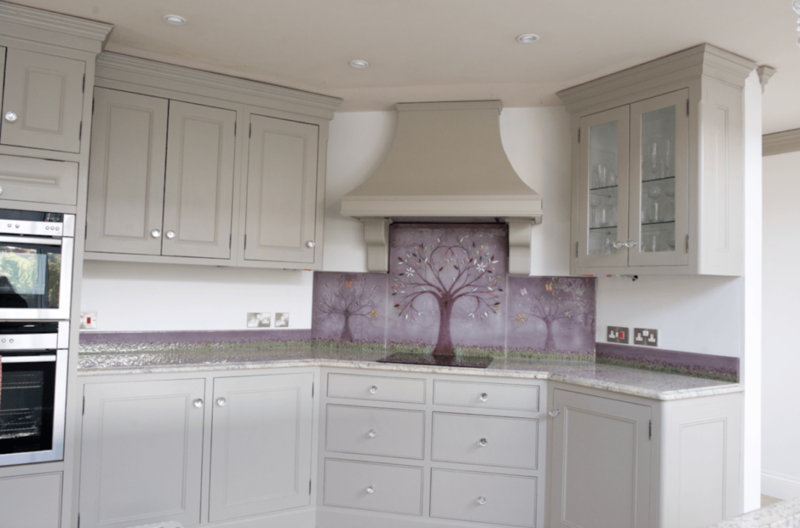 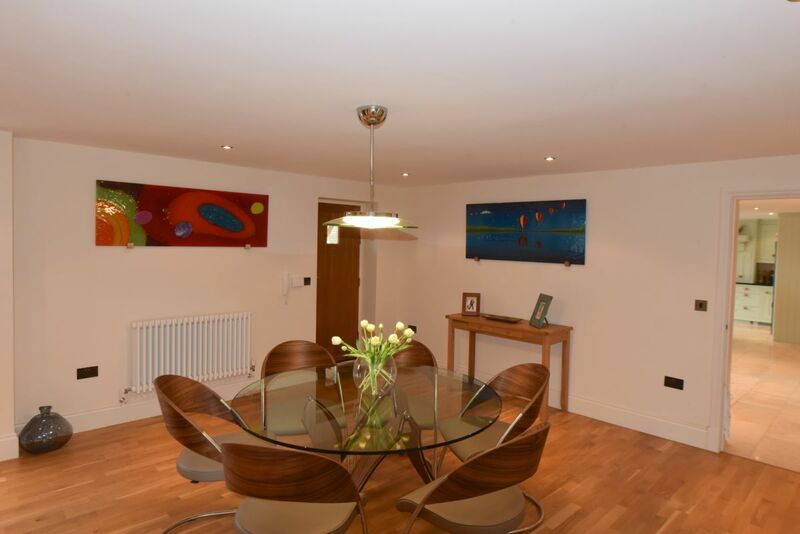 Lisa suggested a pale grey background colour to work off, because it would complement her kitchen and then we added pinks, purples, lime greens and bits of silver to go with the ‘modern decor’ of the room. 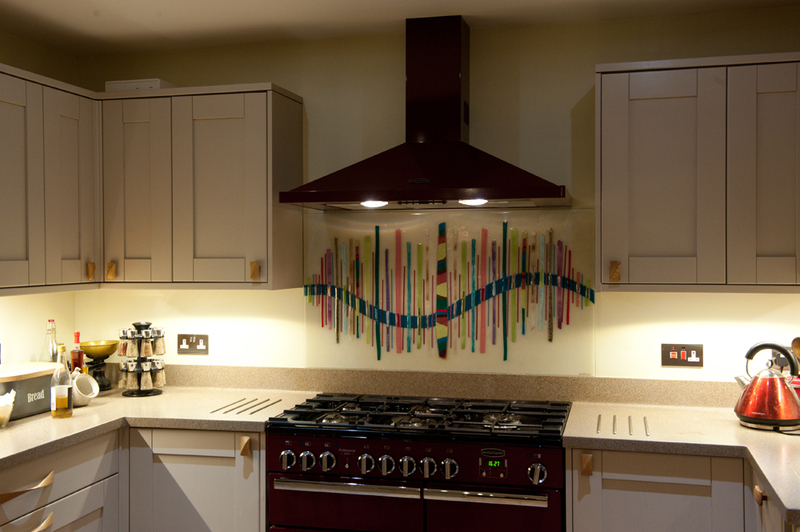 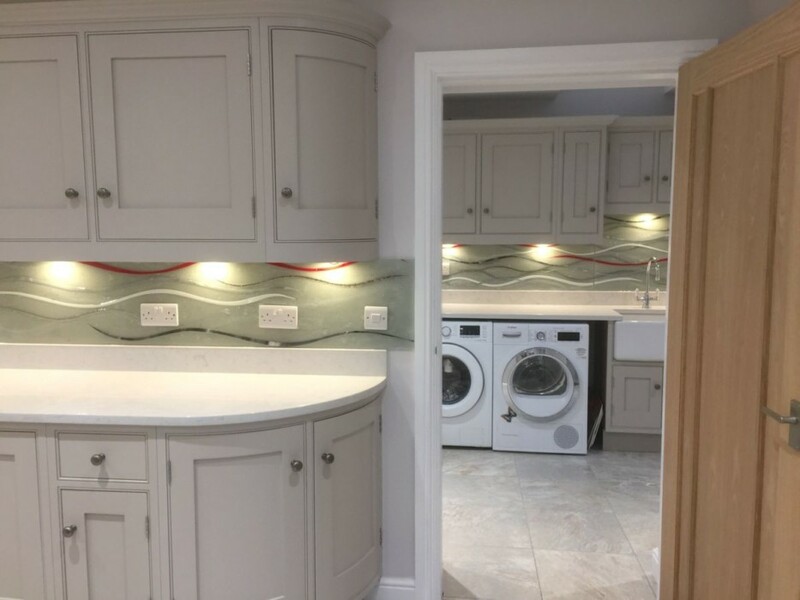 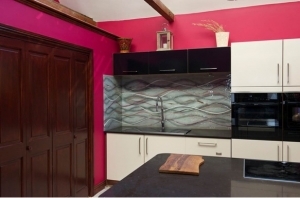 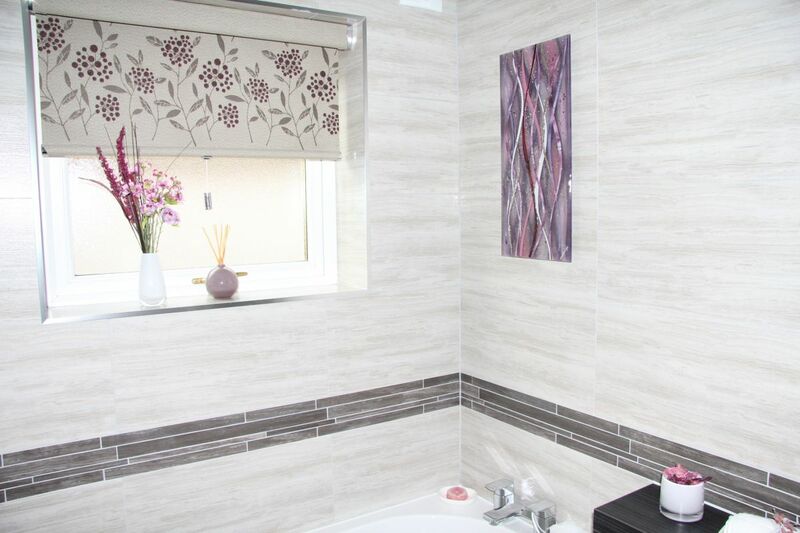 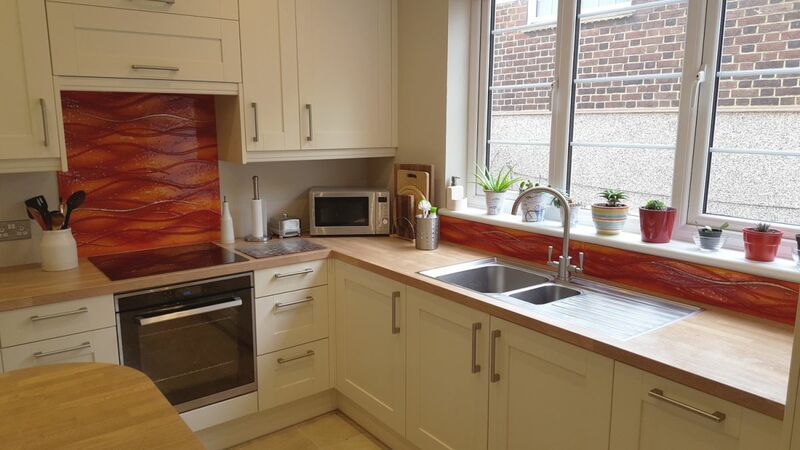 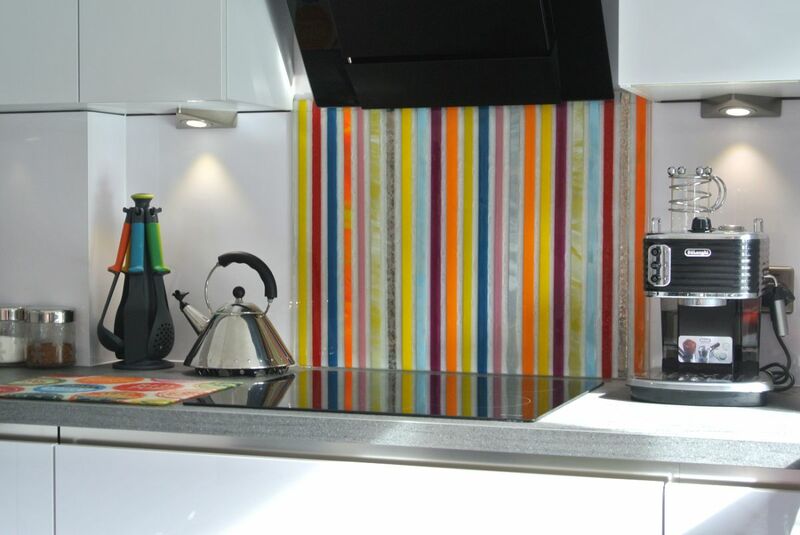 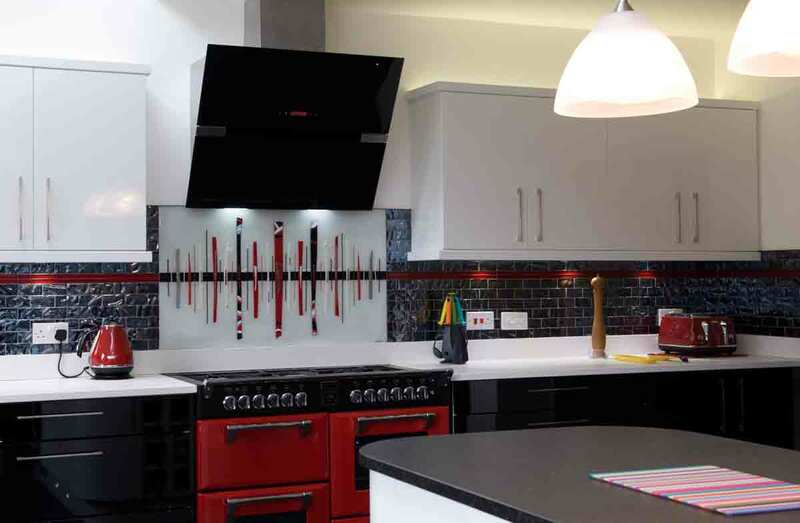 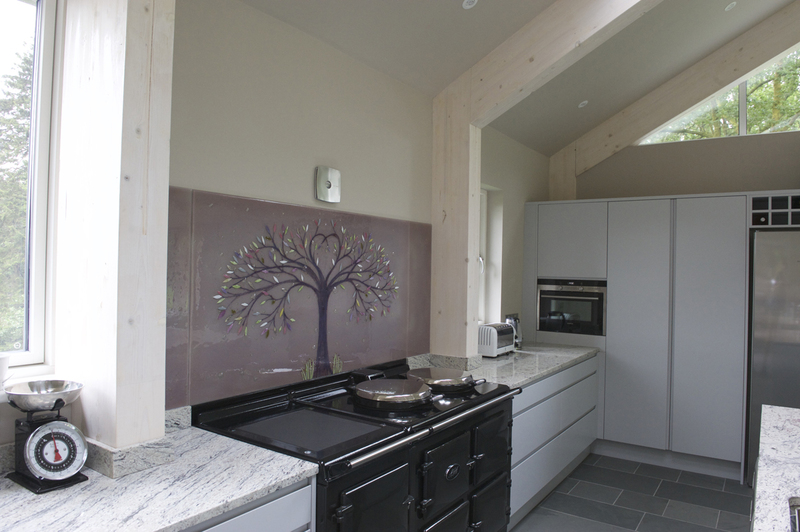 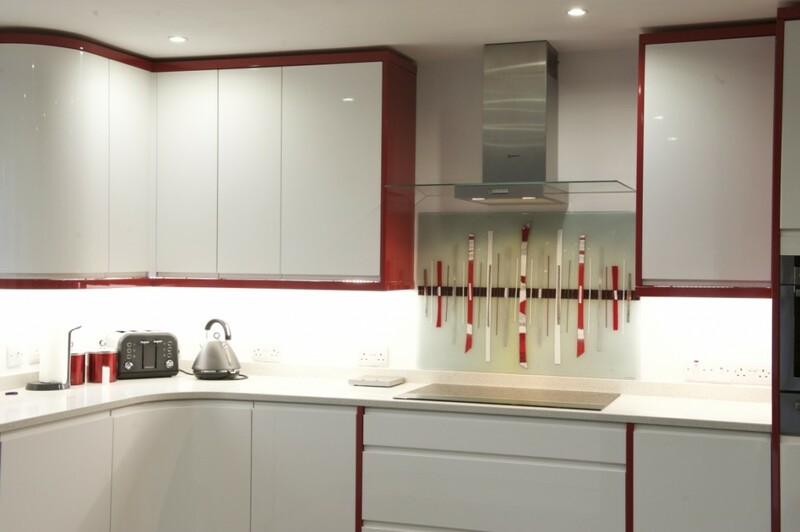 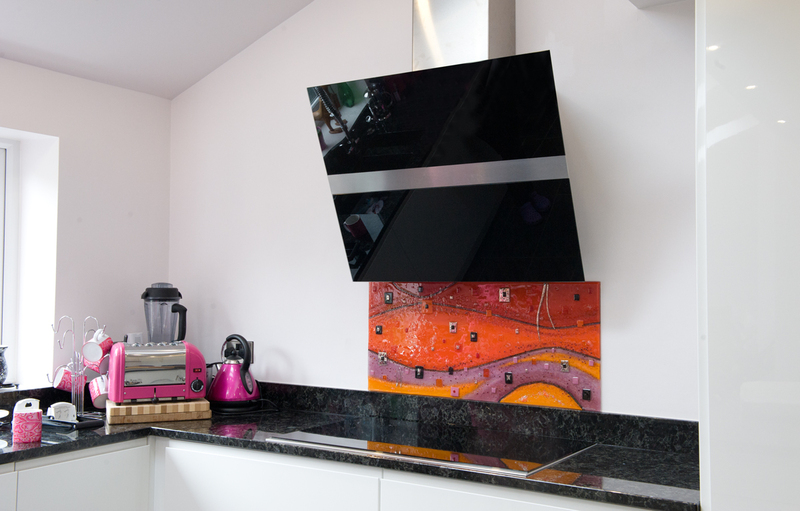 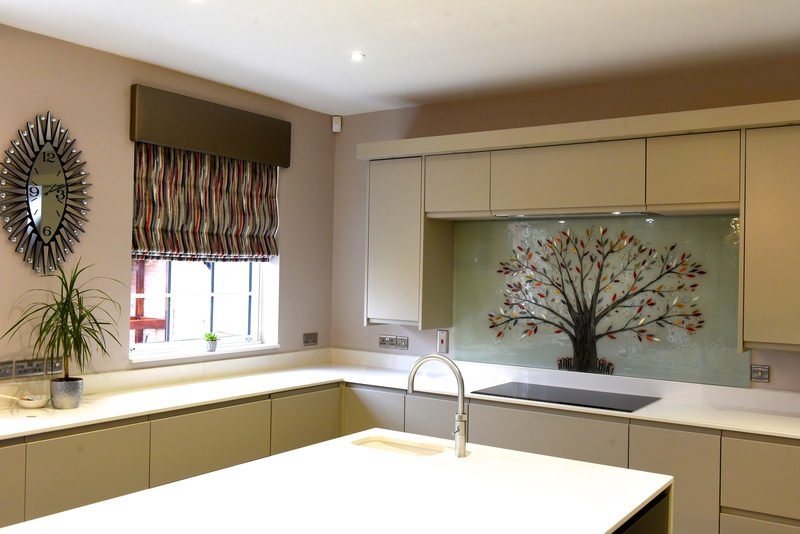 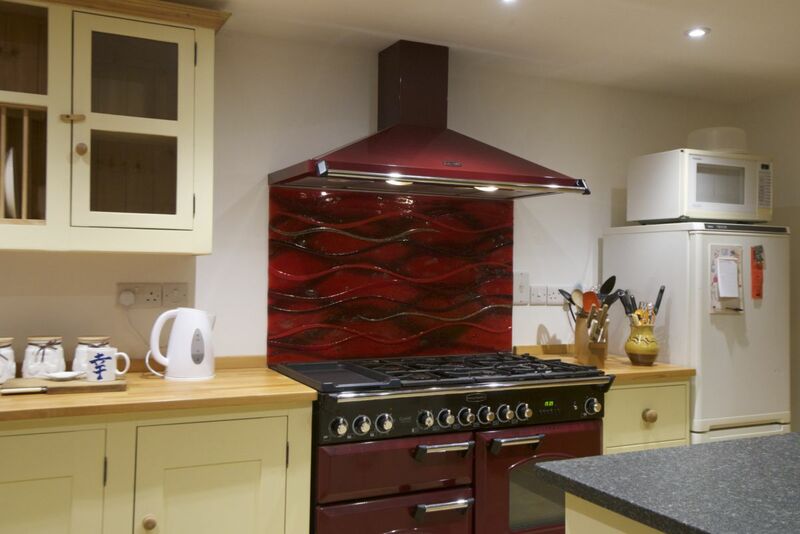 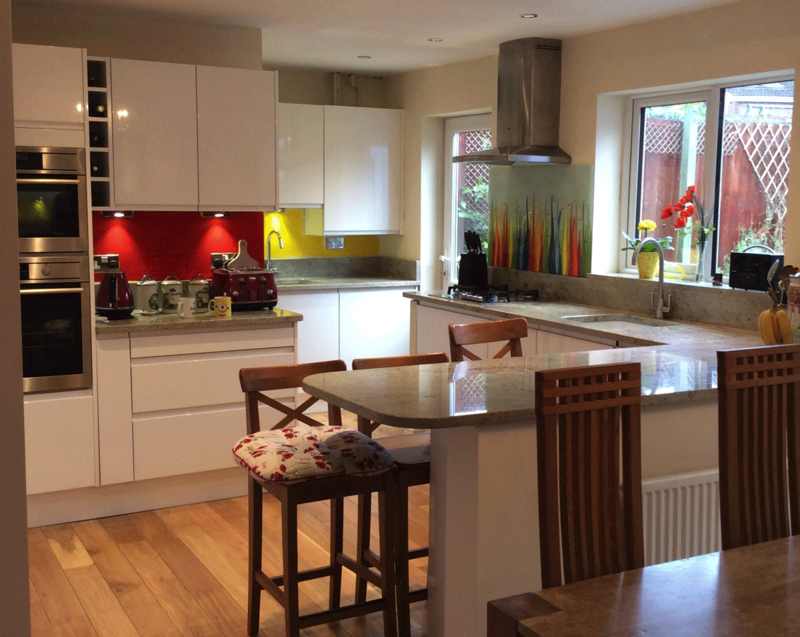 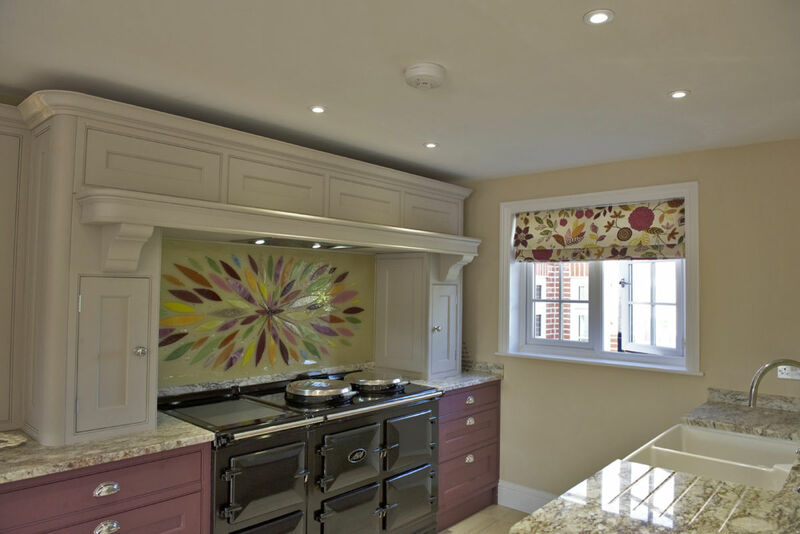 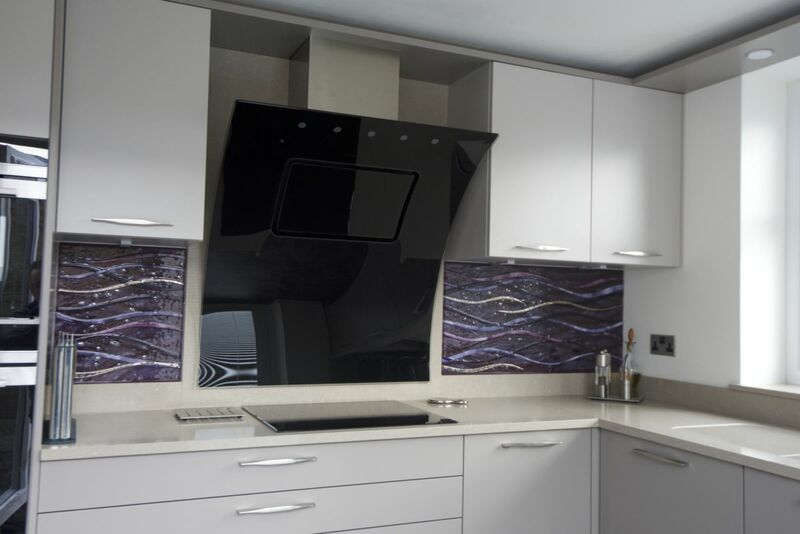 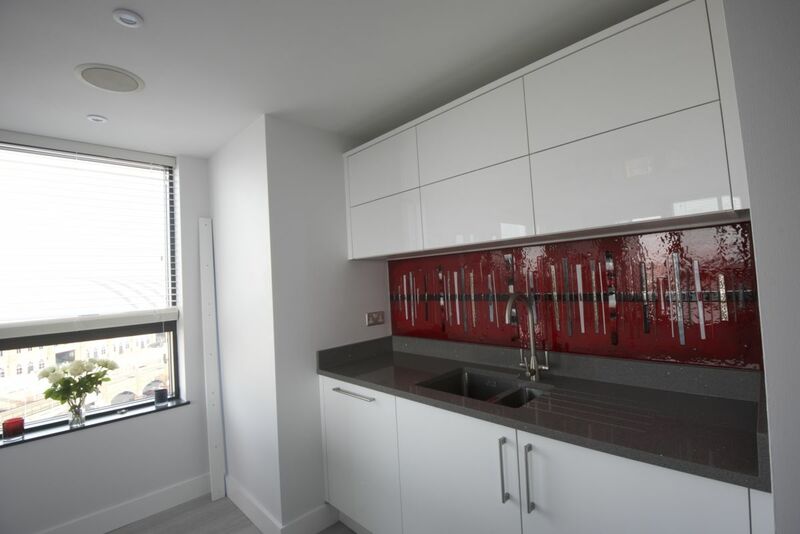 We think the subtle colours on the kitchen splash back tie in brilliantly with the pink wall! 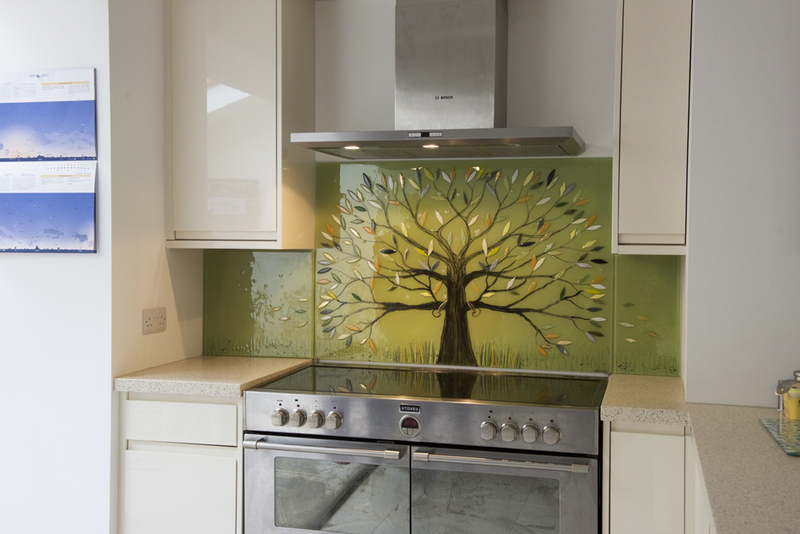 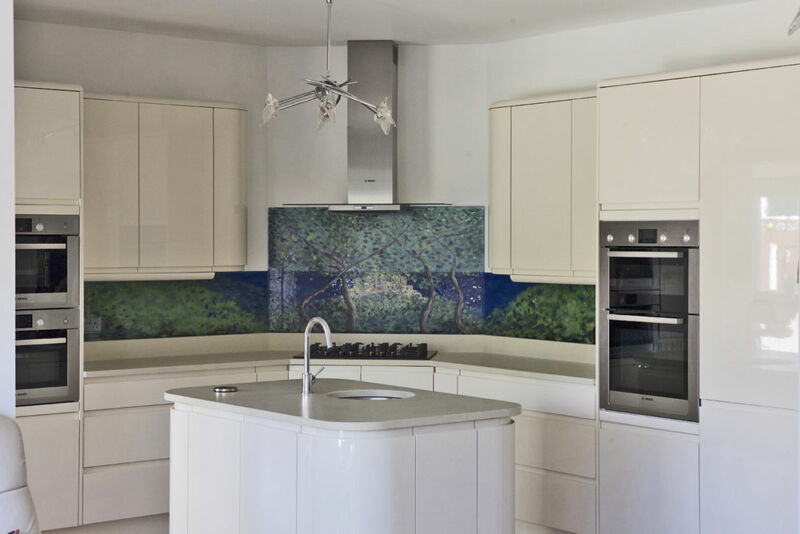 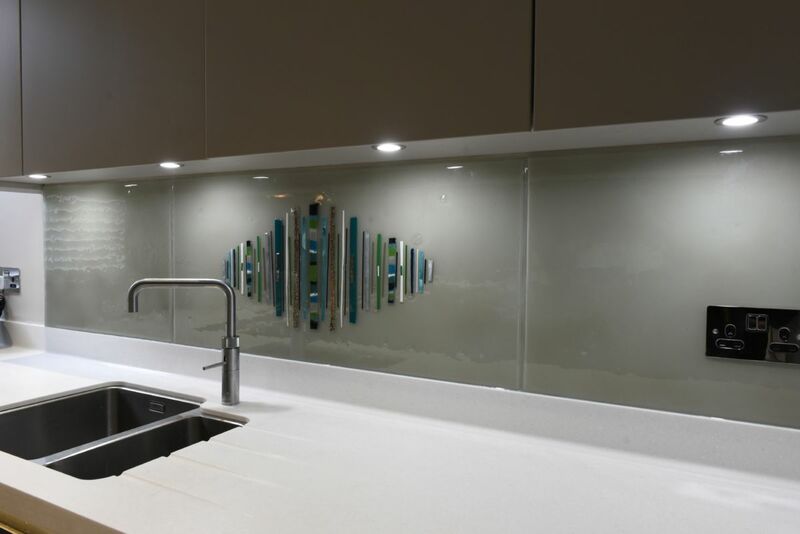 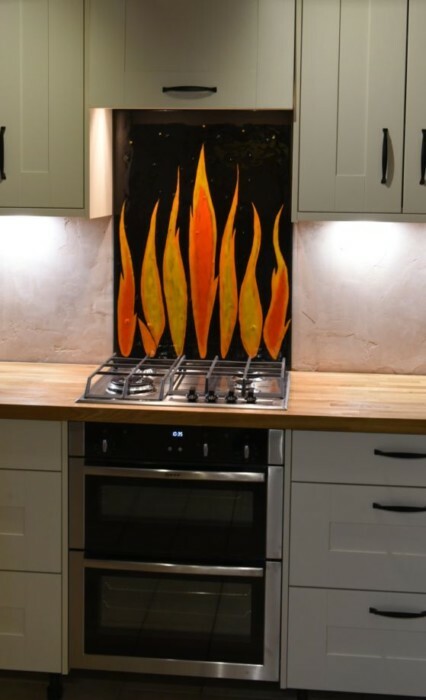 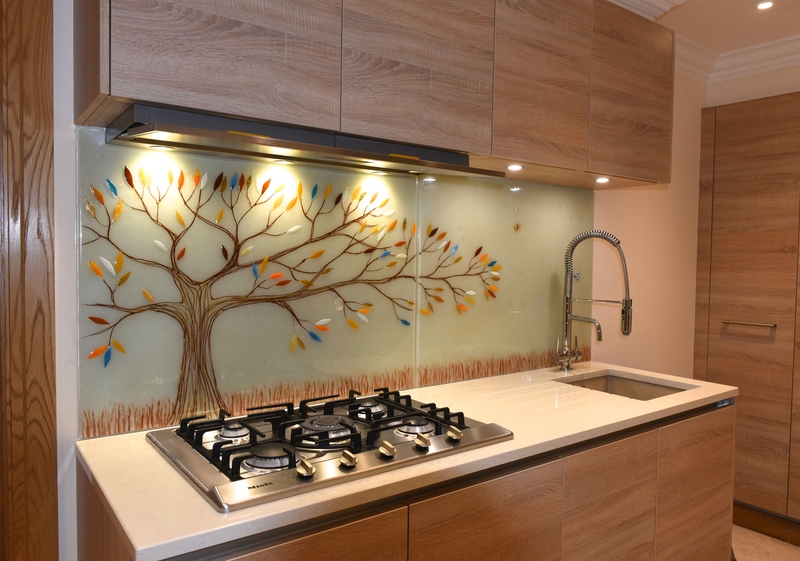 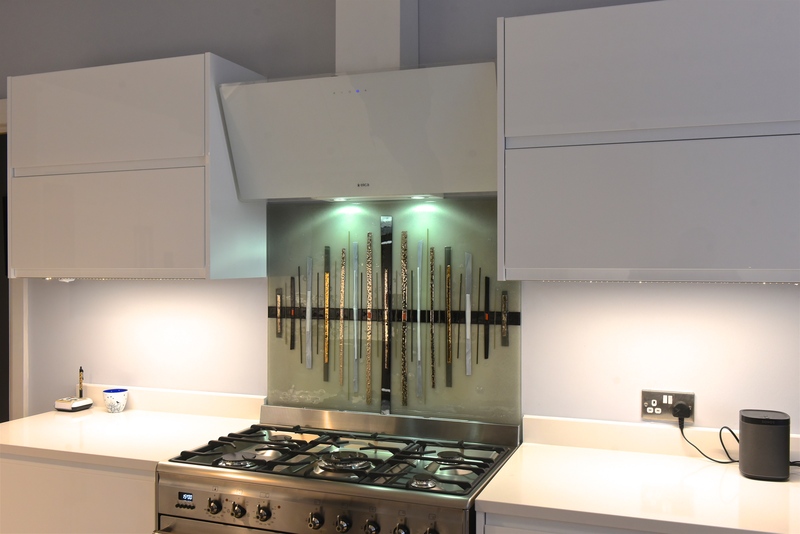 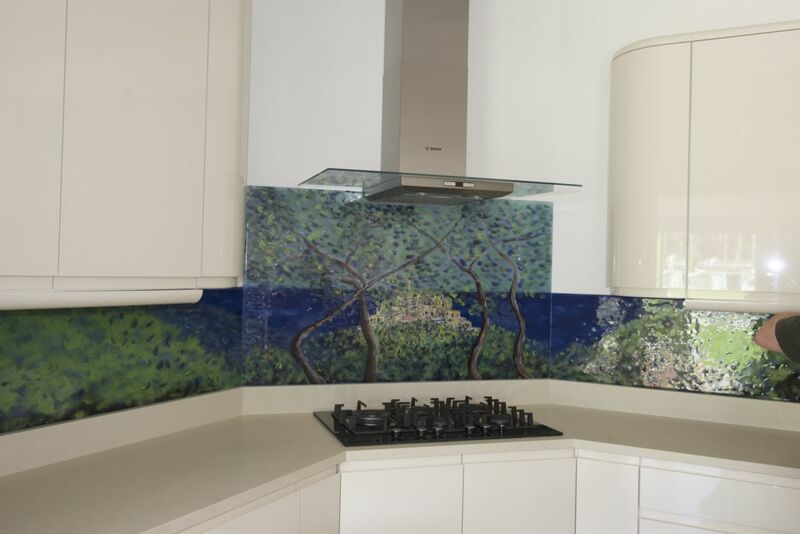 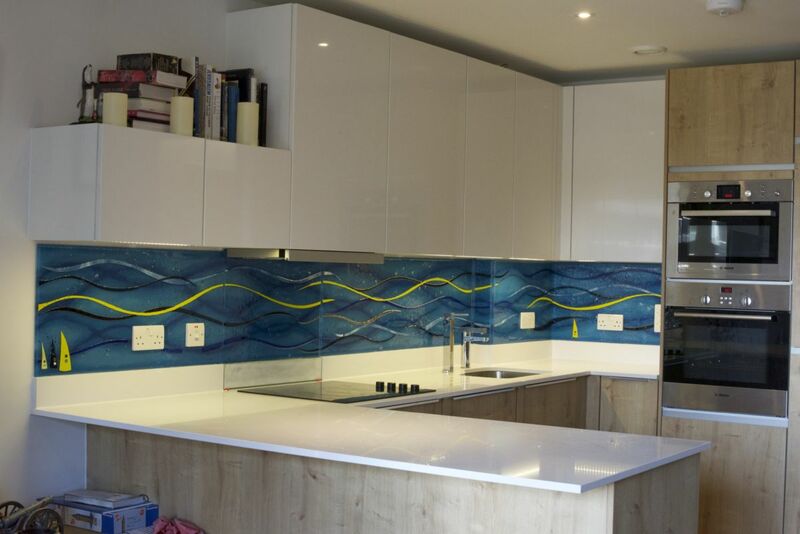 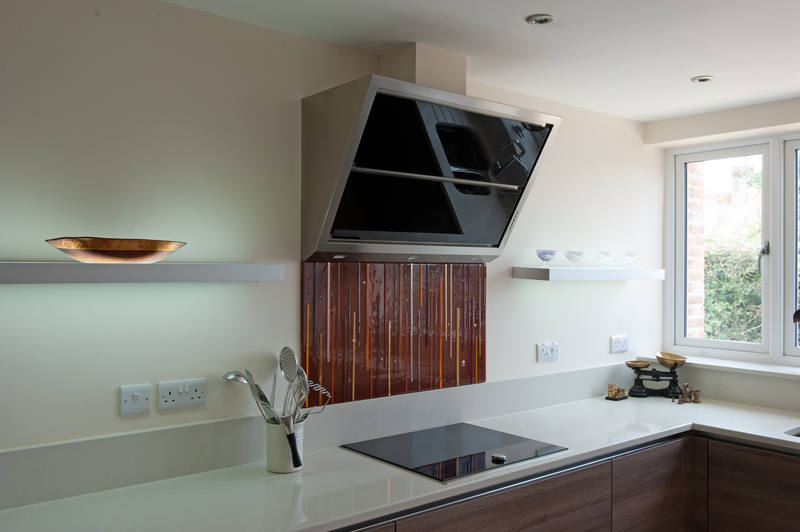 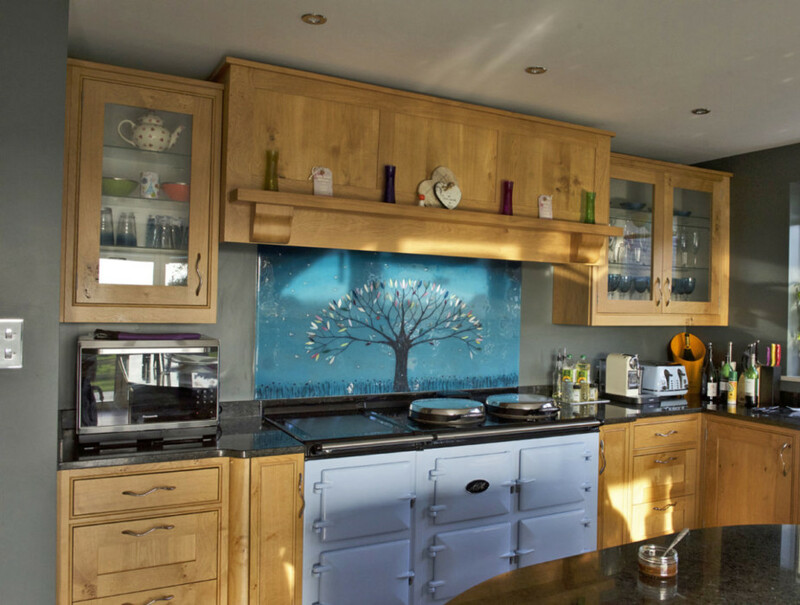 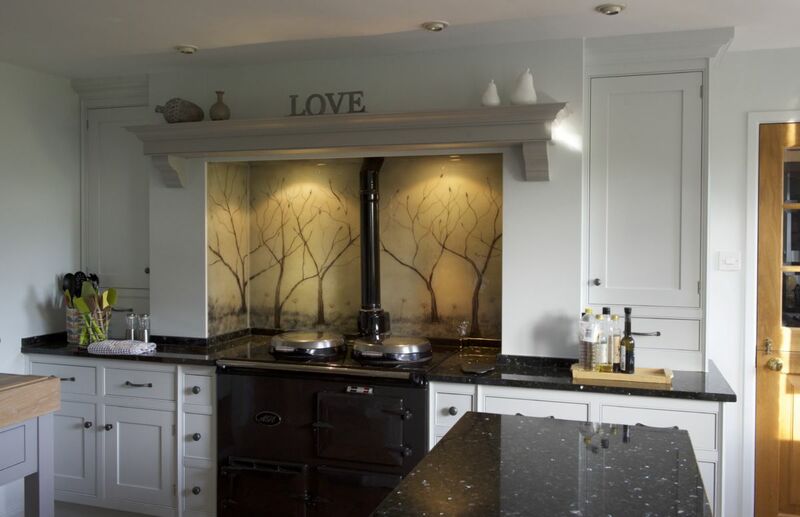 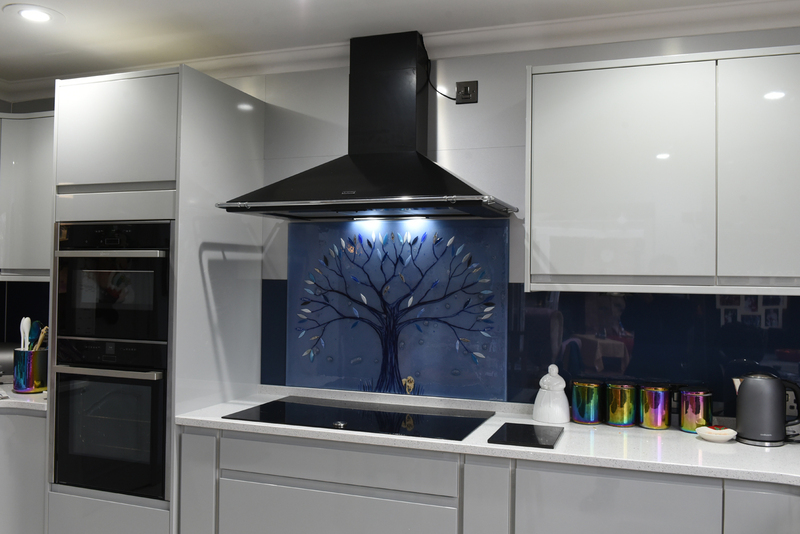 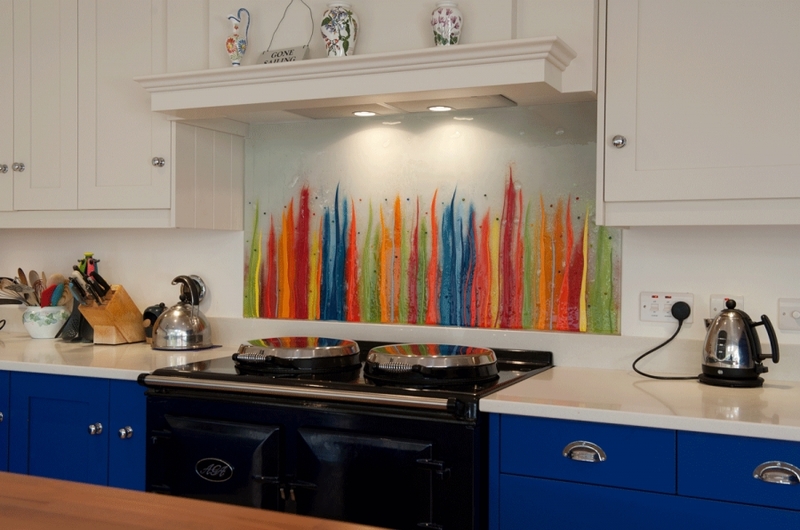 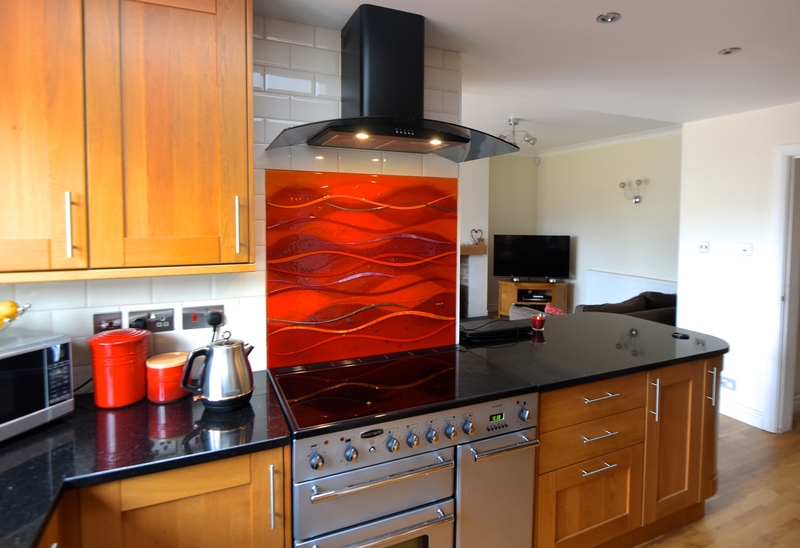 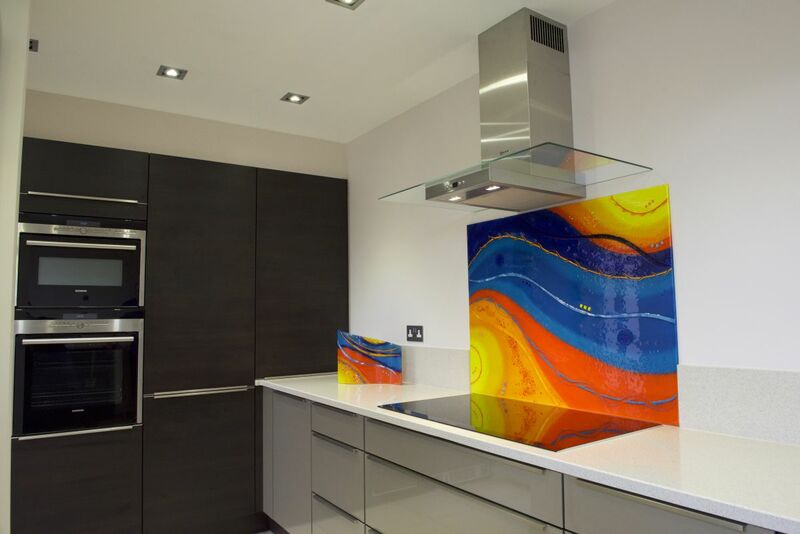 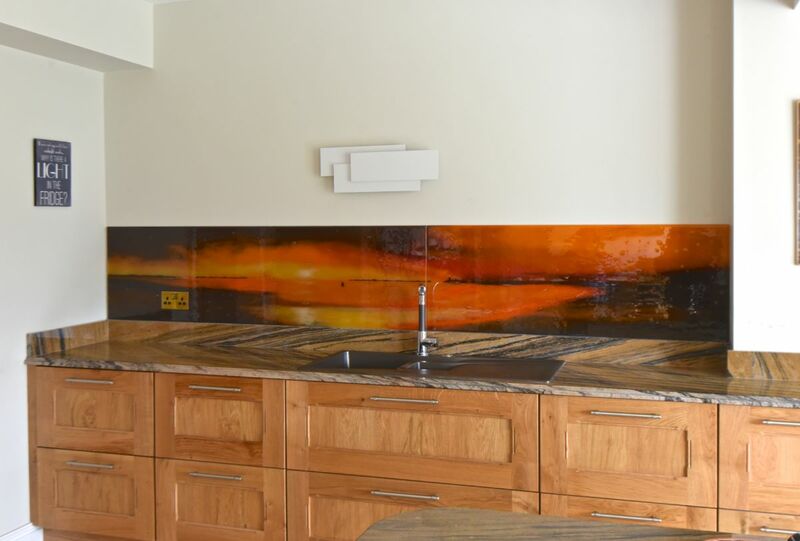 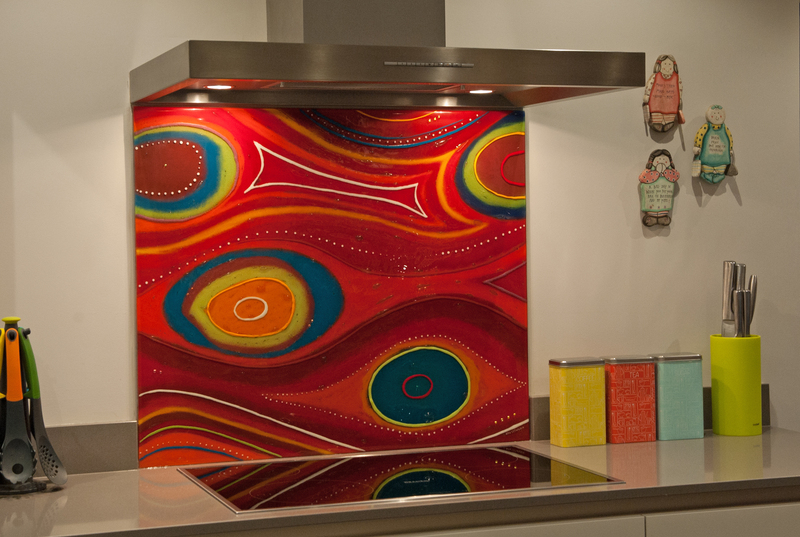 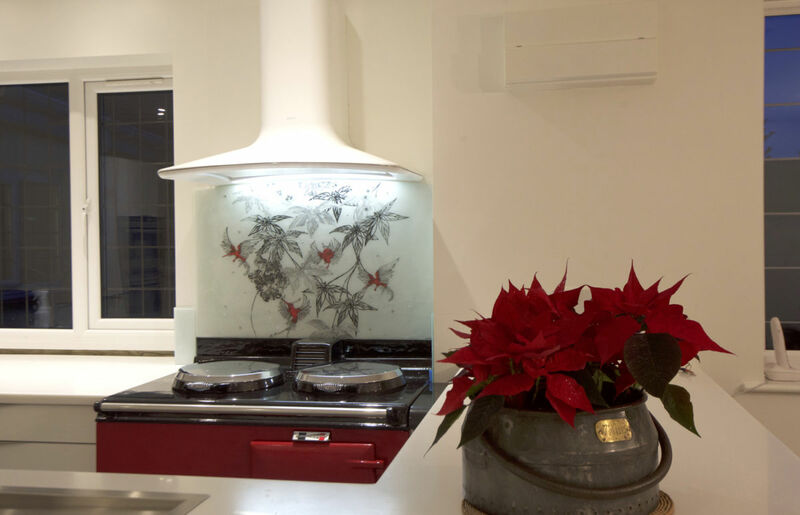 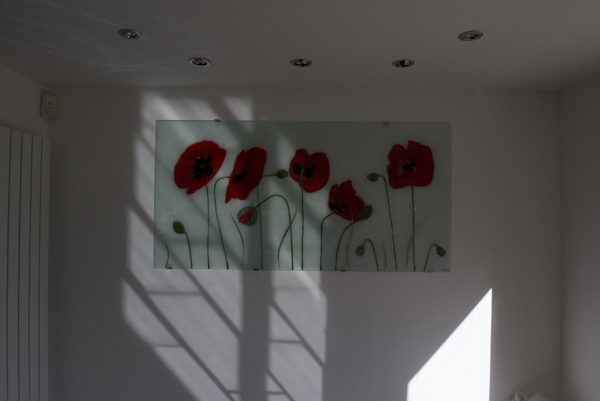 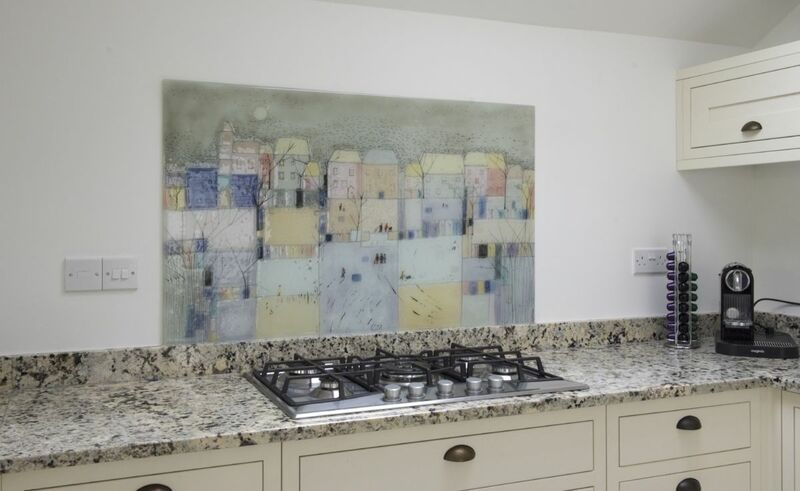 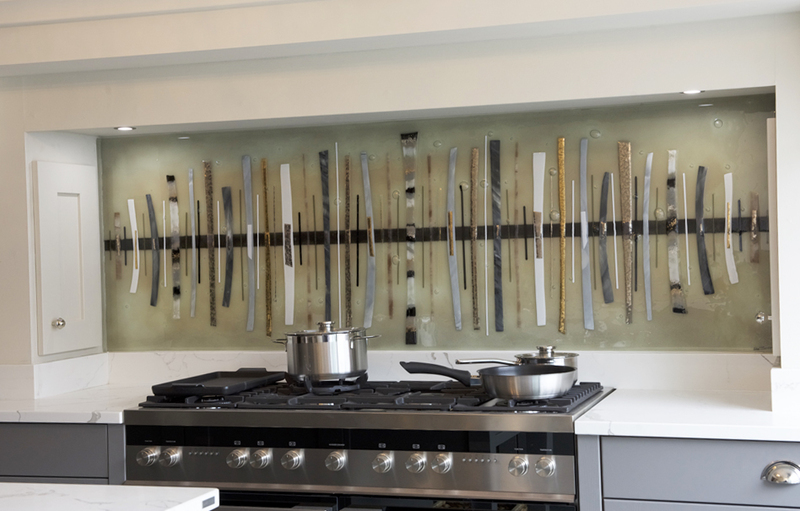 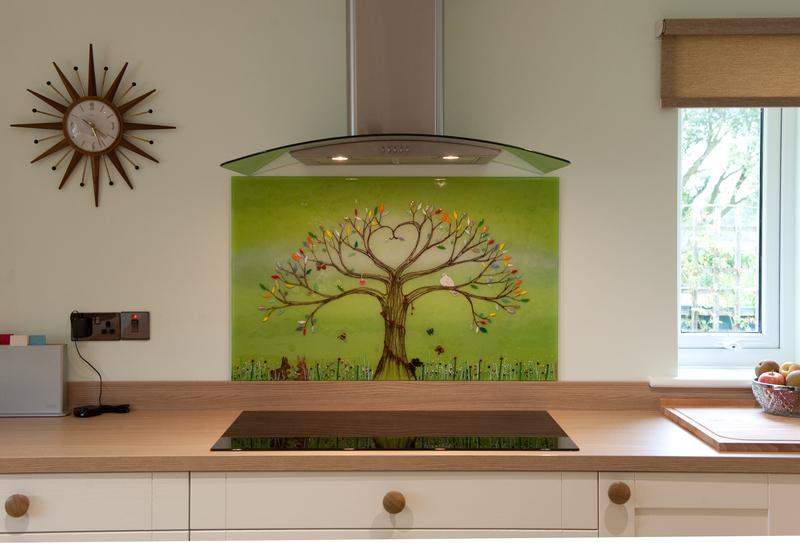 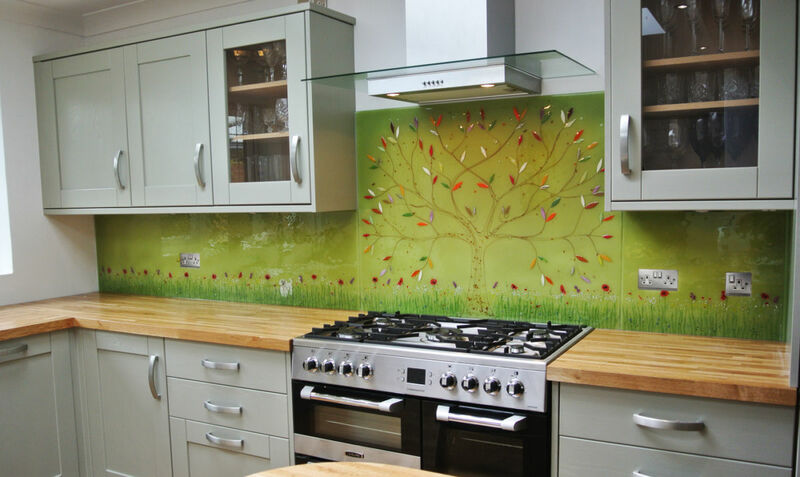 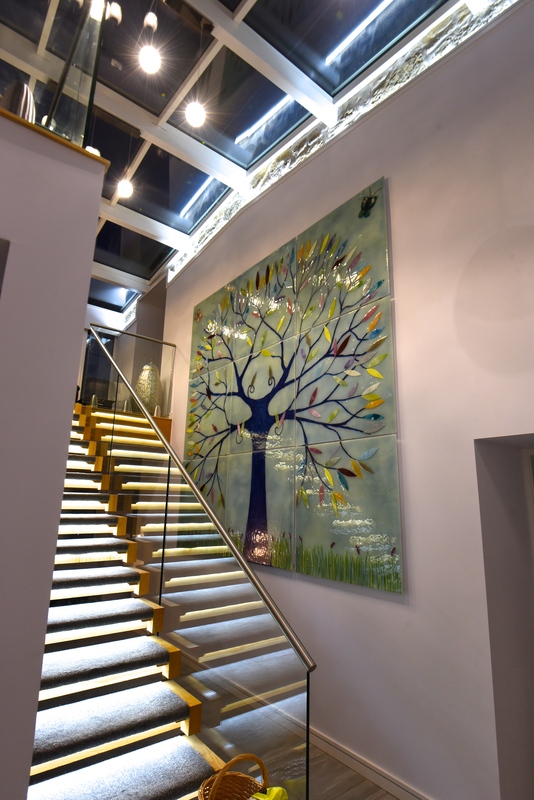 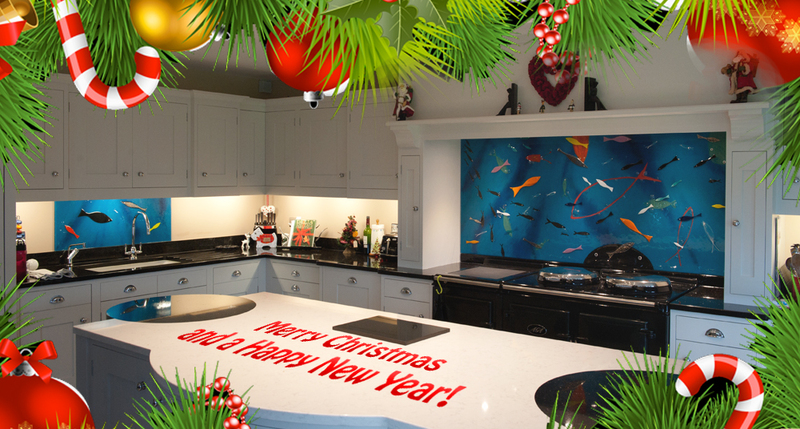 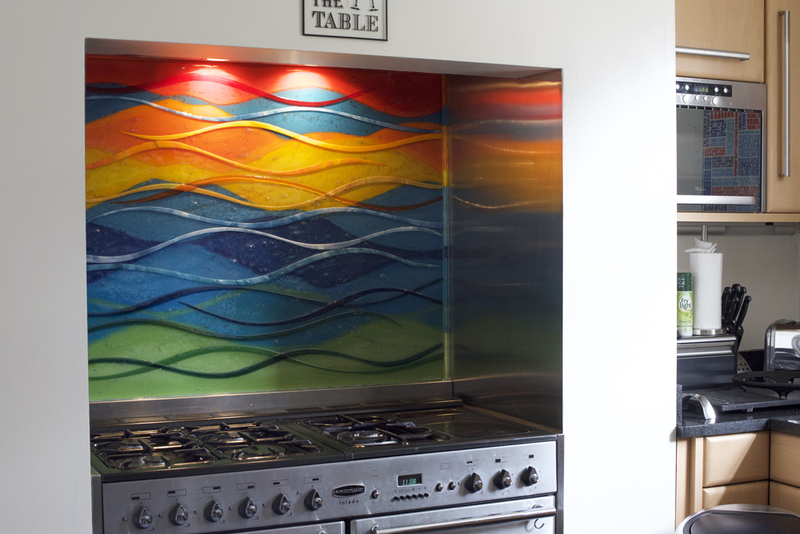 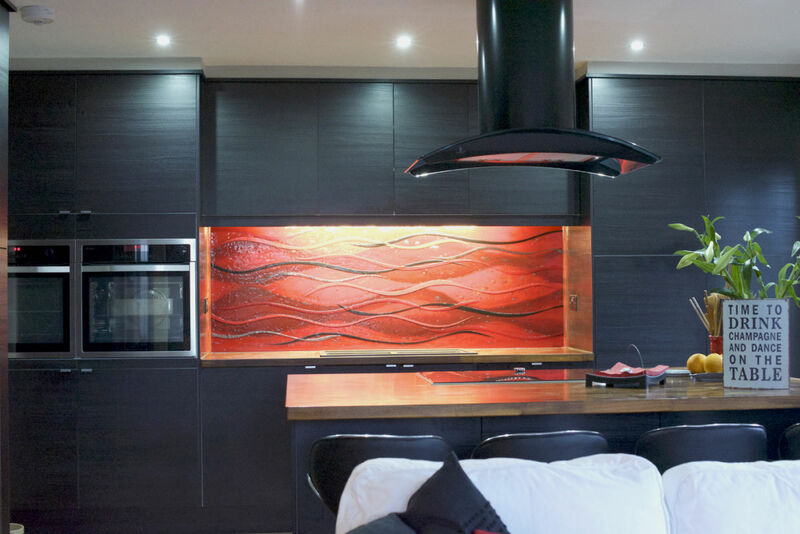 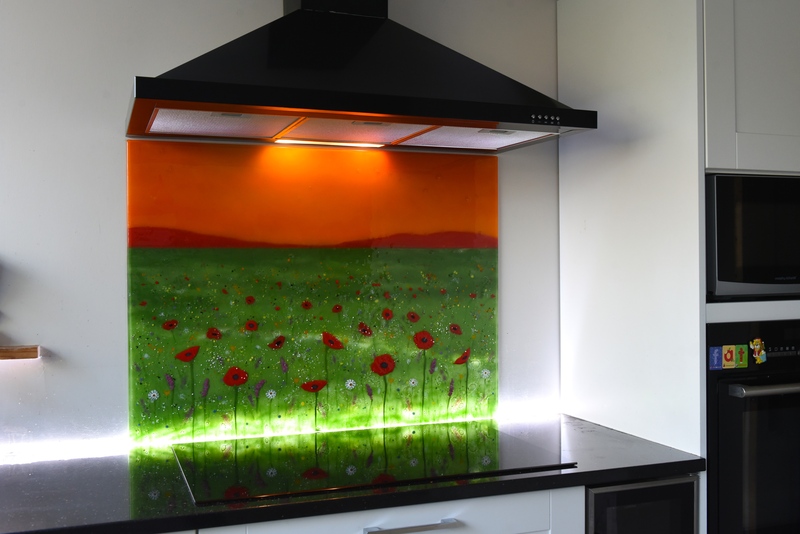 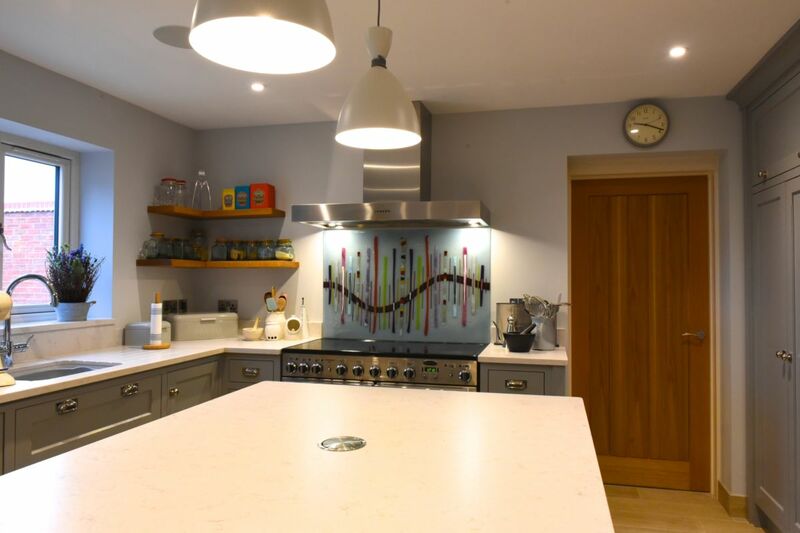 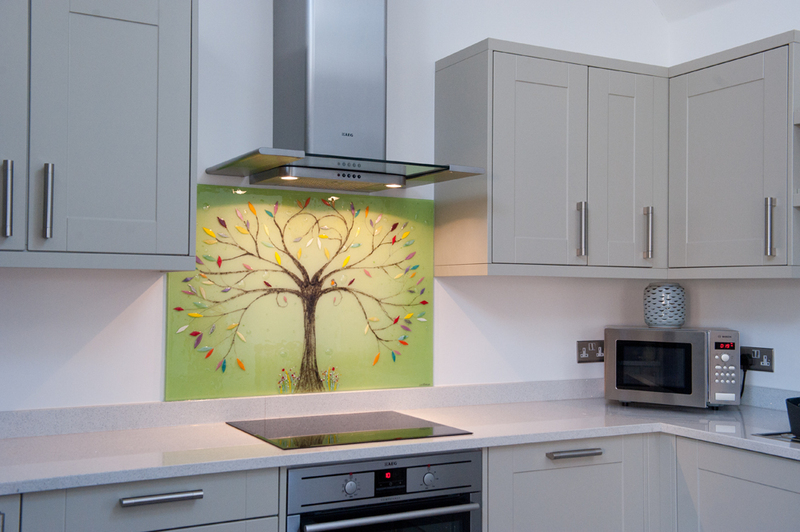 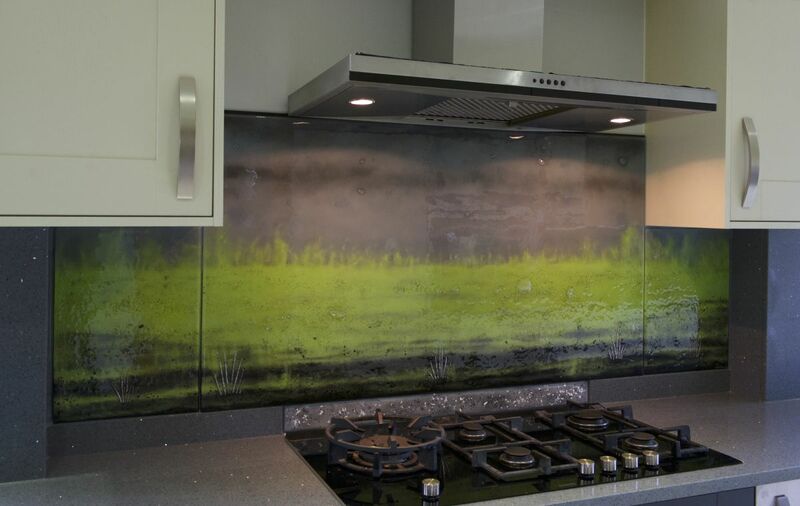 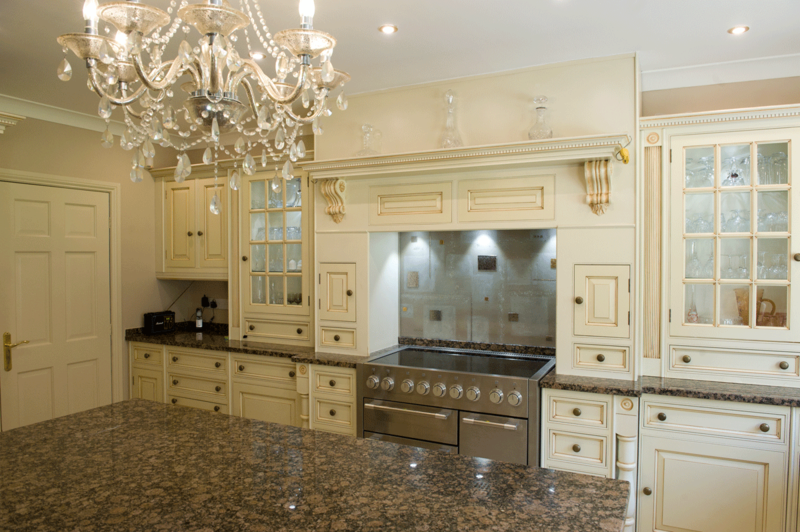 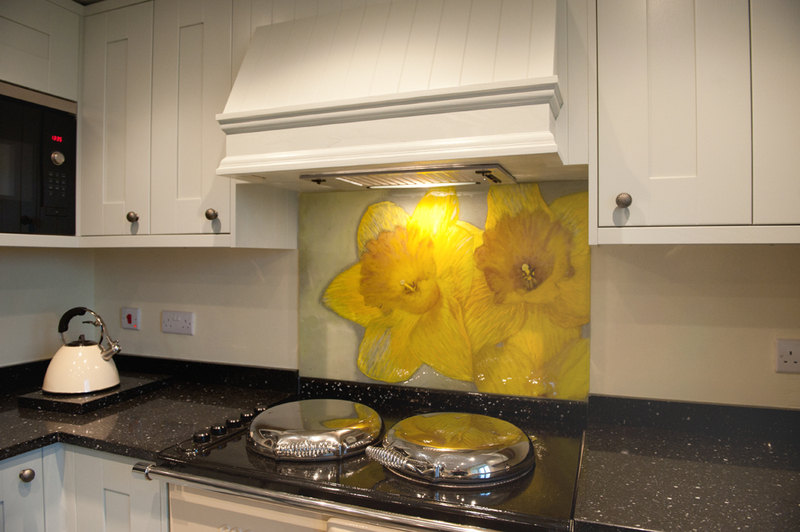 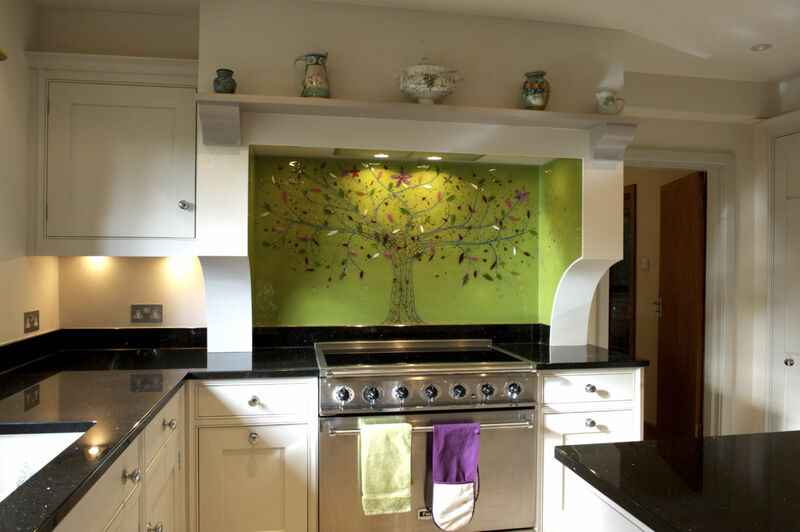 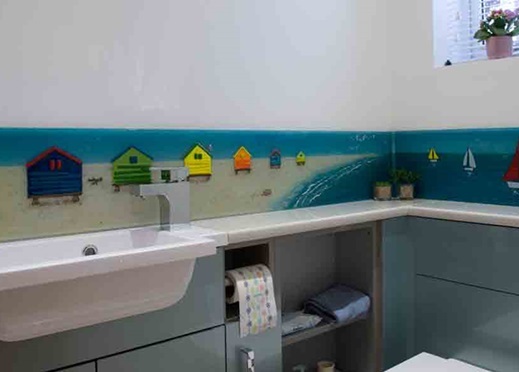 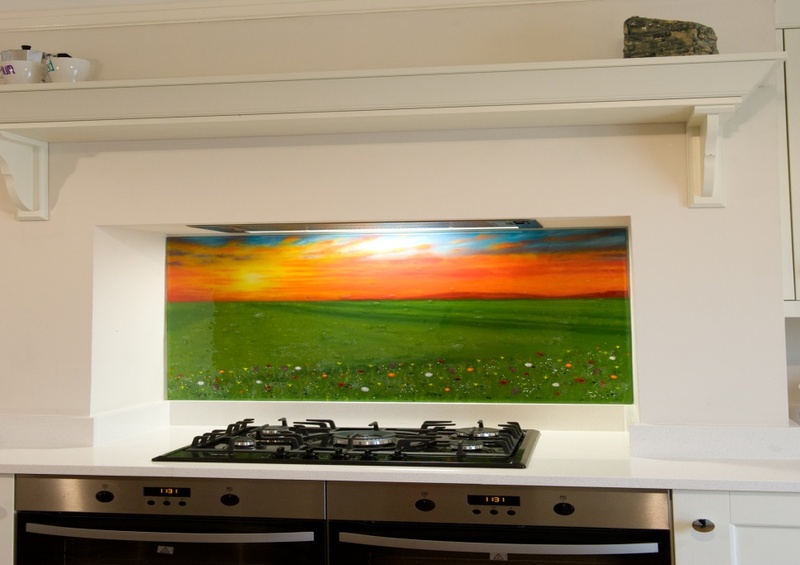 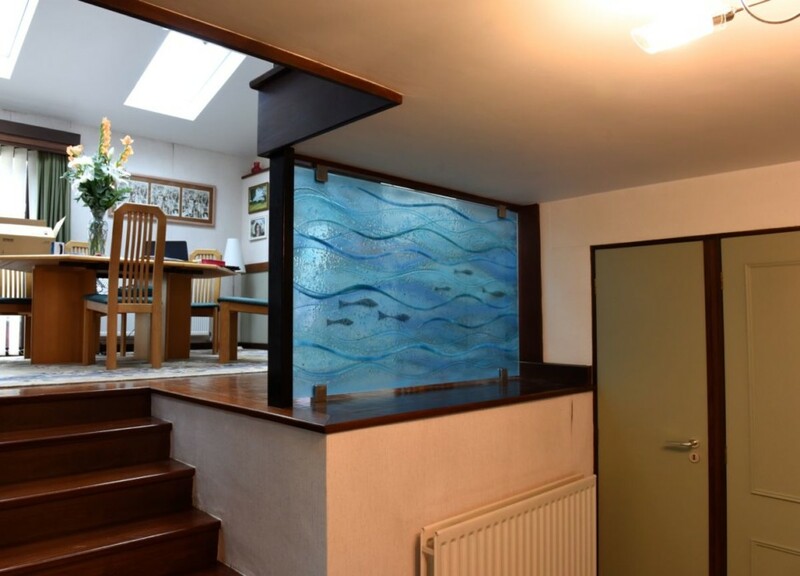 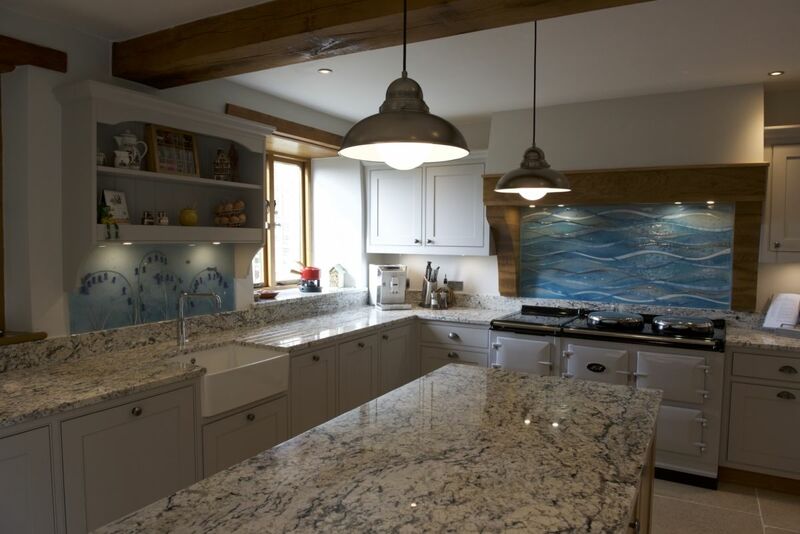 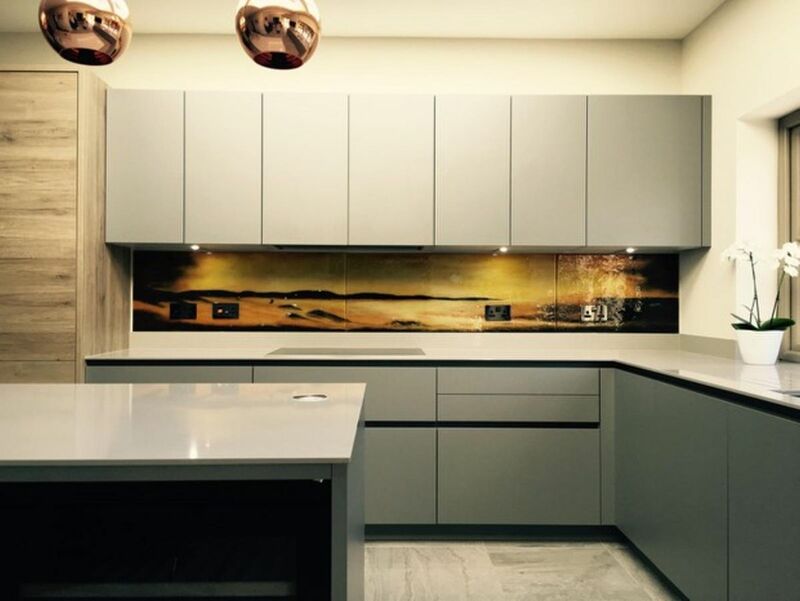 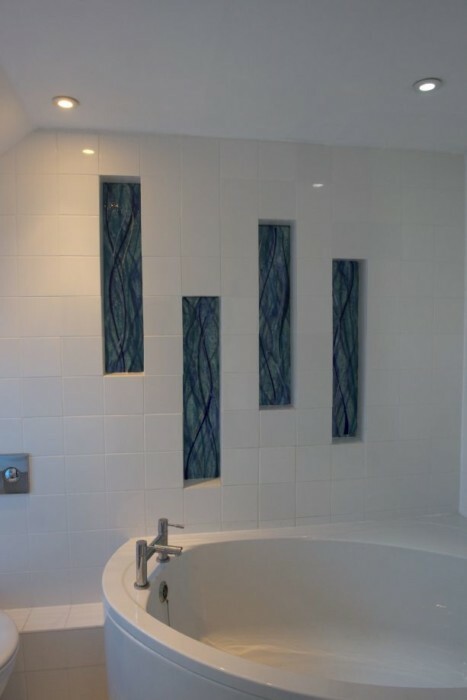 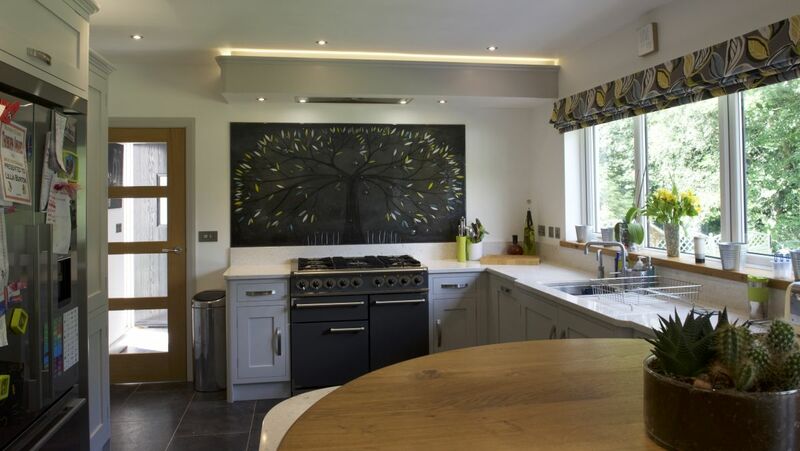 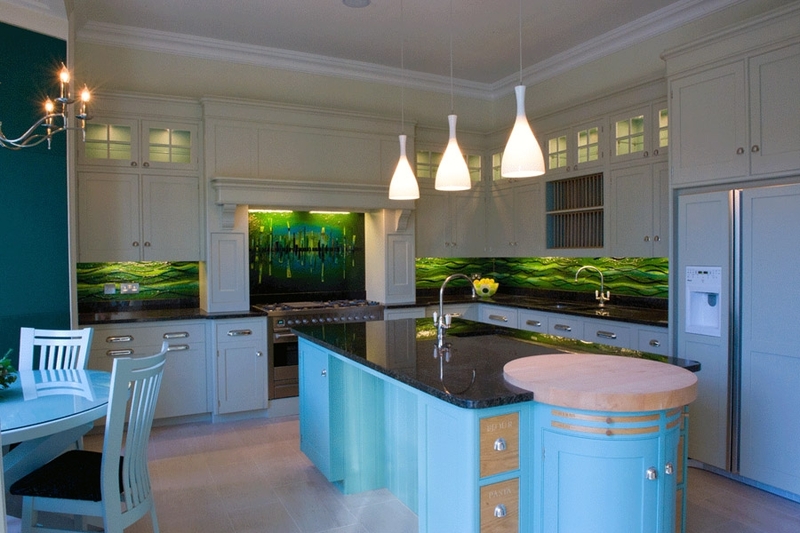 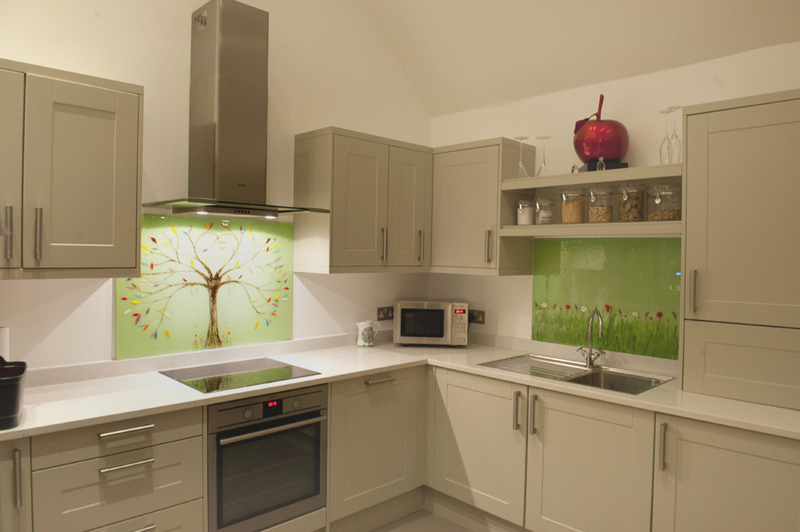 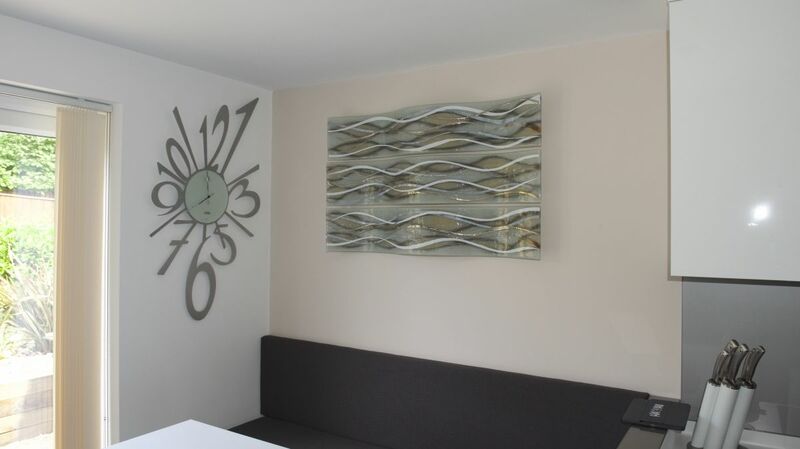 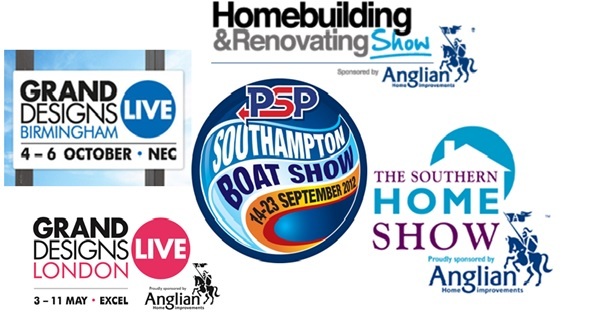 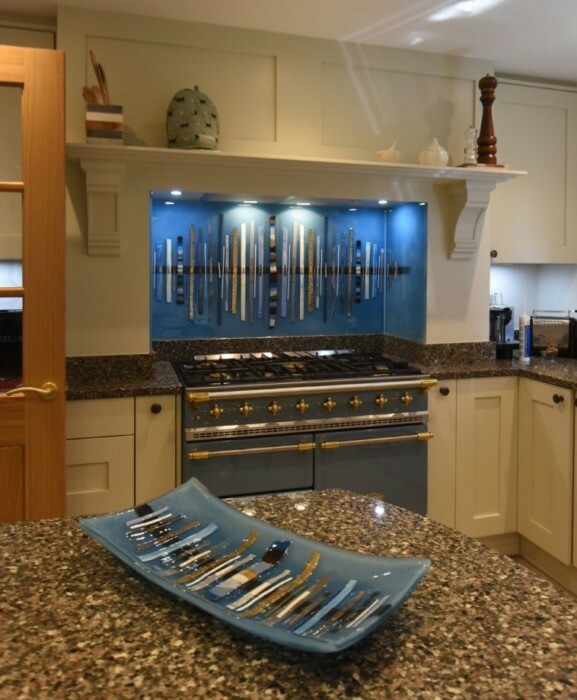 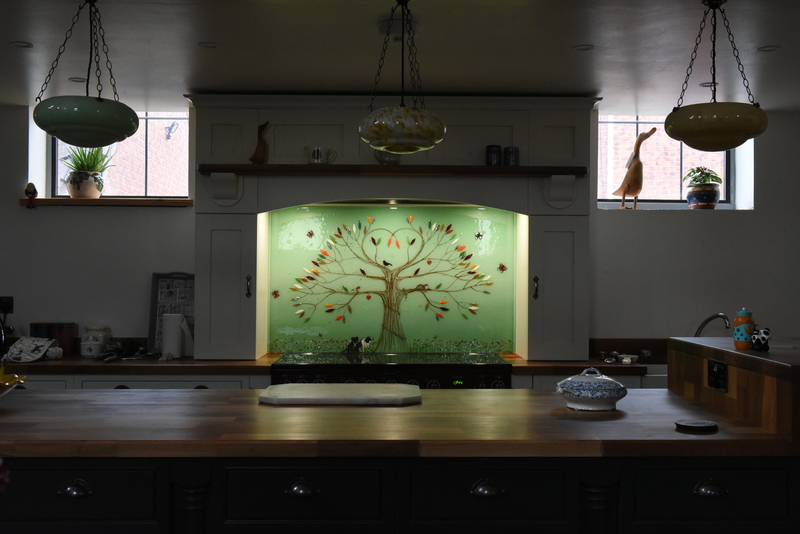 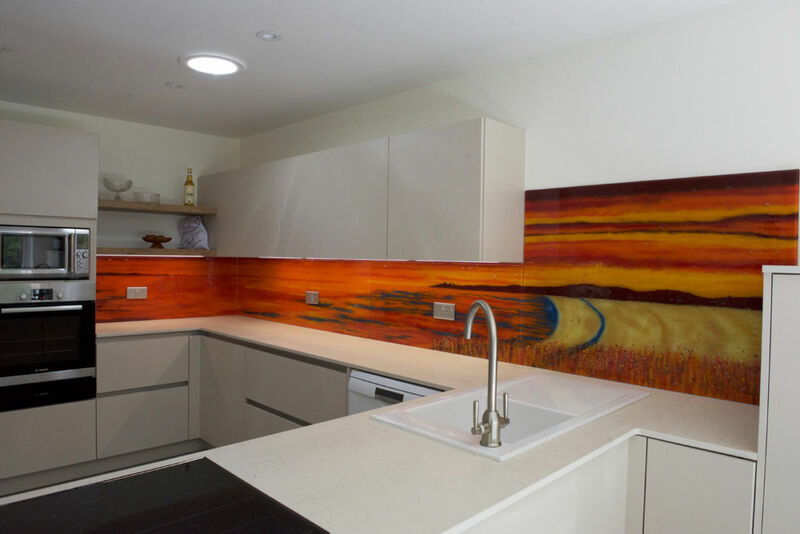 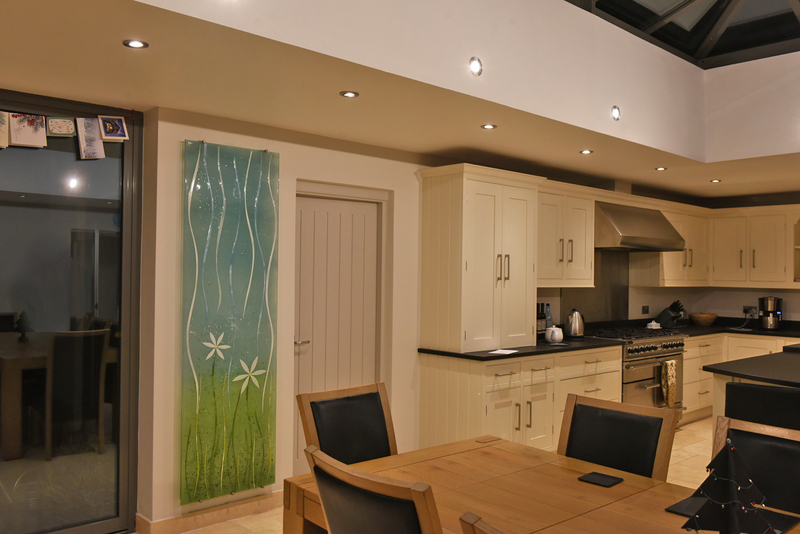 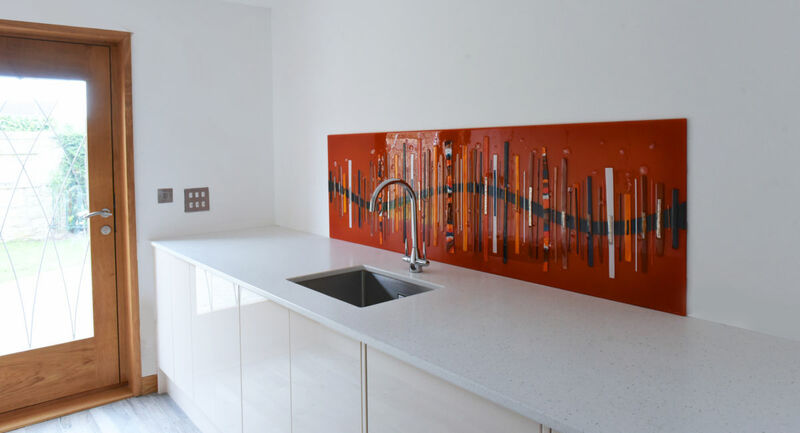 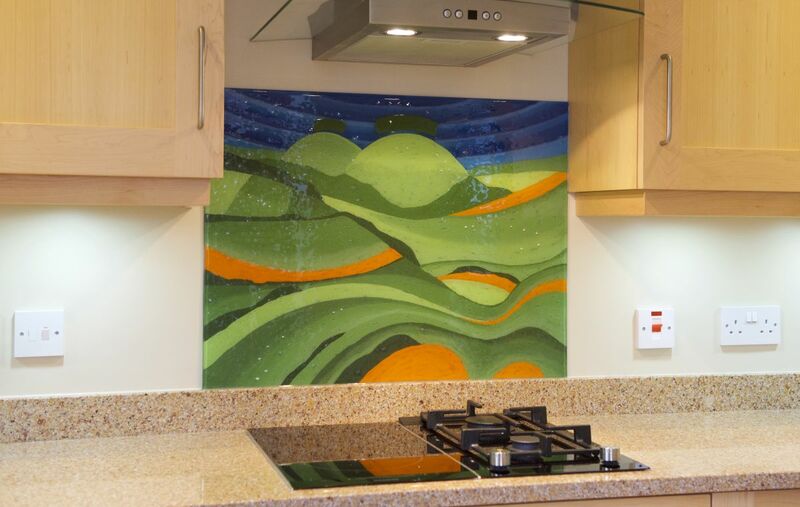 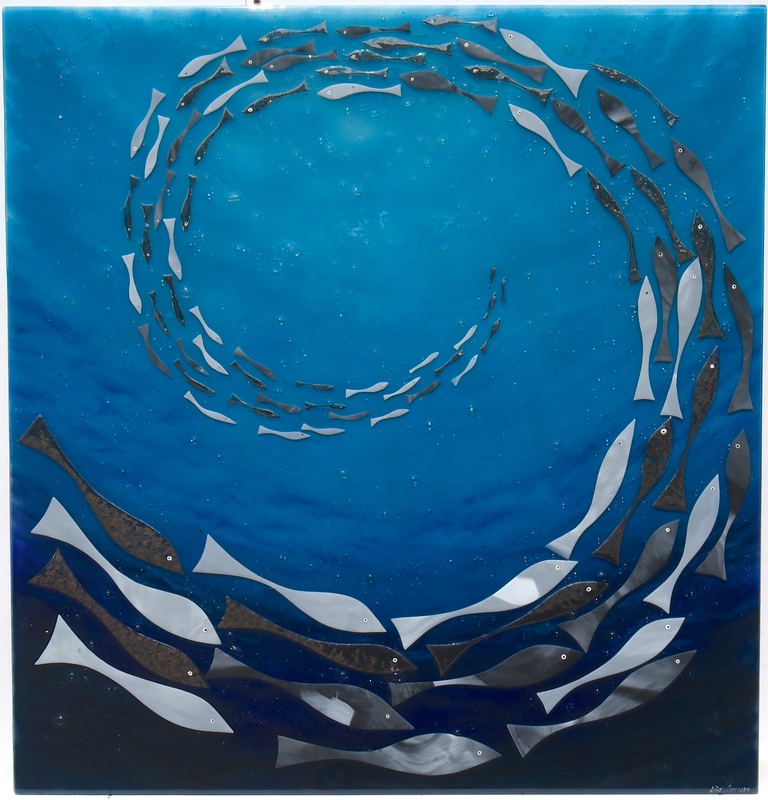 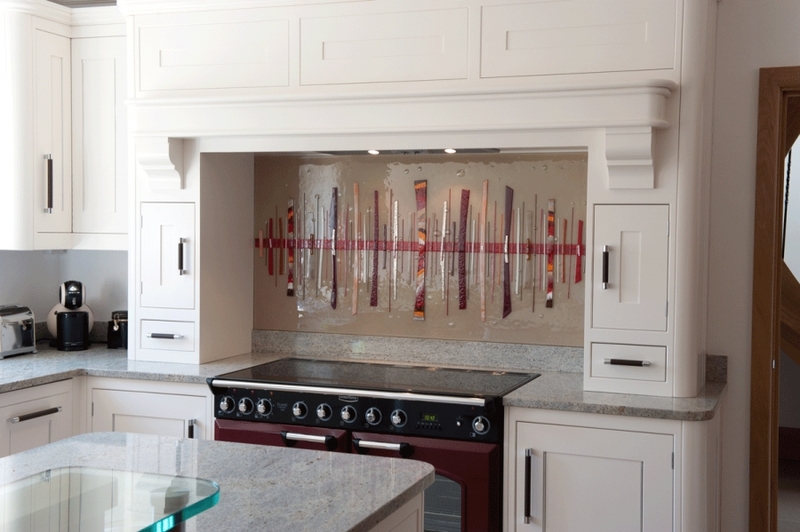 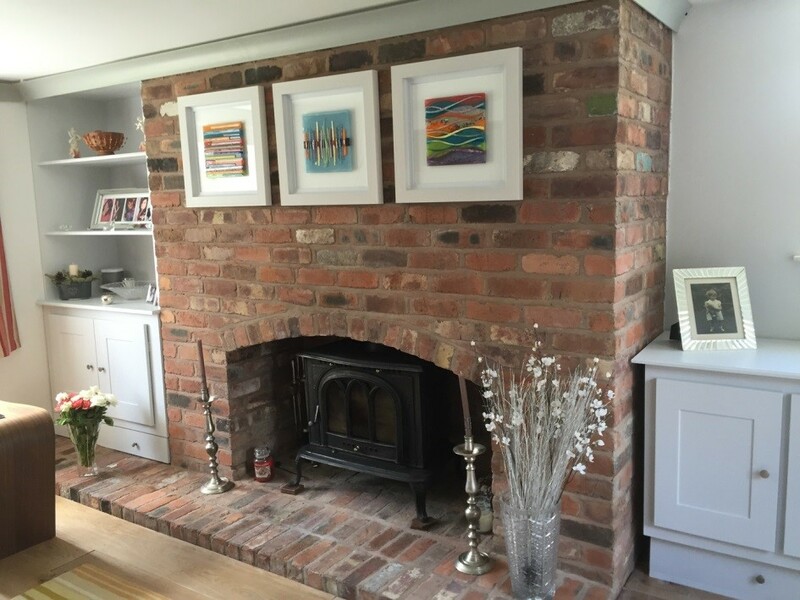 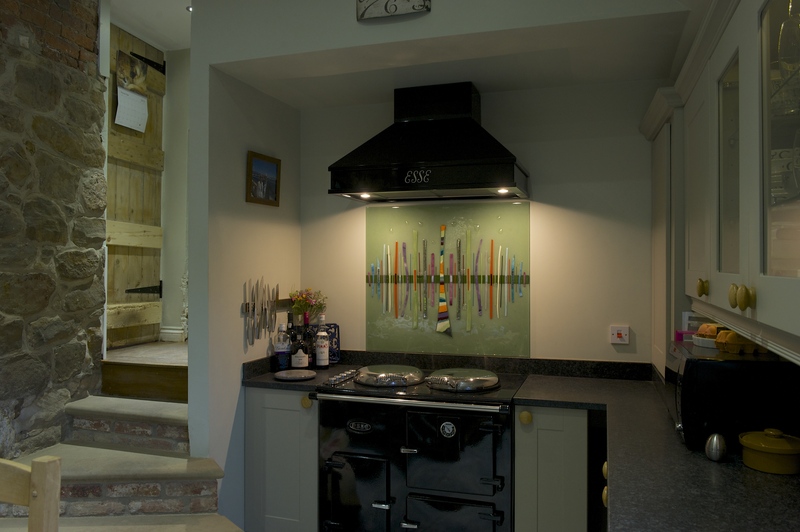 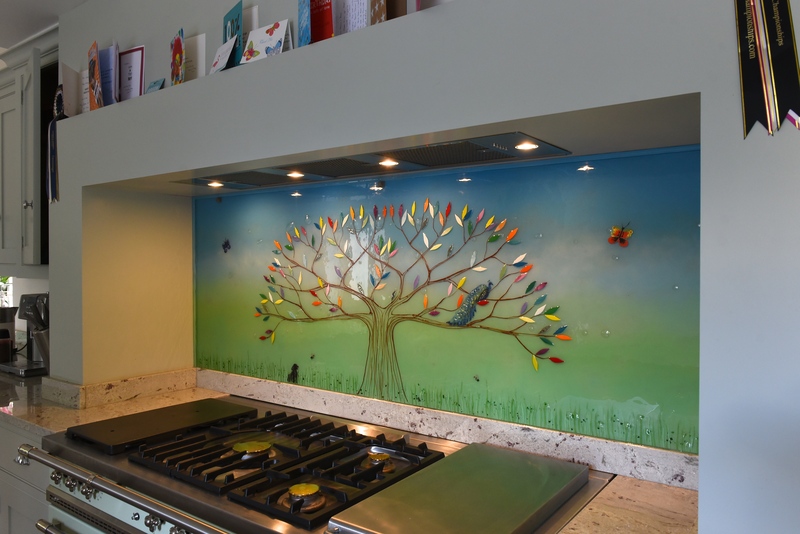 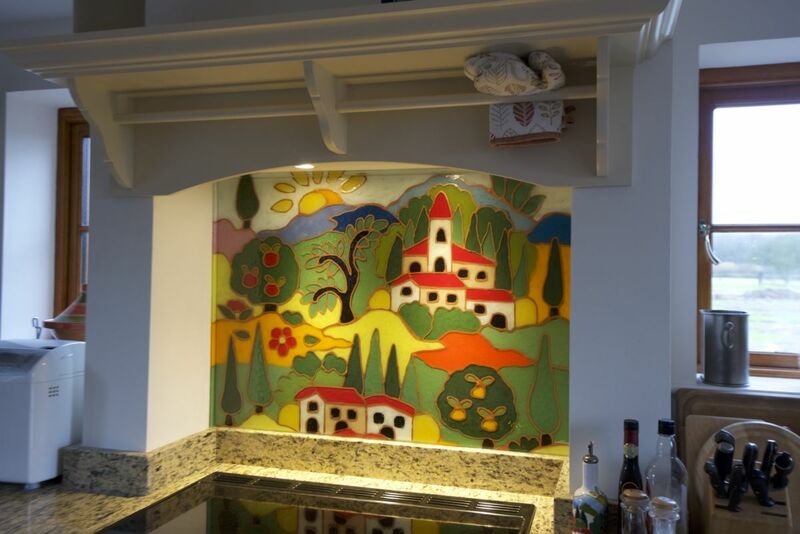 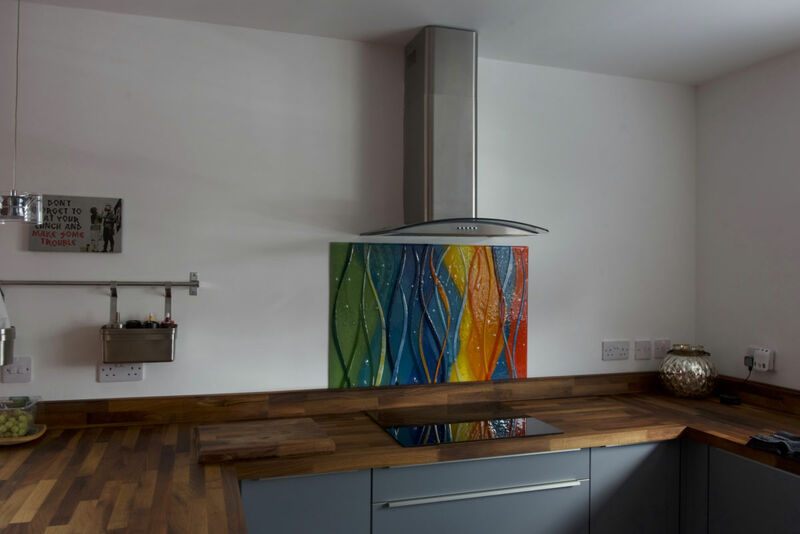 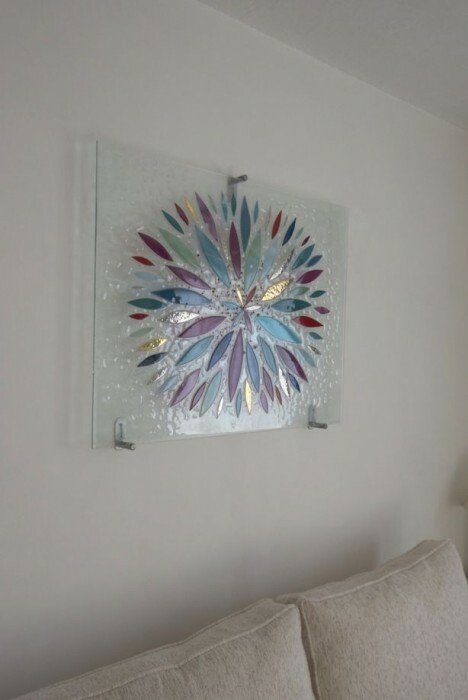 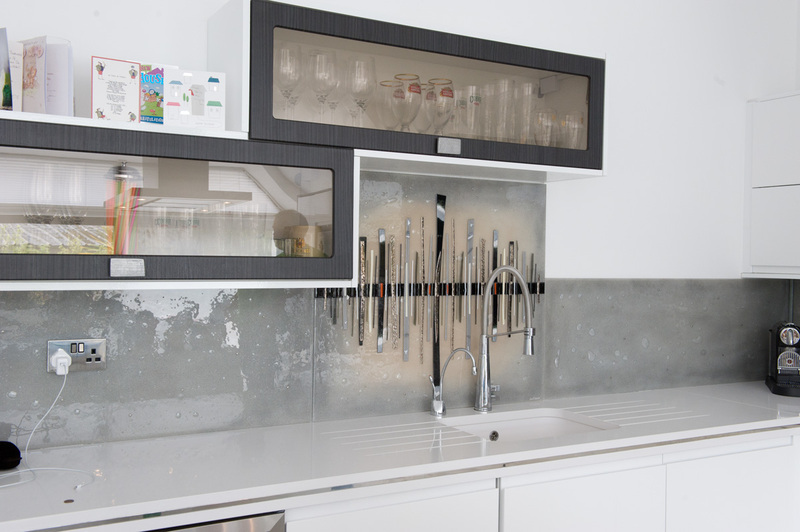 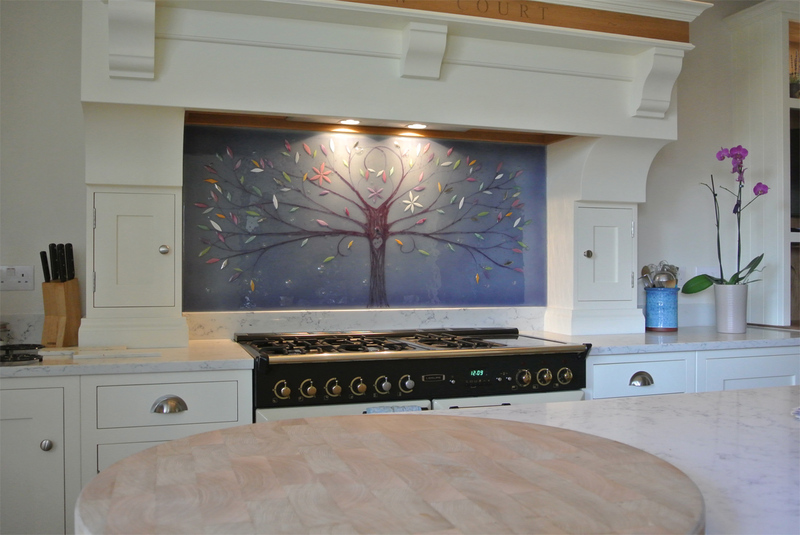 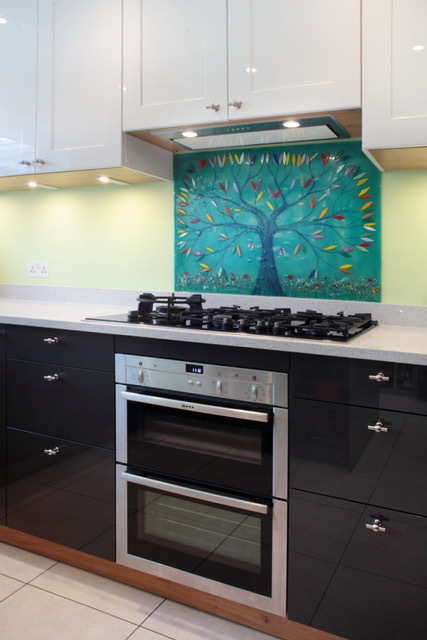 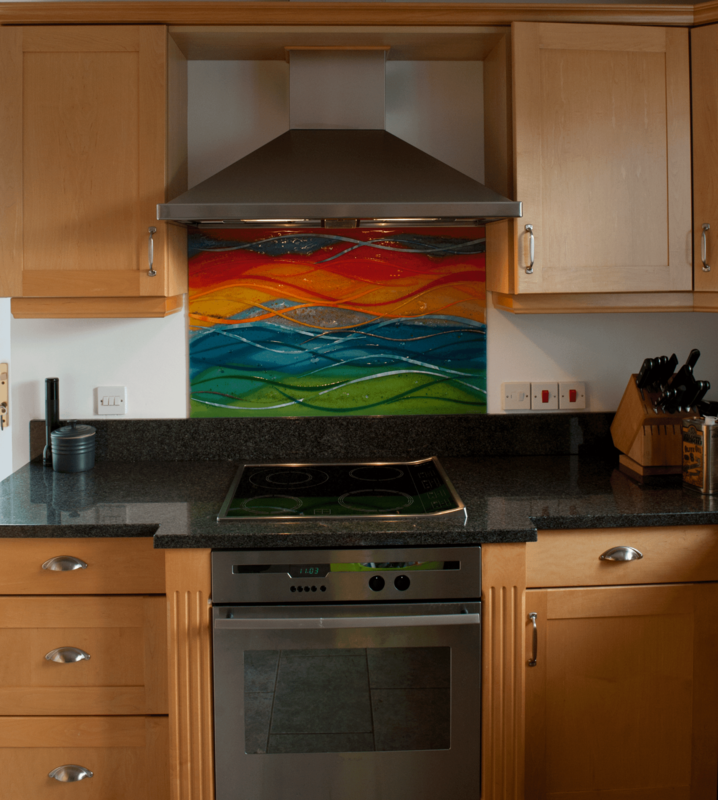 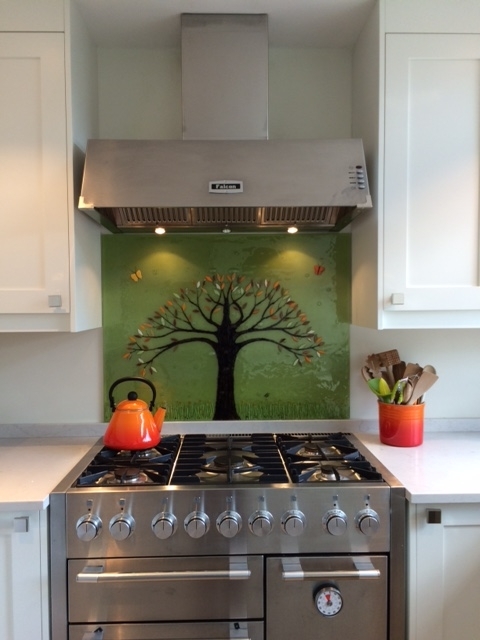 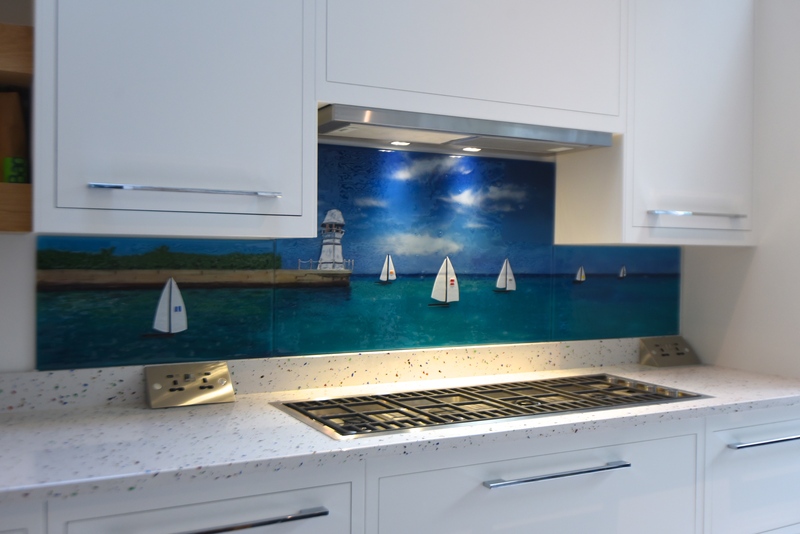 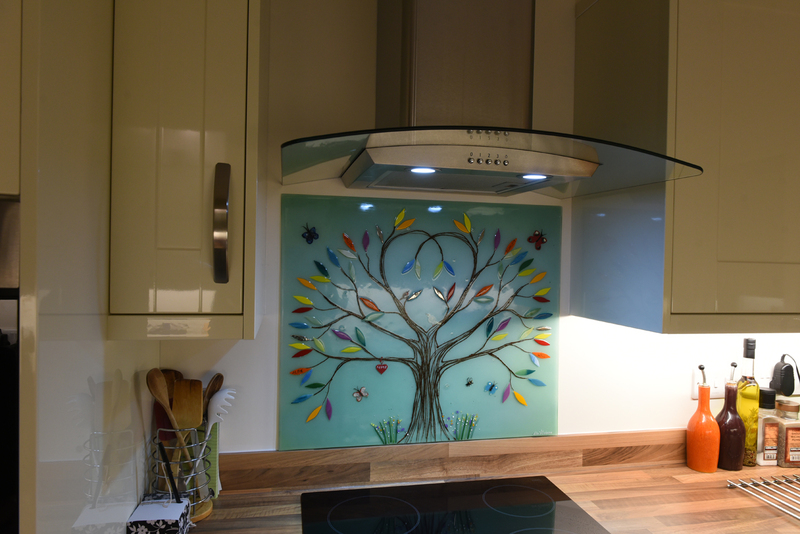 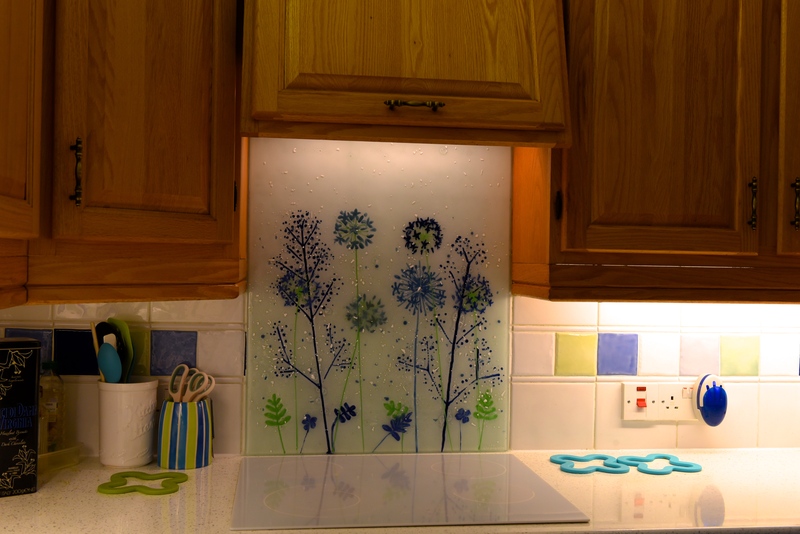 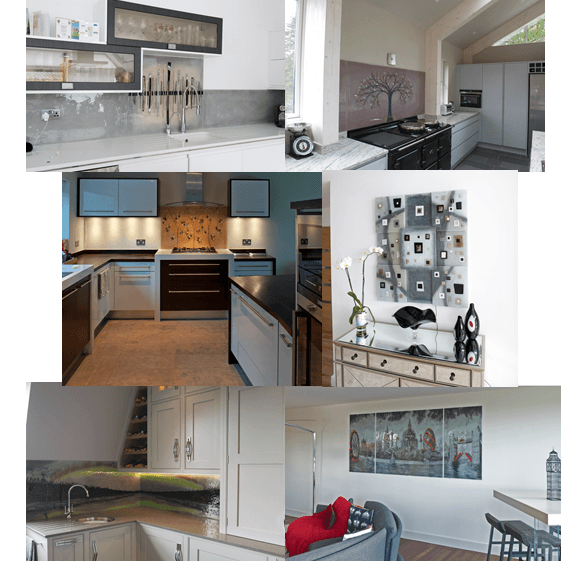 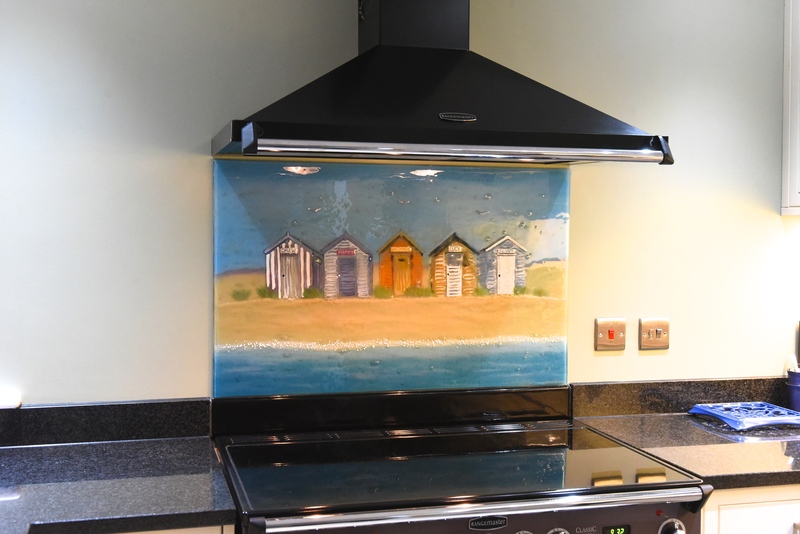 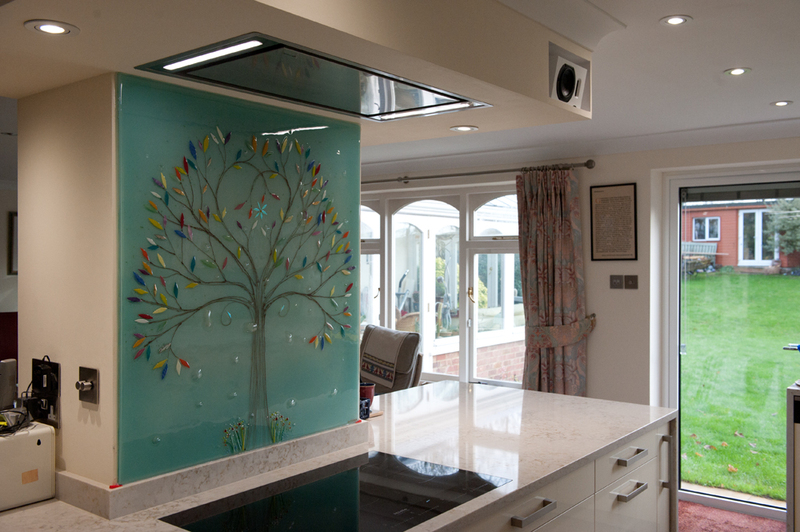 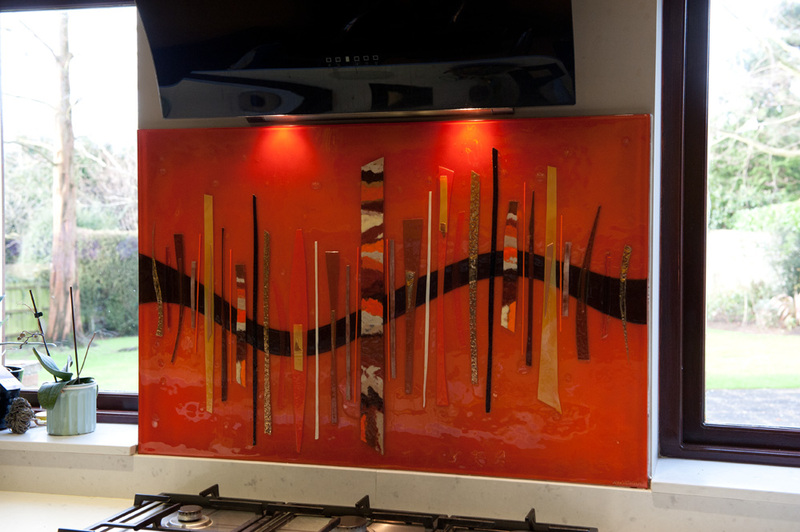 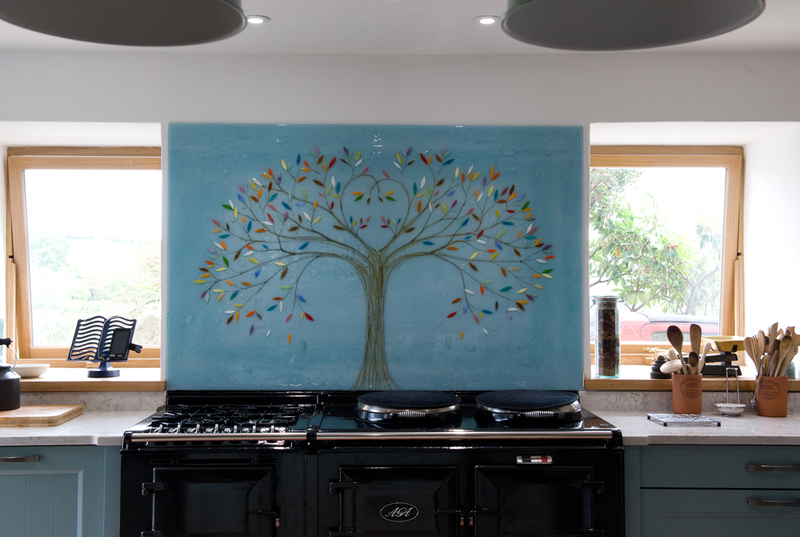 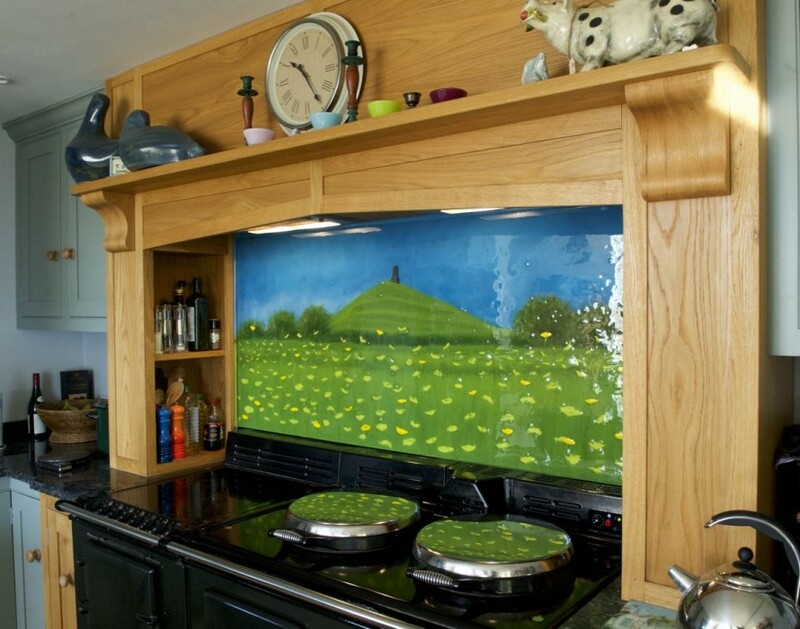 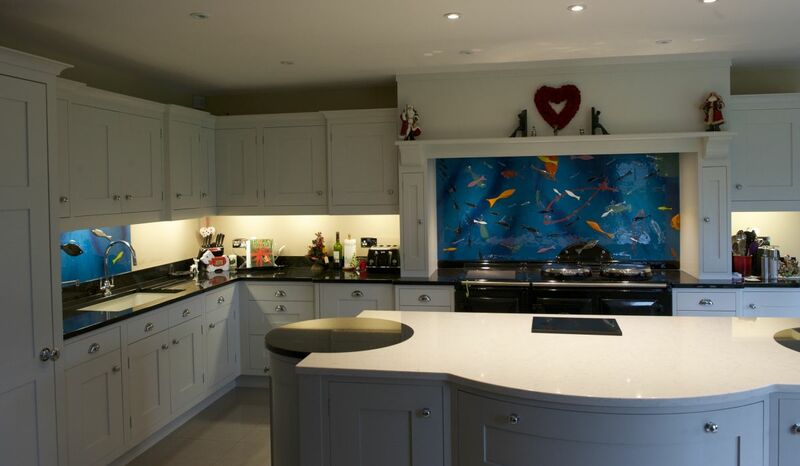 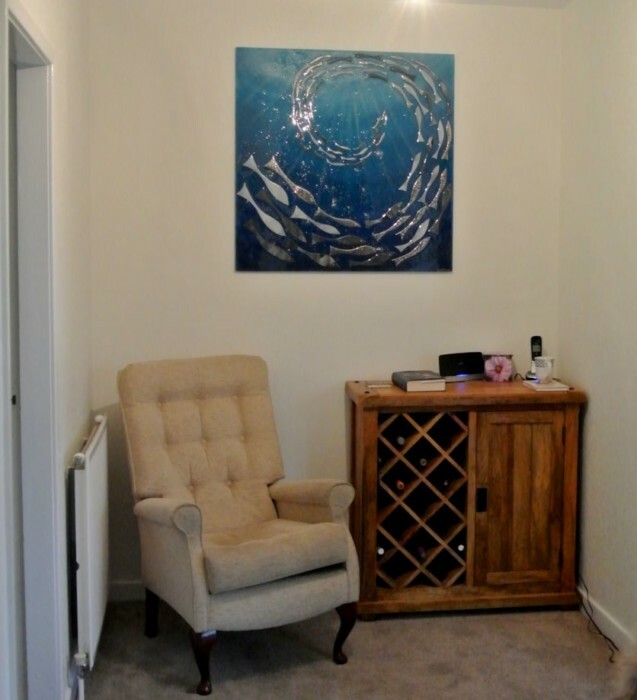 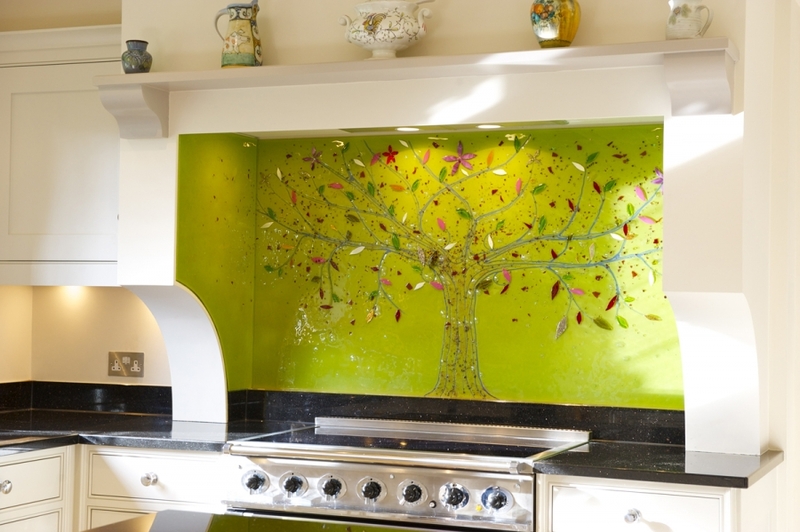 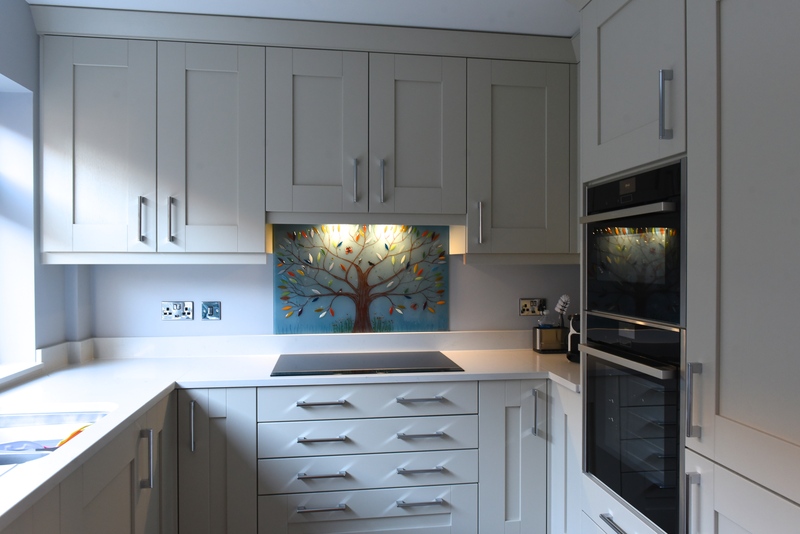 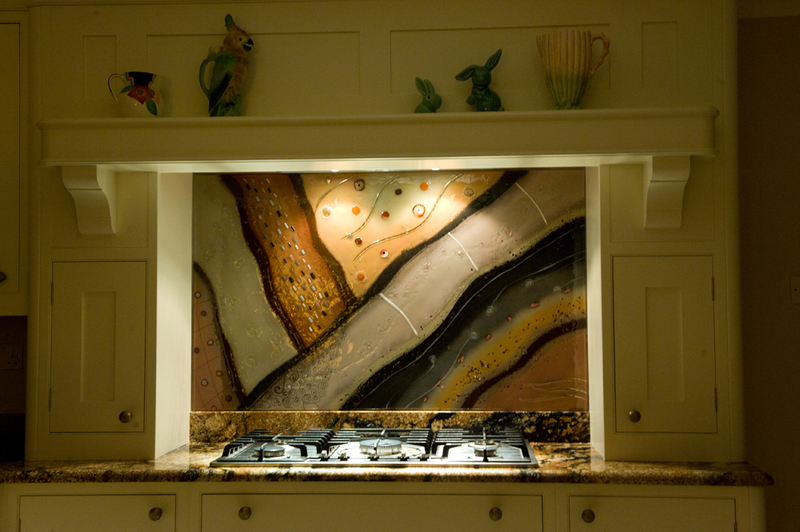 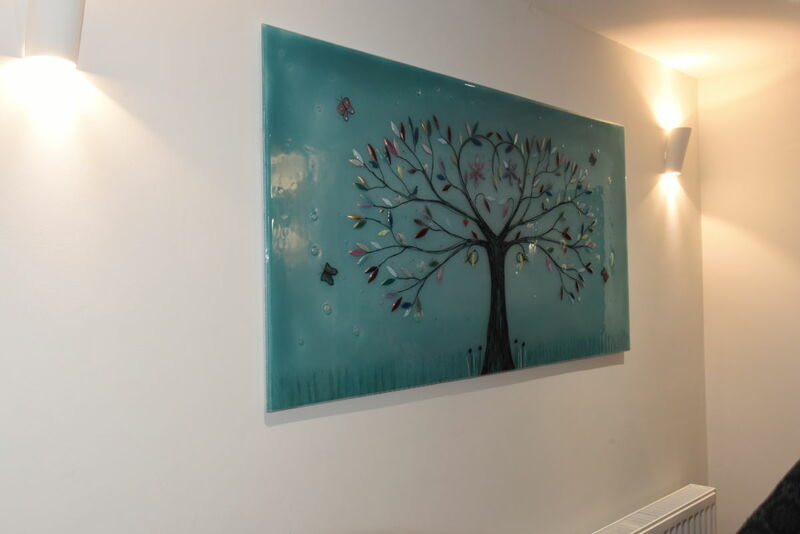 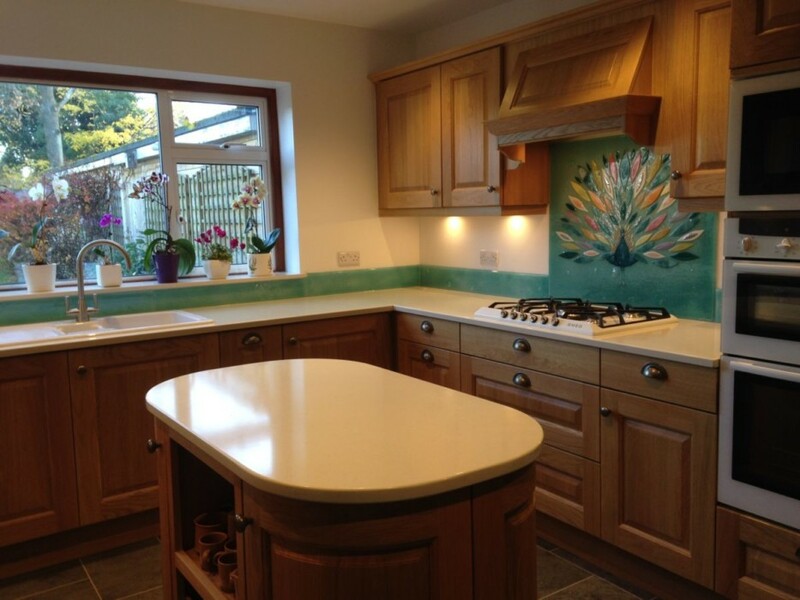 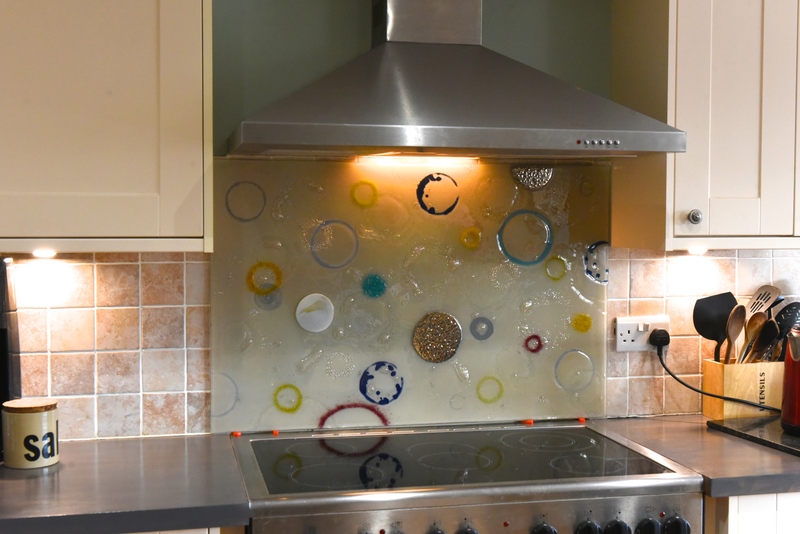 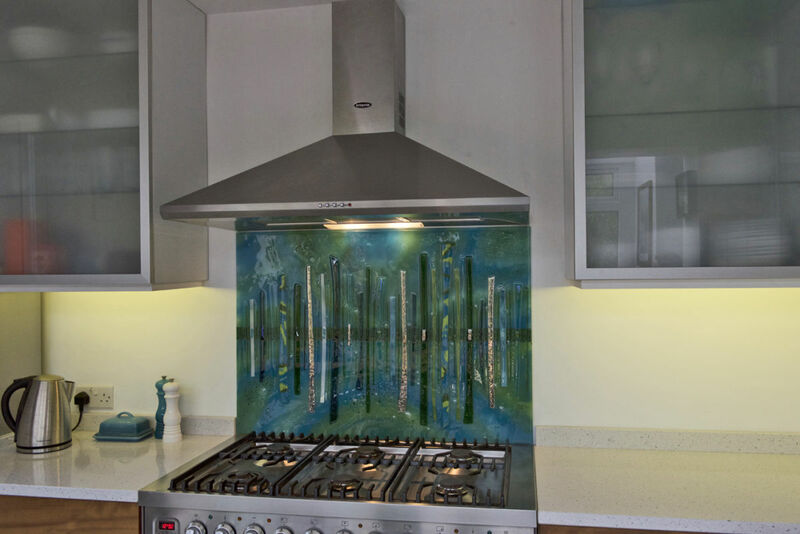 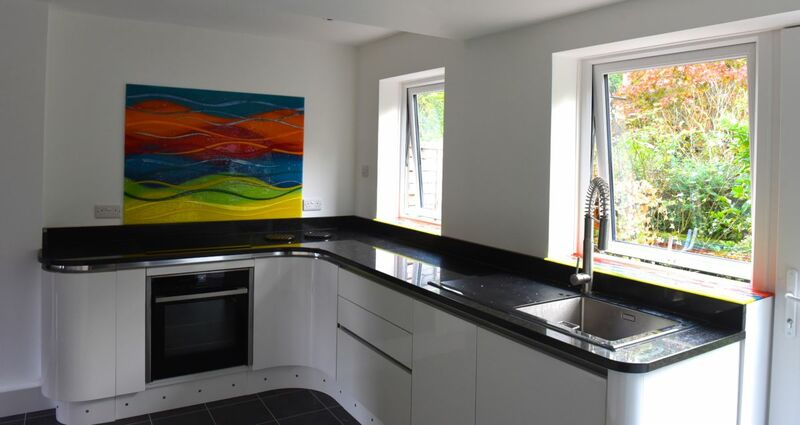 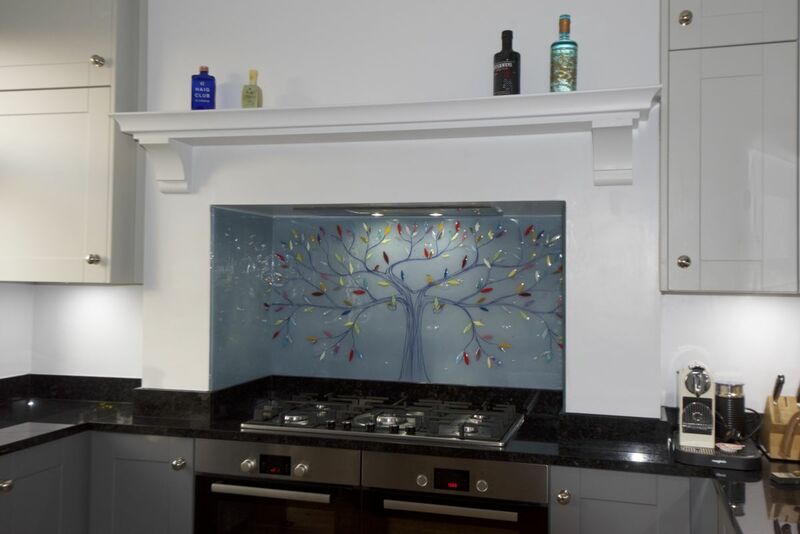 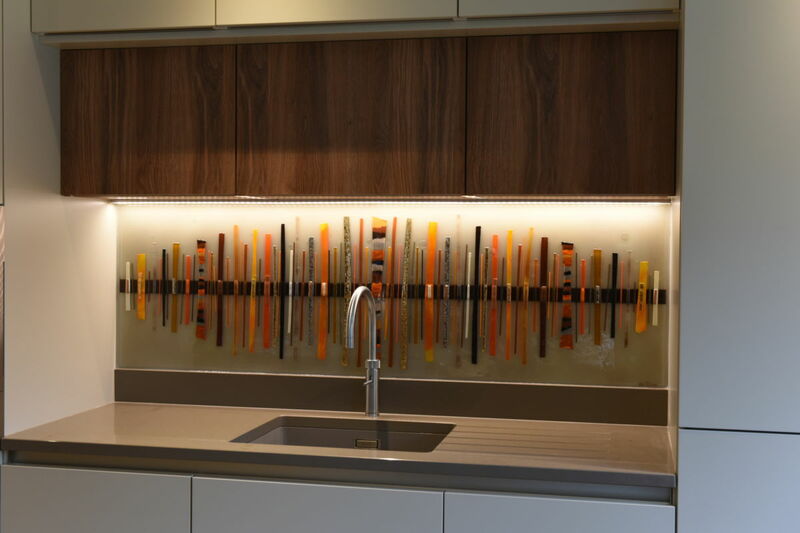 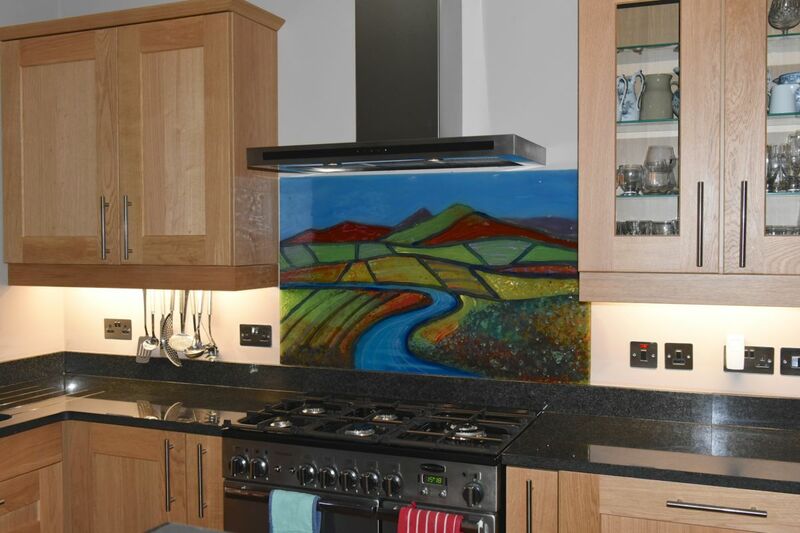 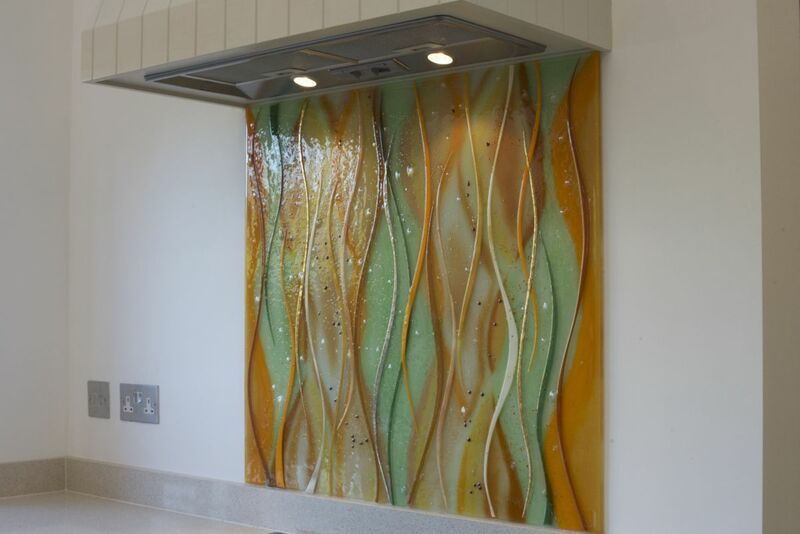 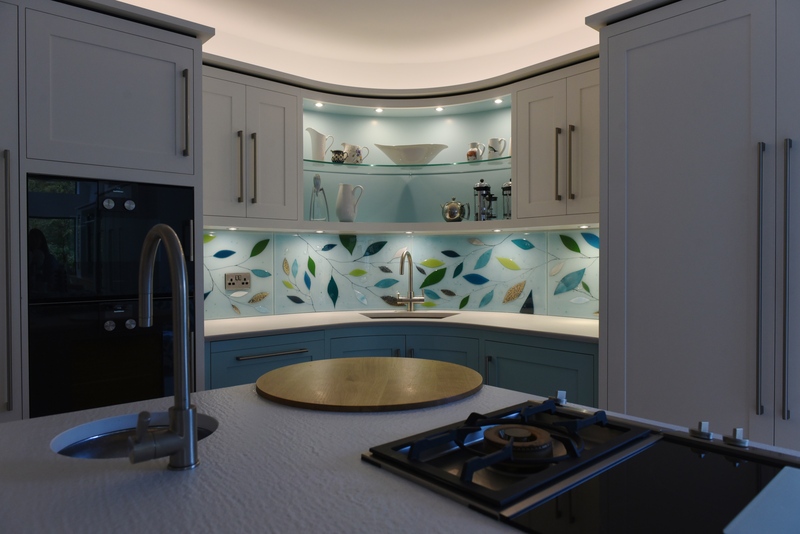 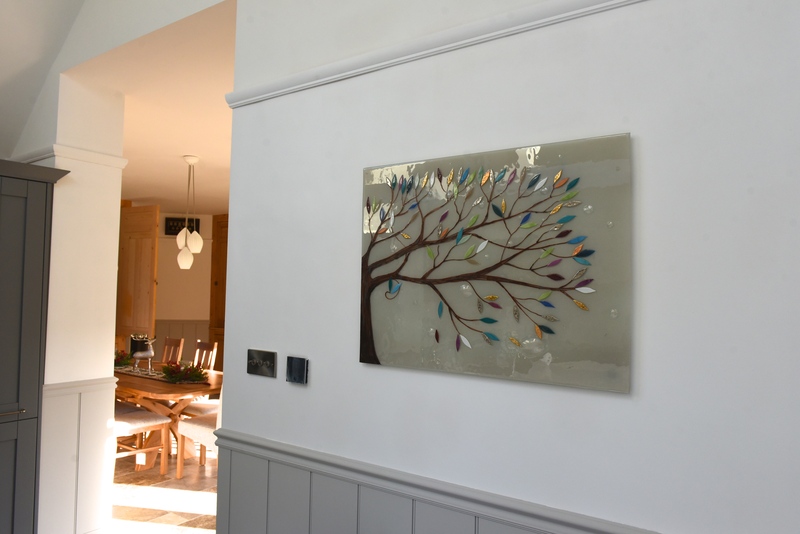 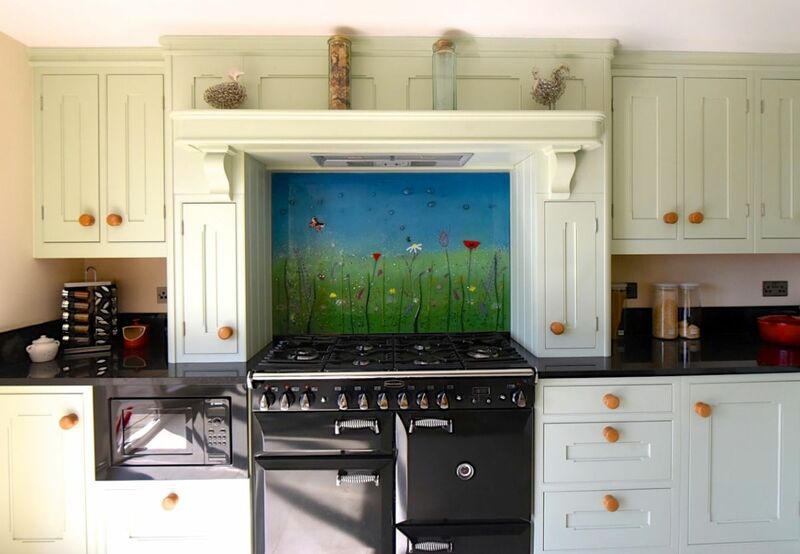 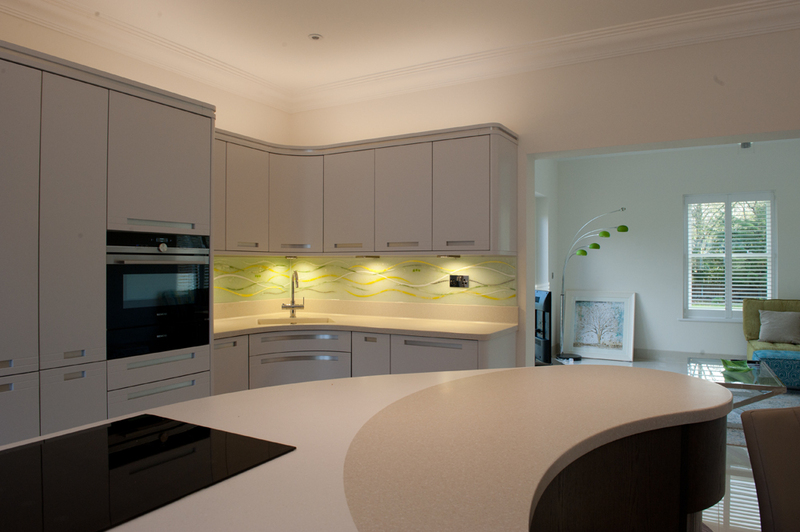 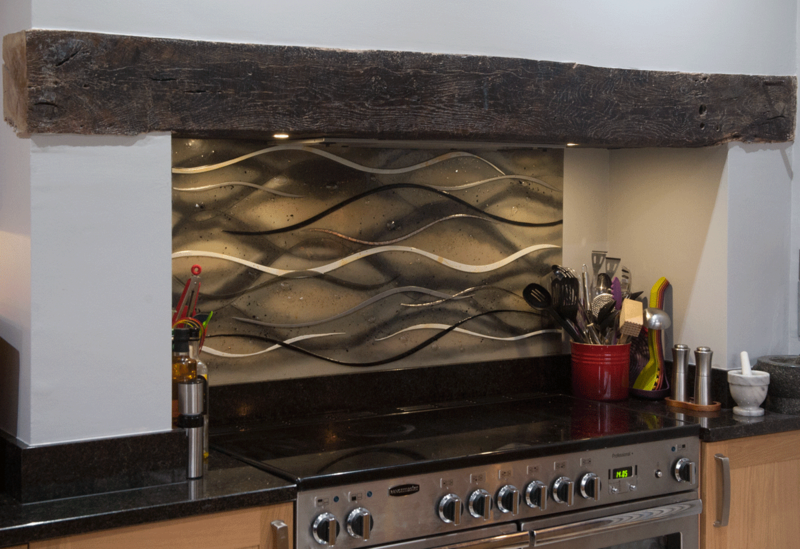 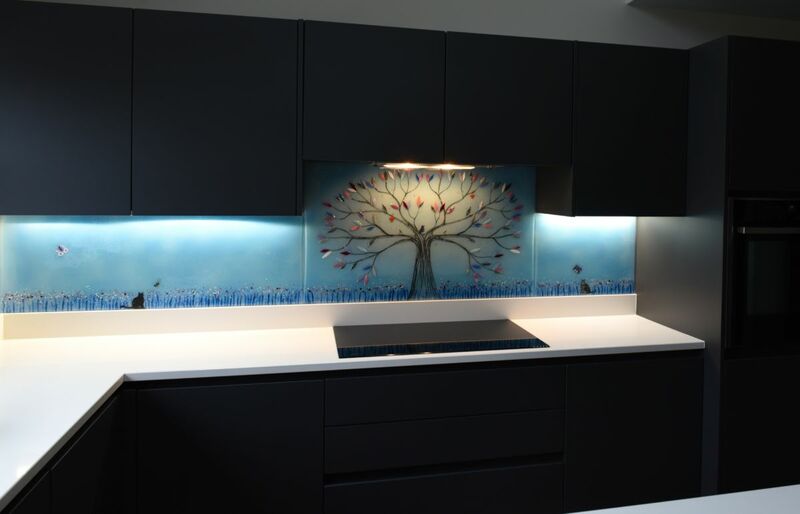 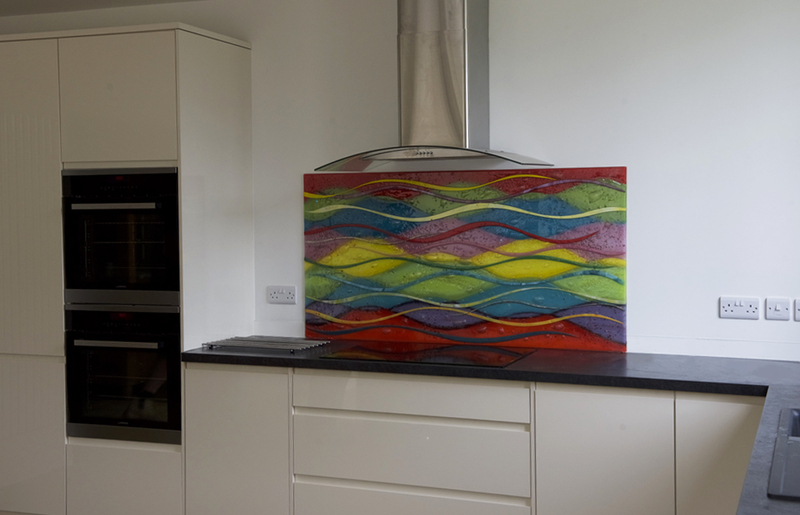 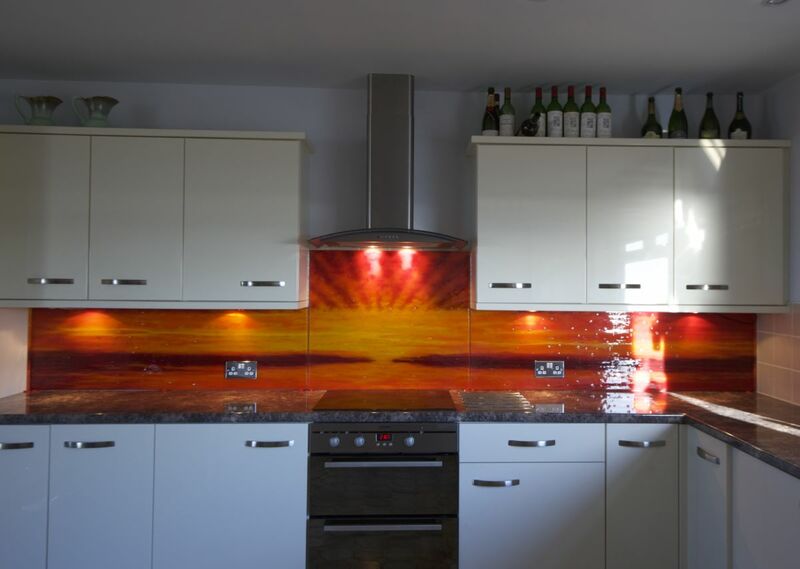 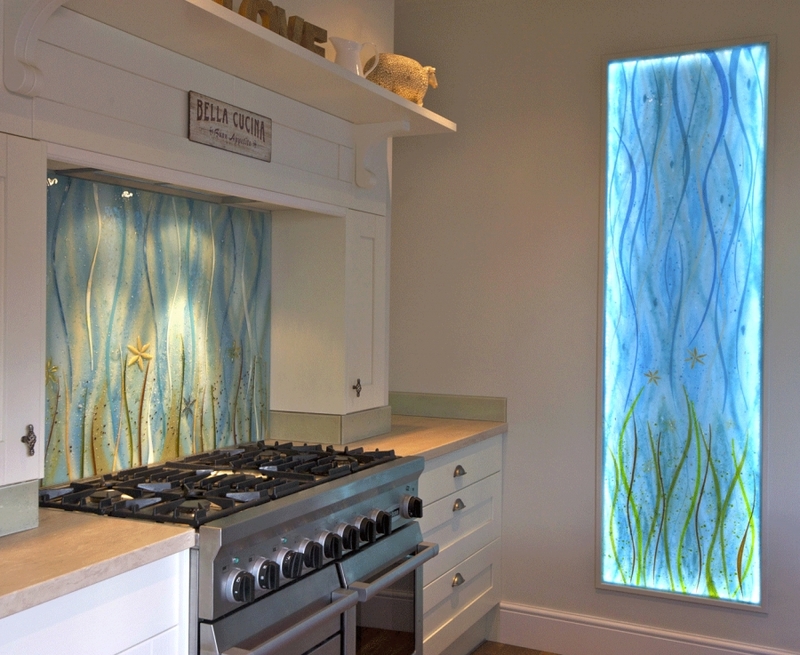 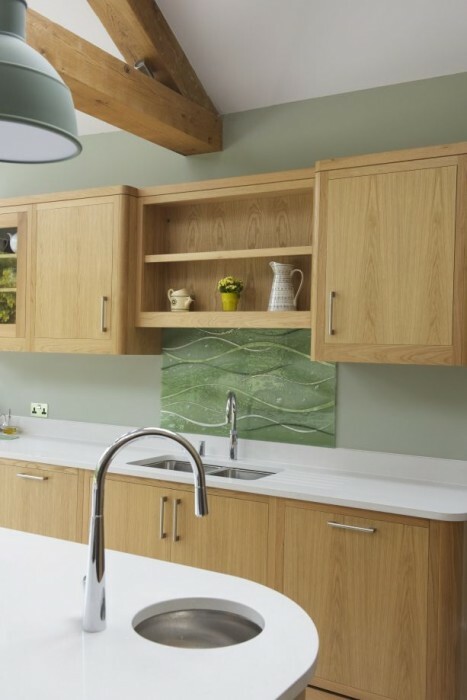 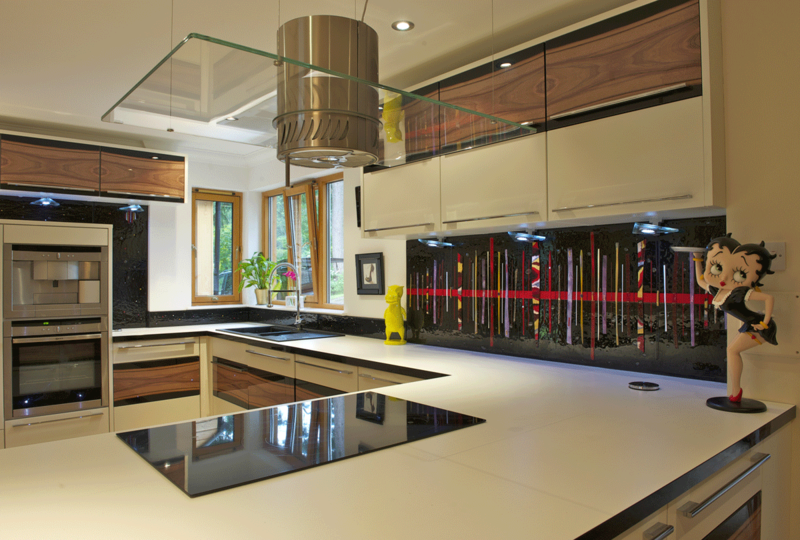 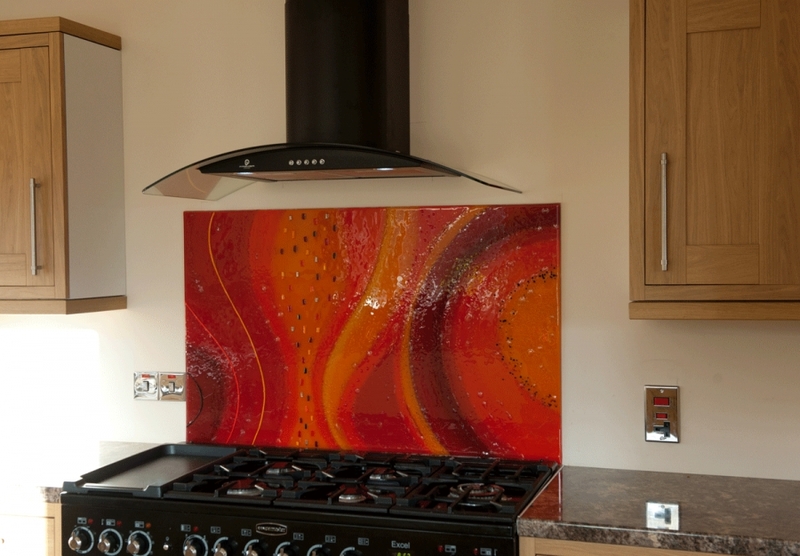 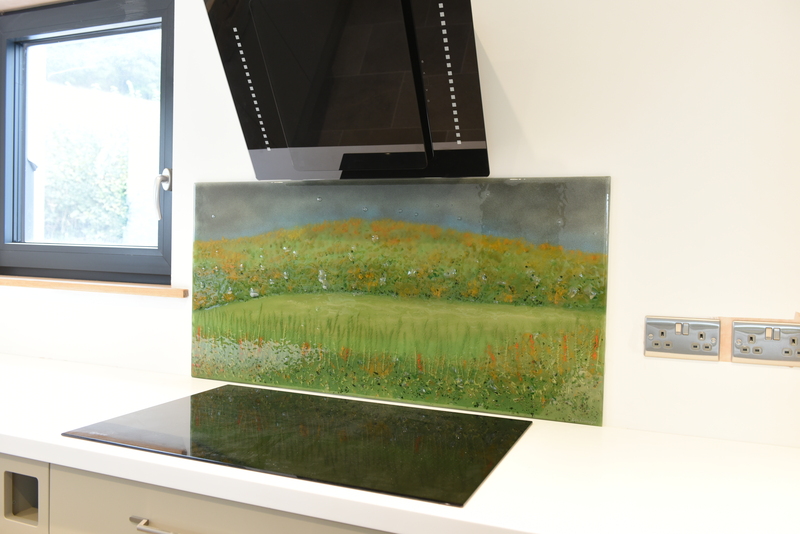 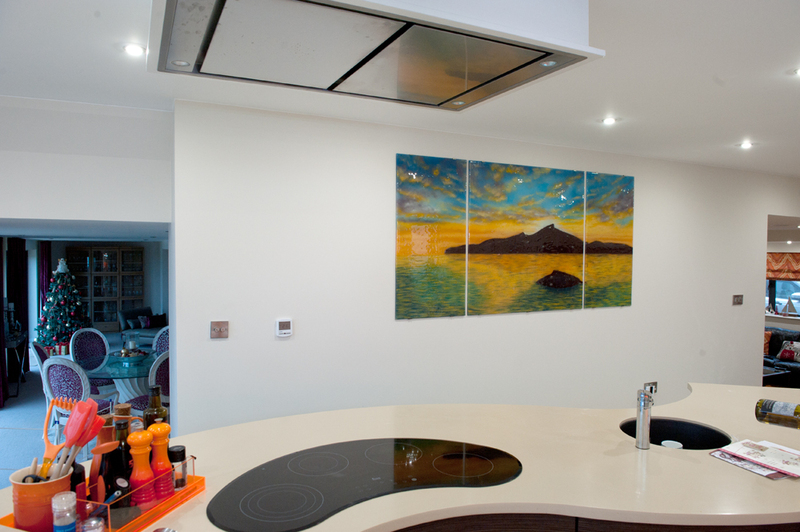 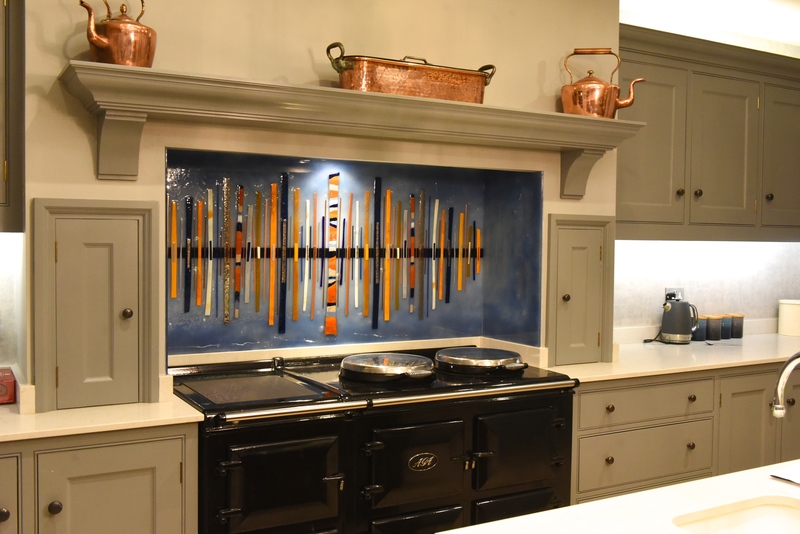 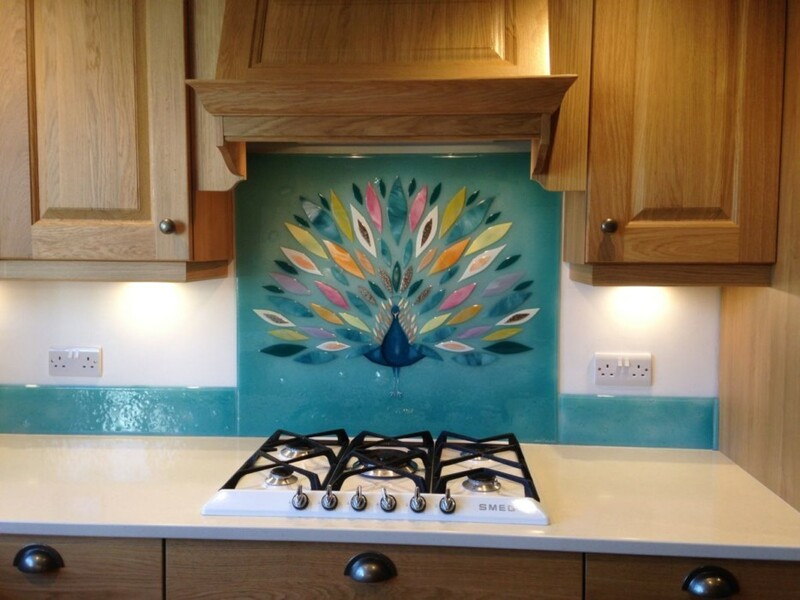 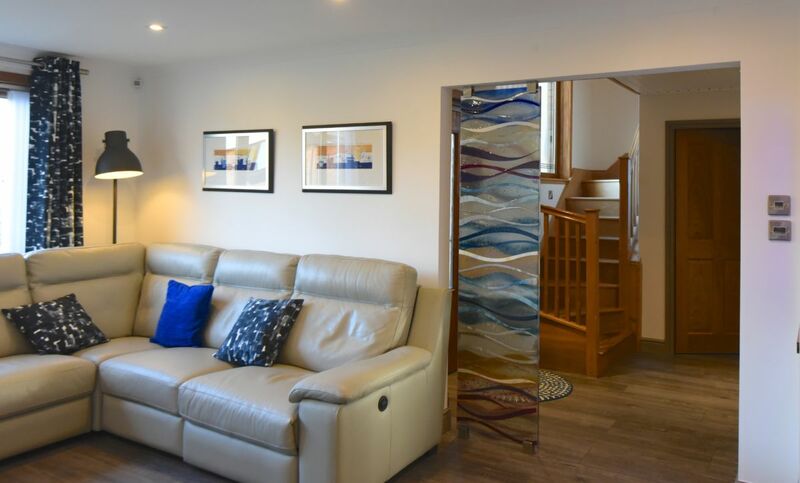 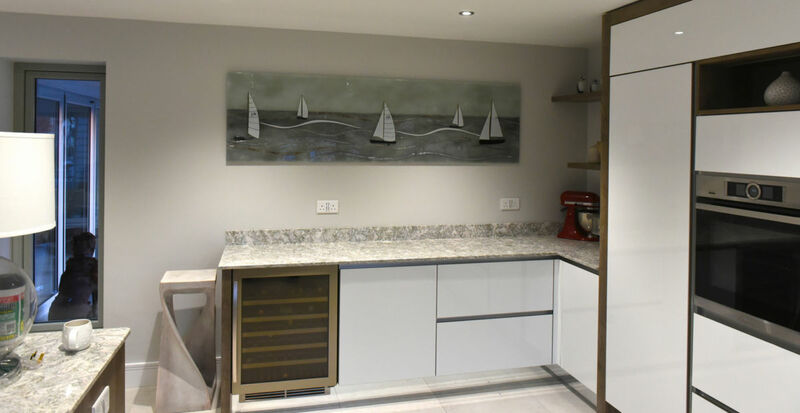 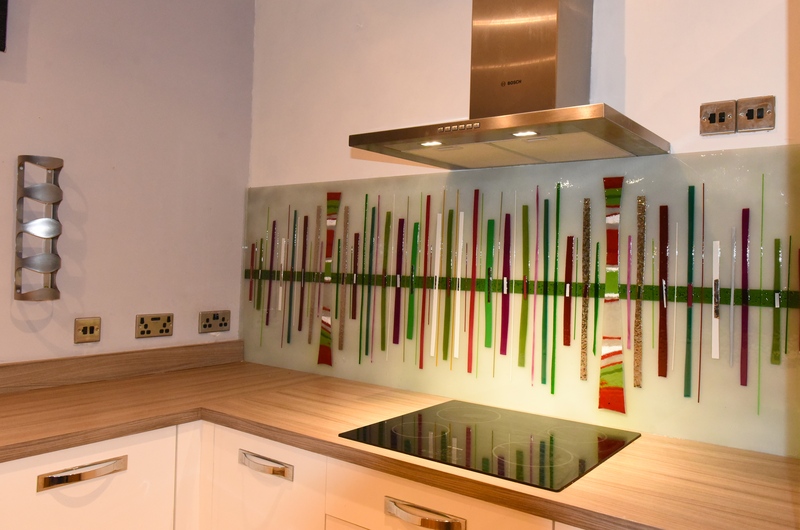 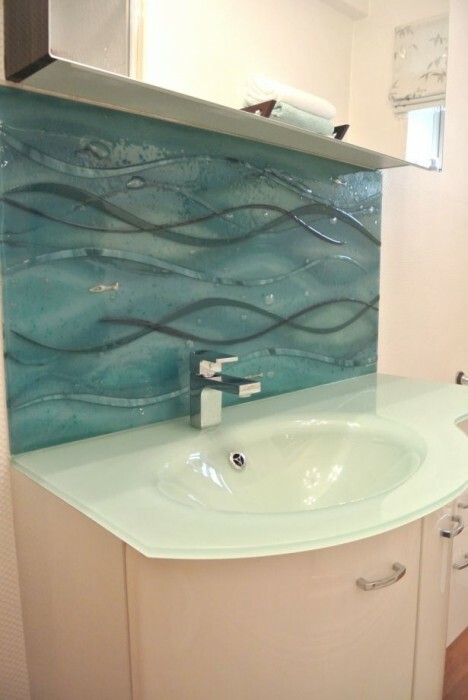 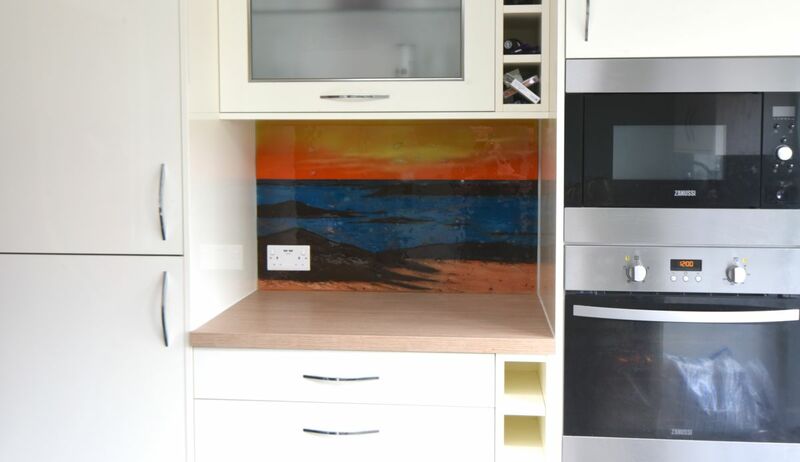 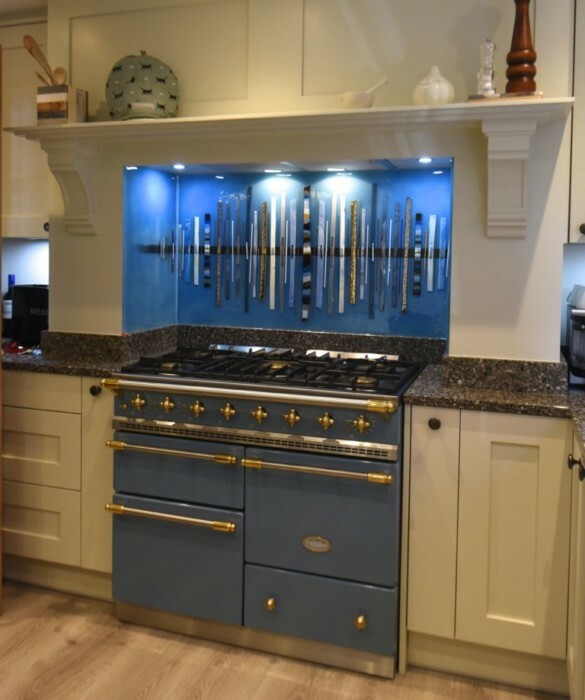 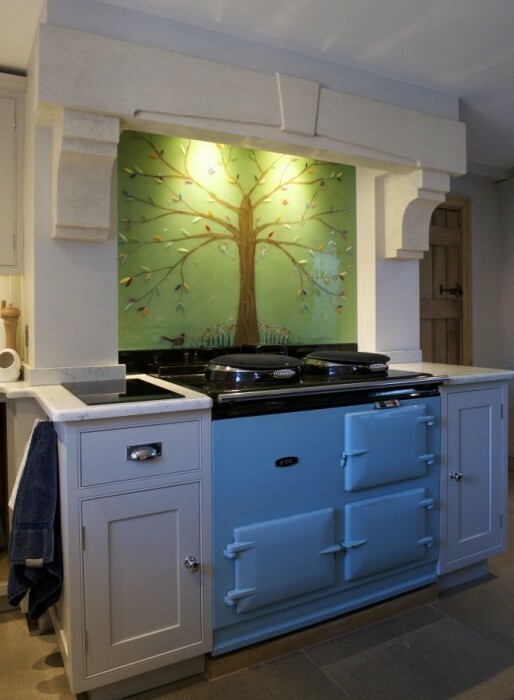 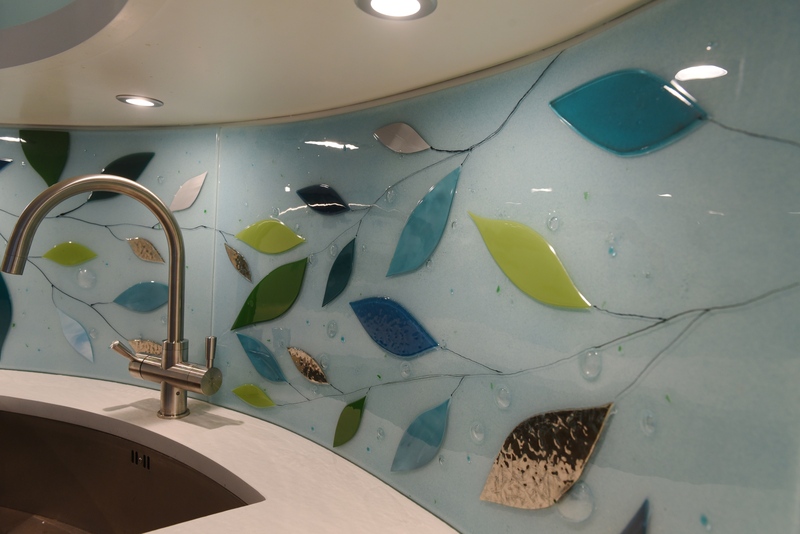 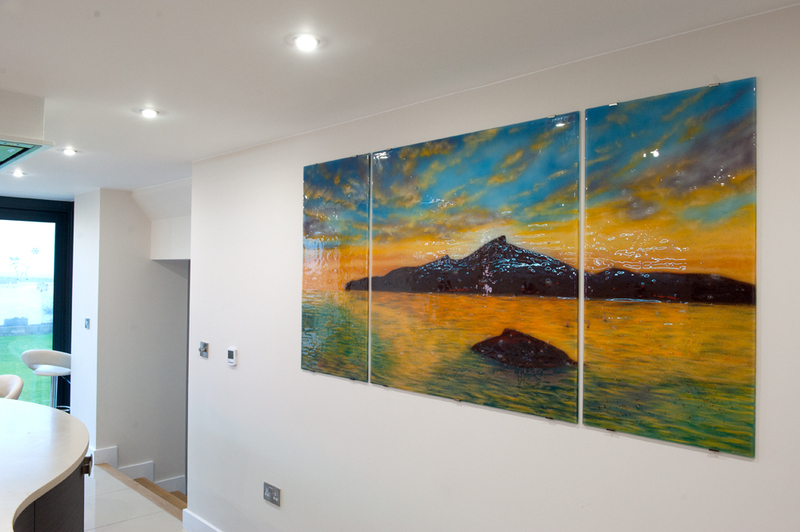 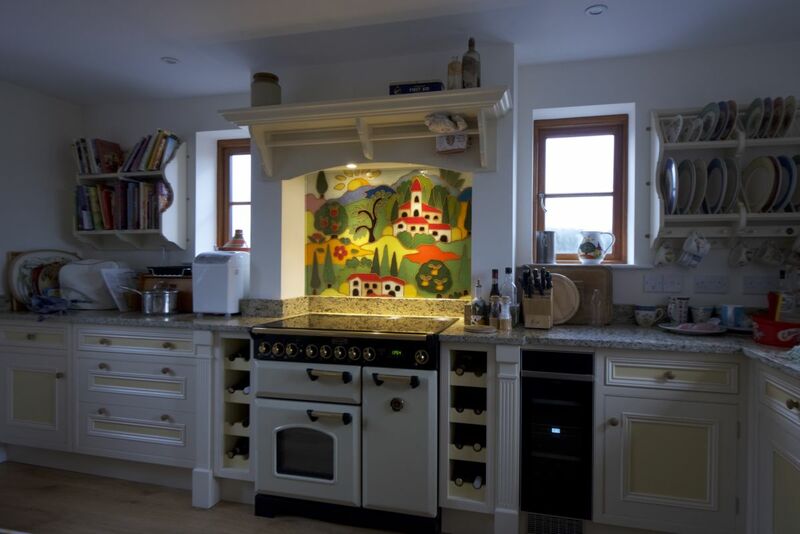 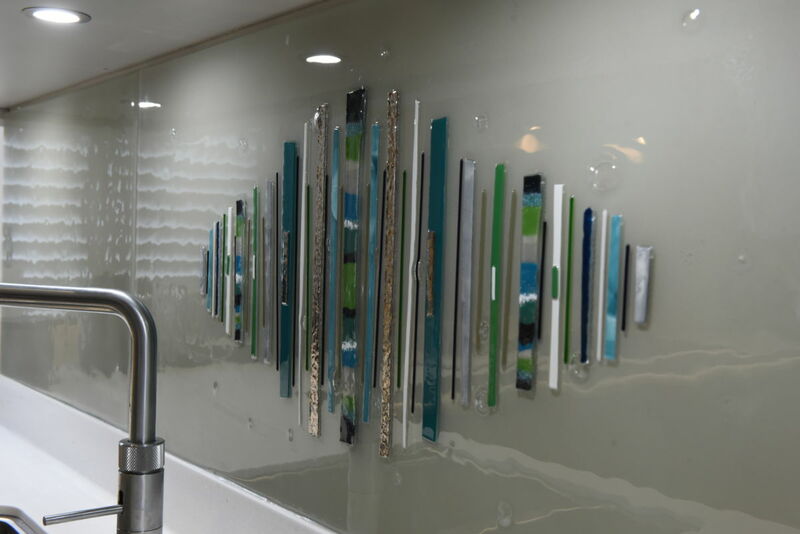 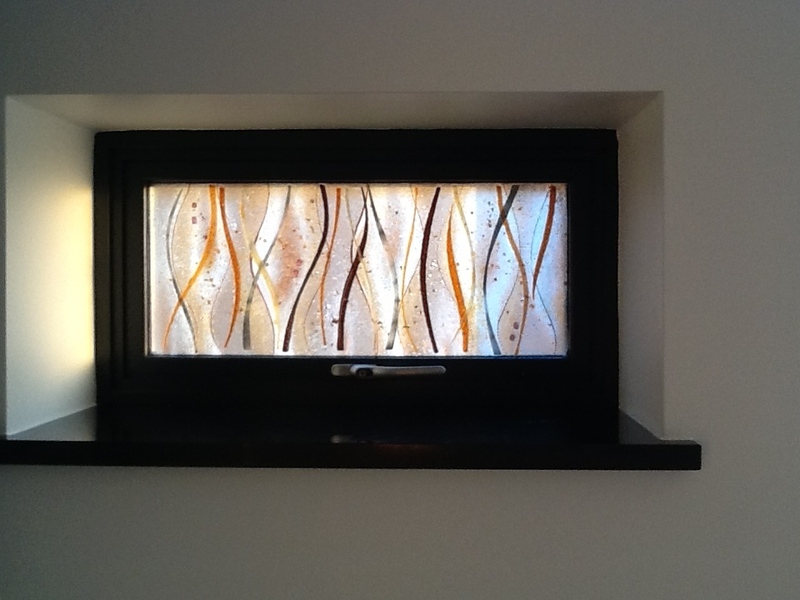 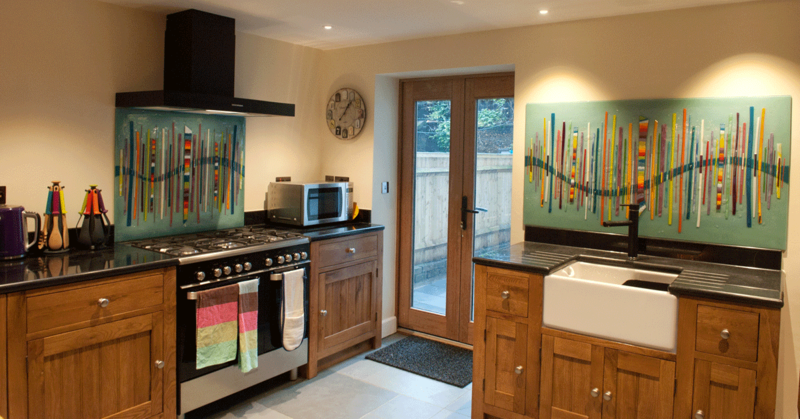 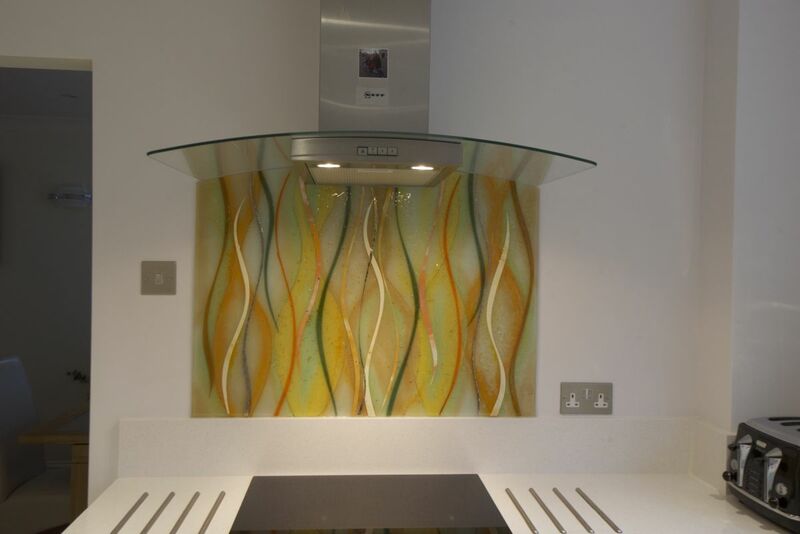 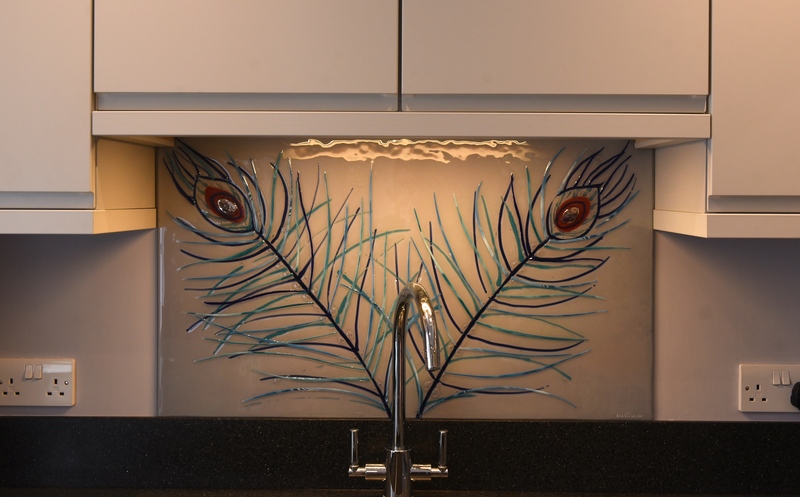 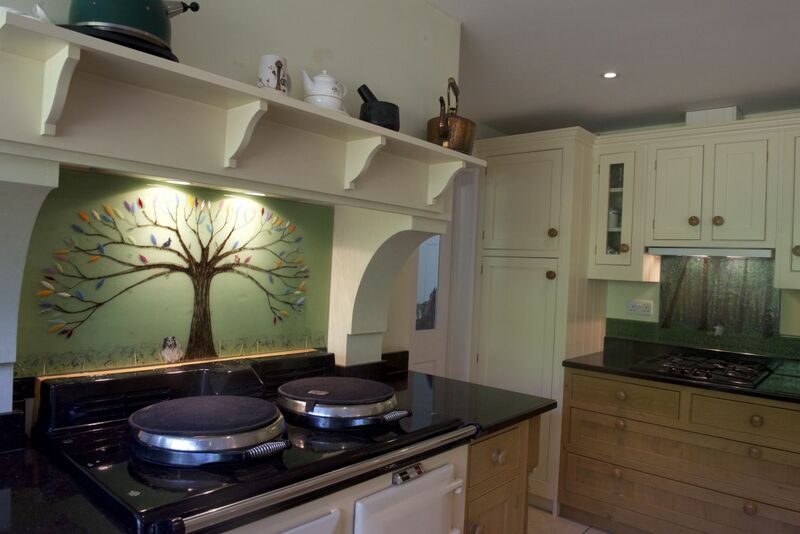 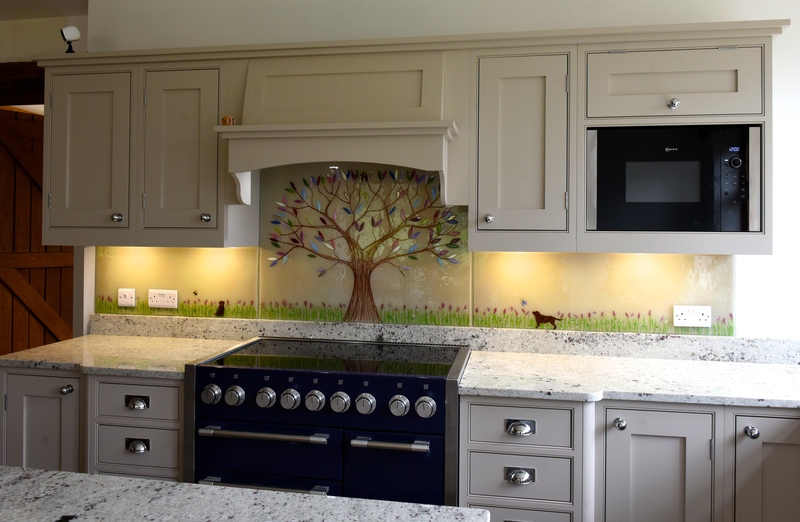 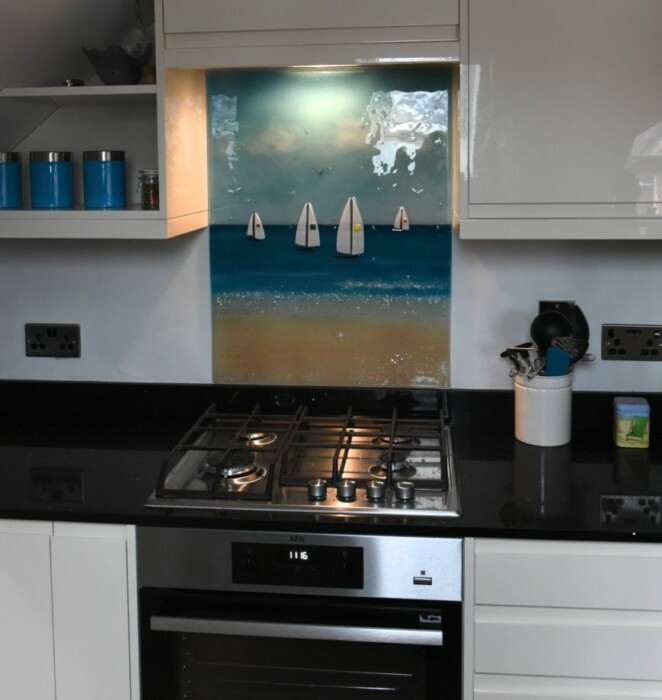 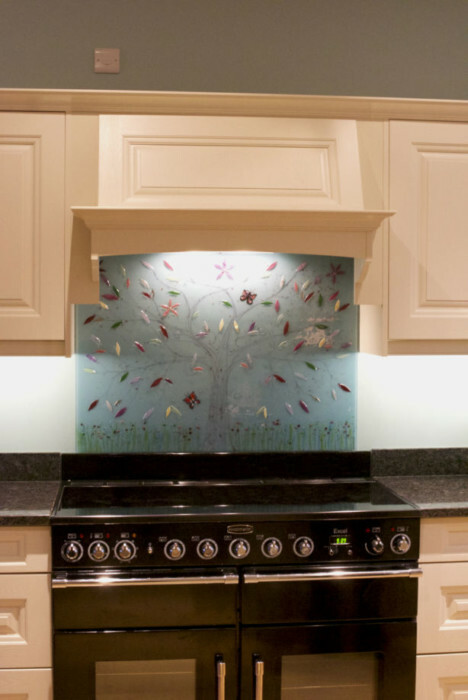 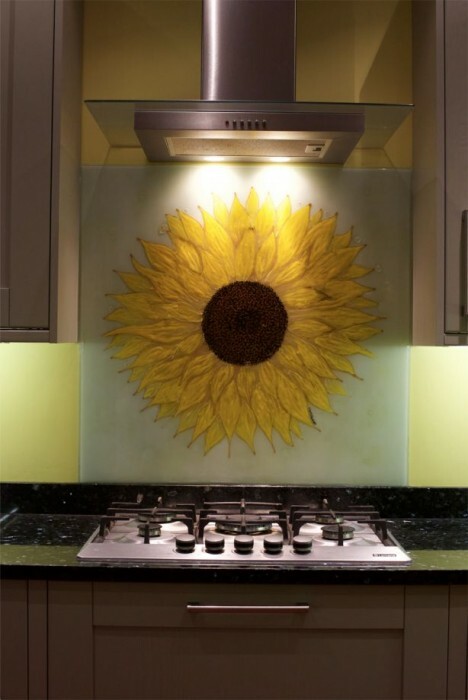 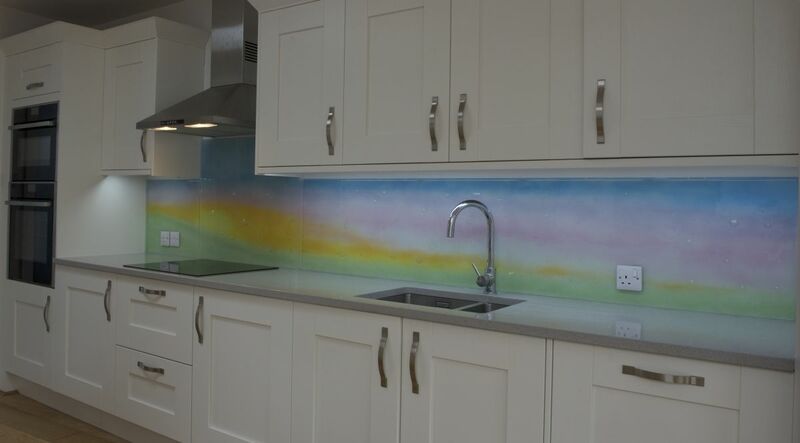 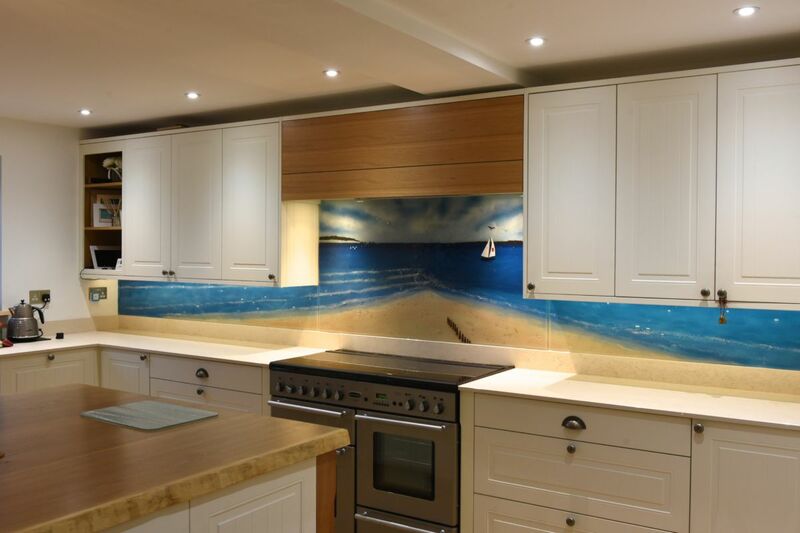 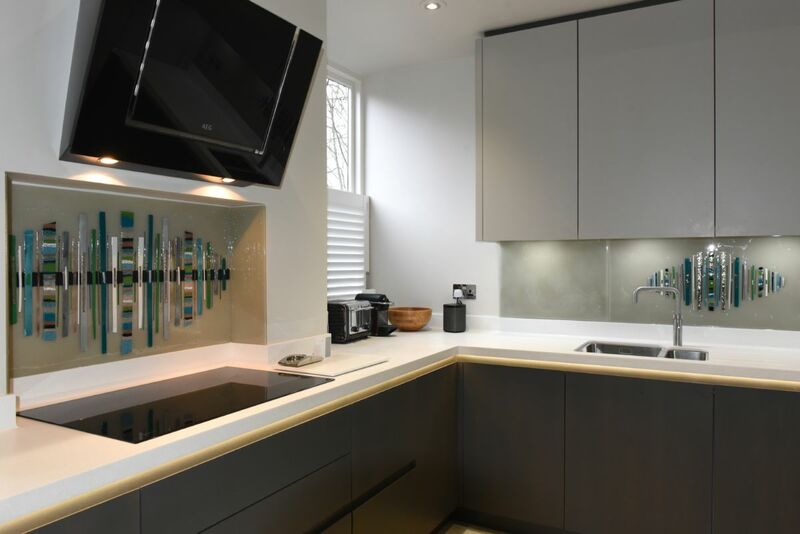 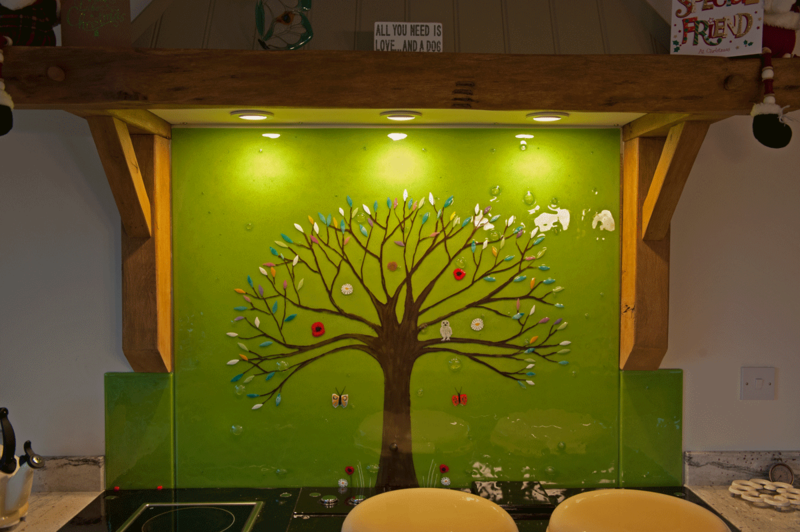 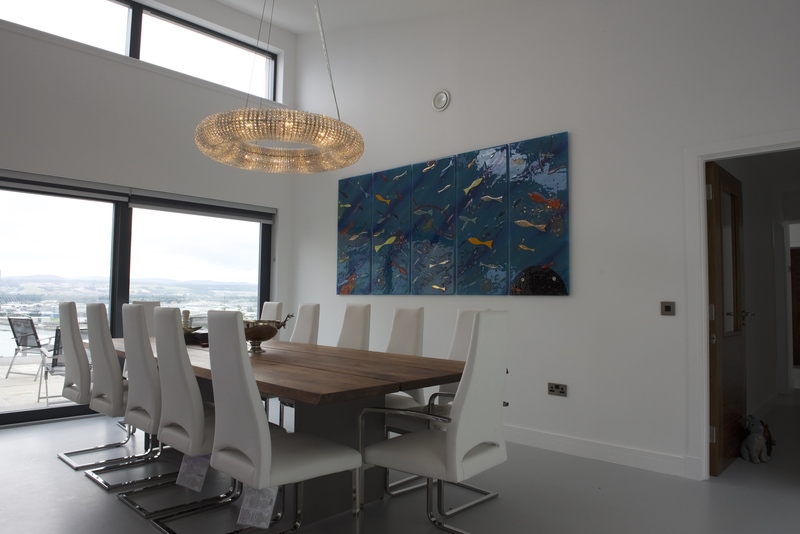 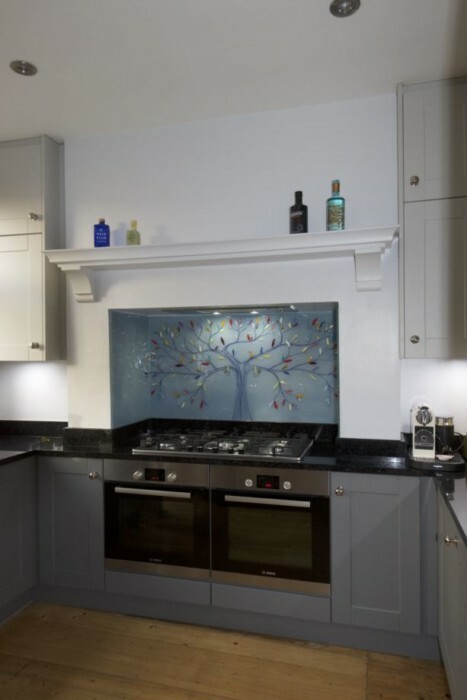 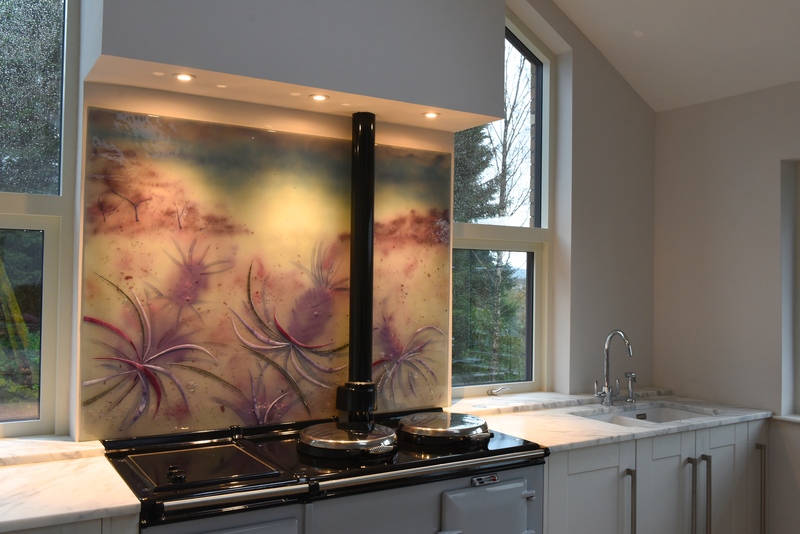 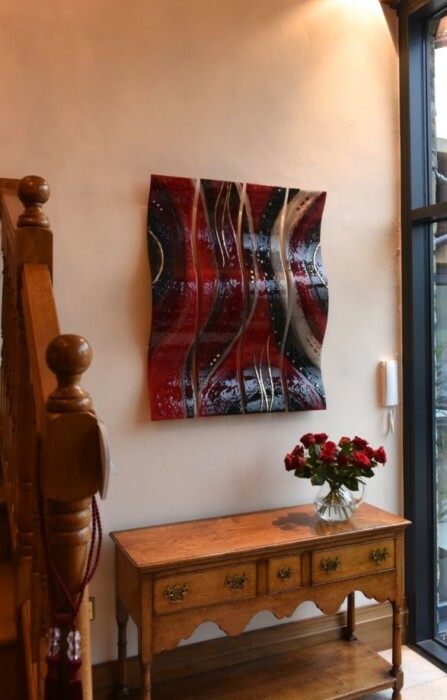 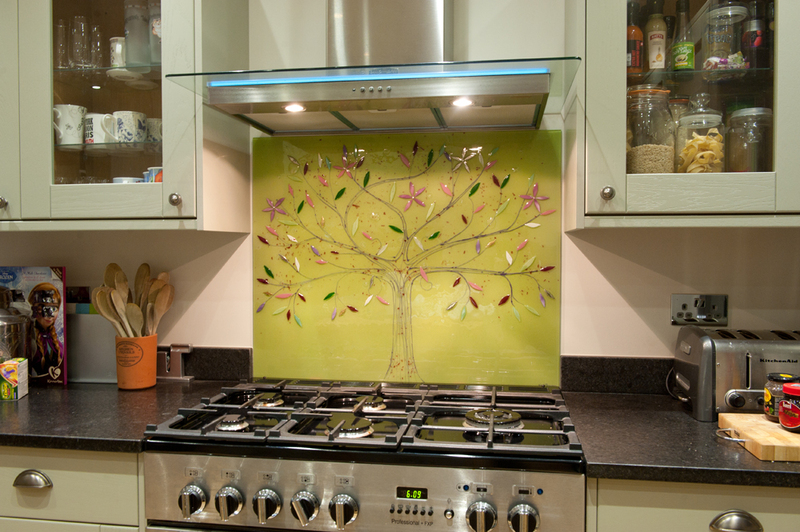 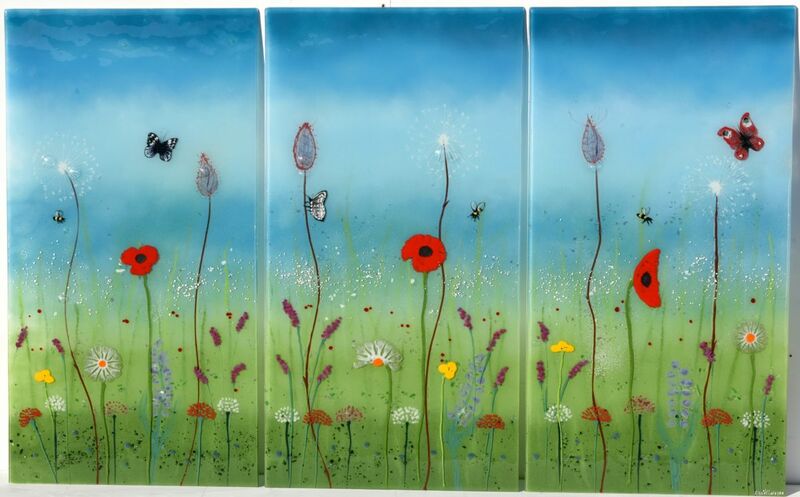 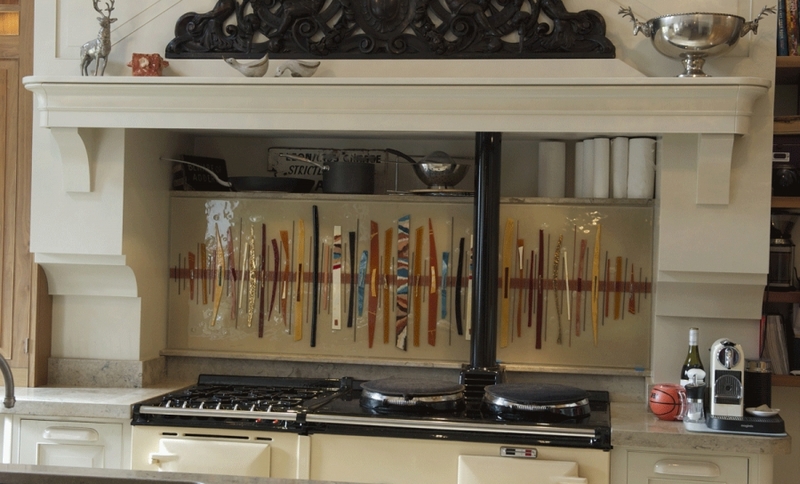 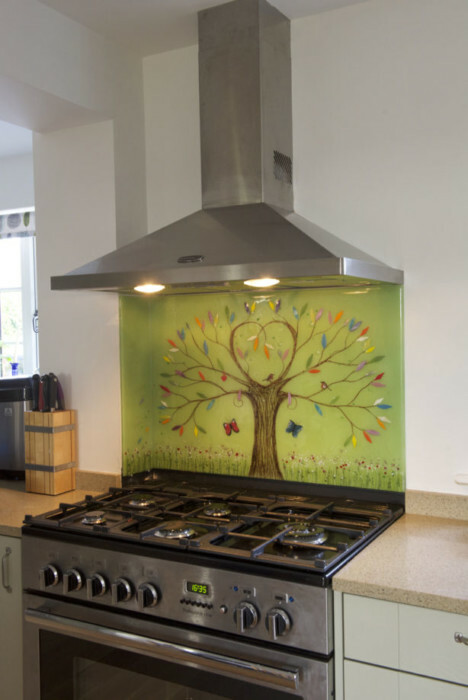 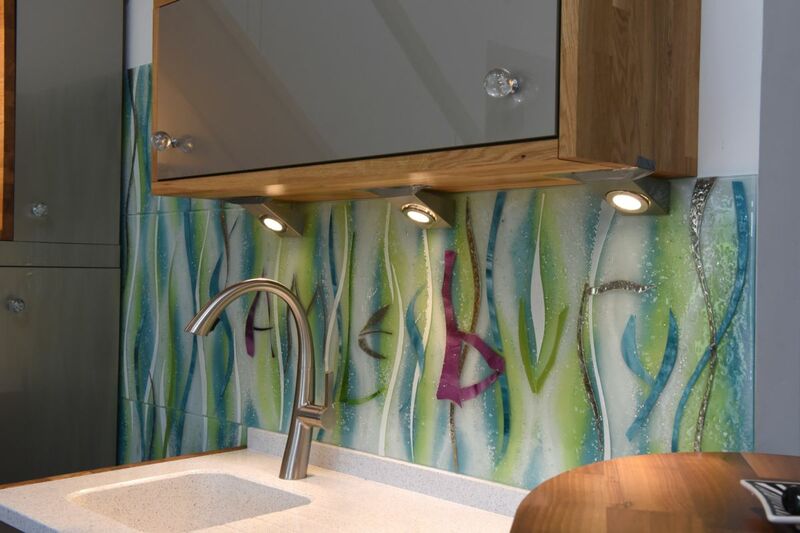 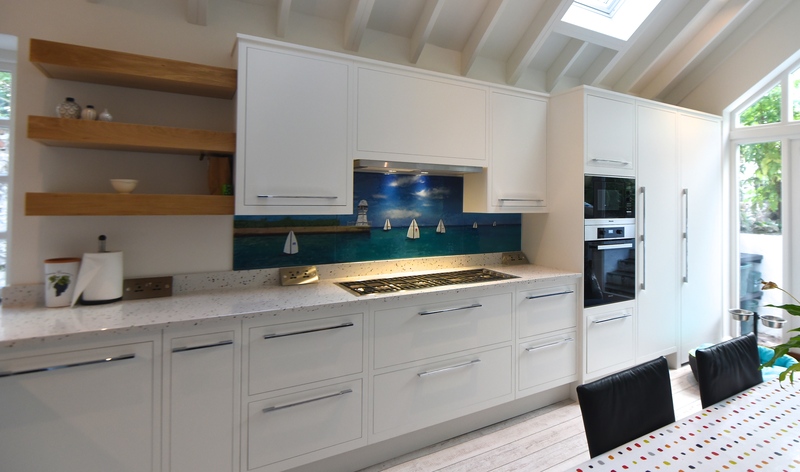 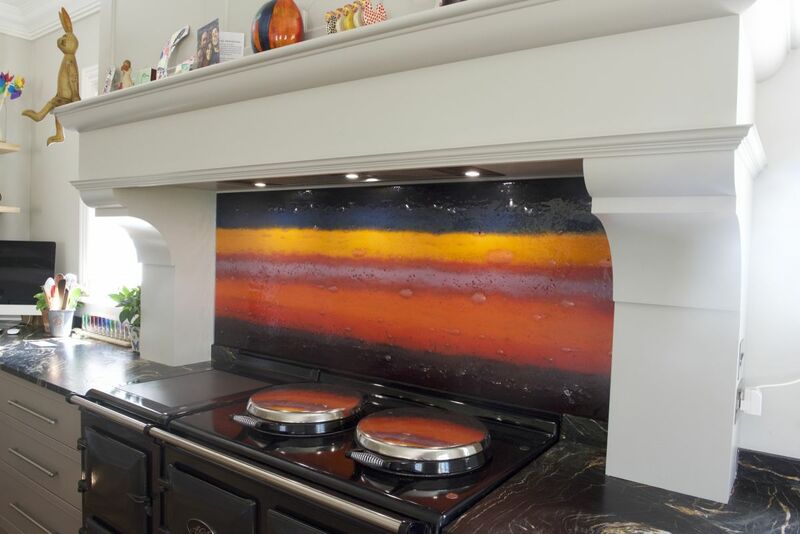 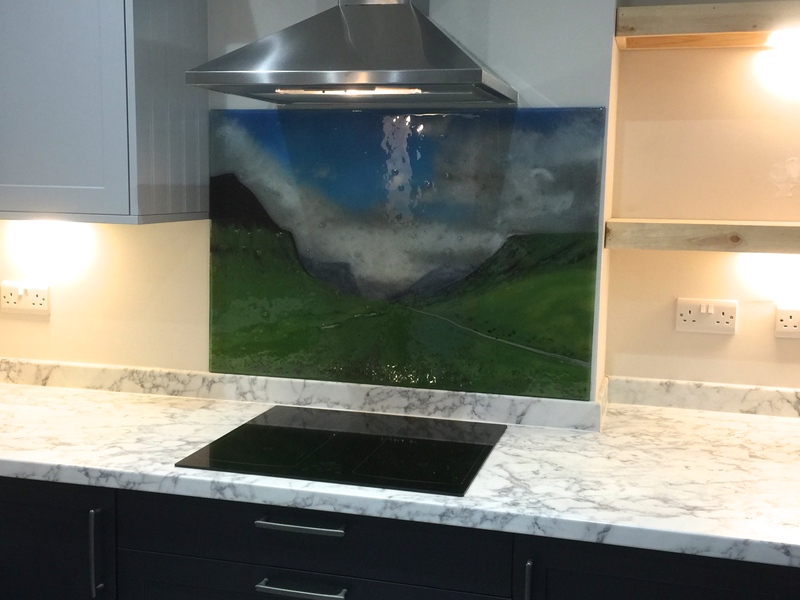 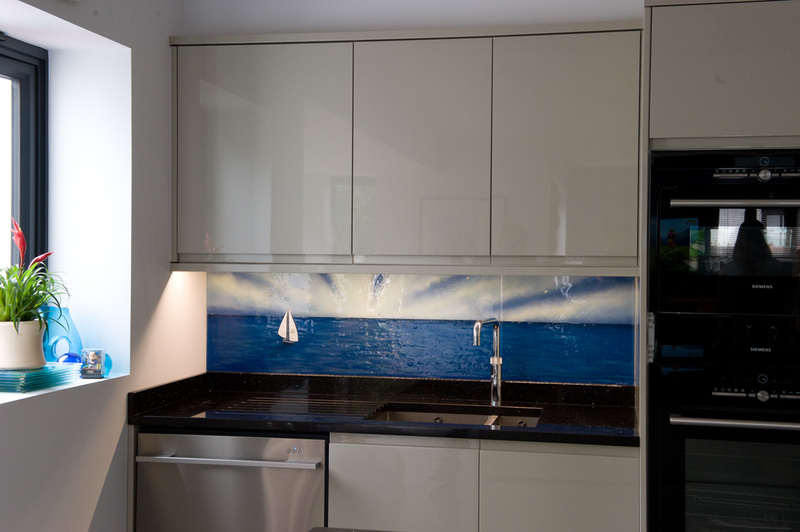 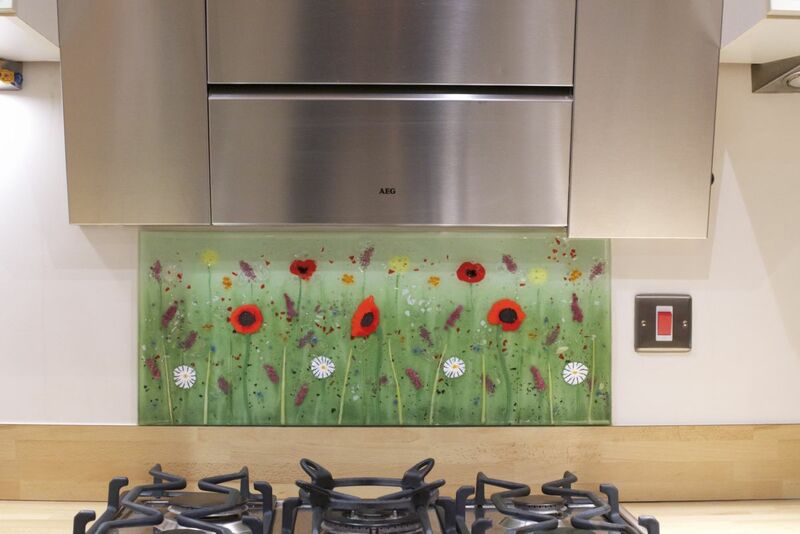 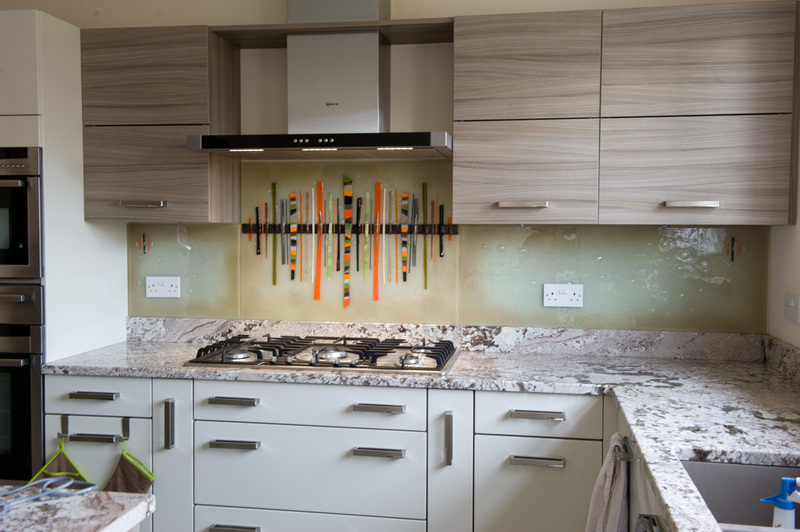 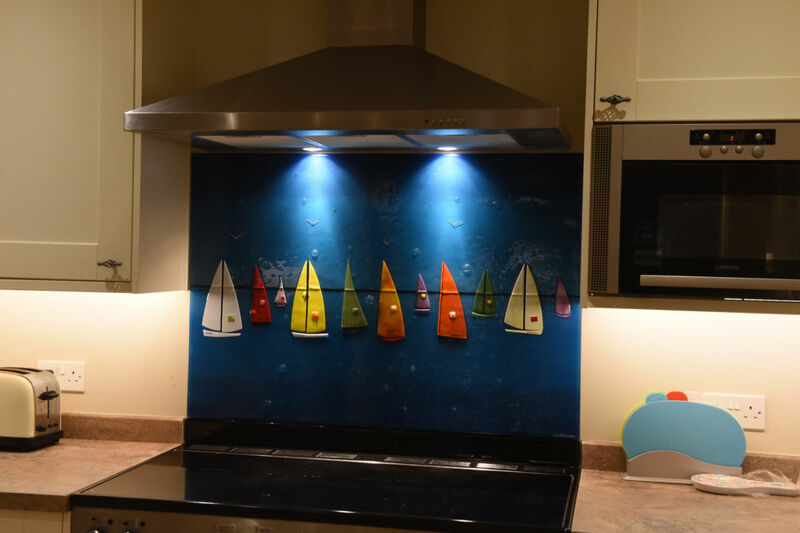 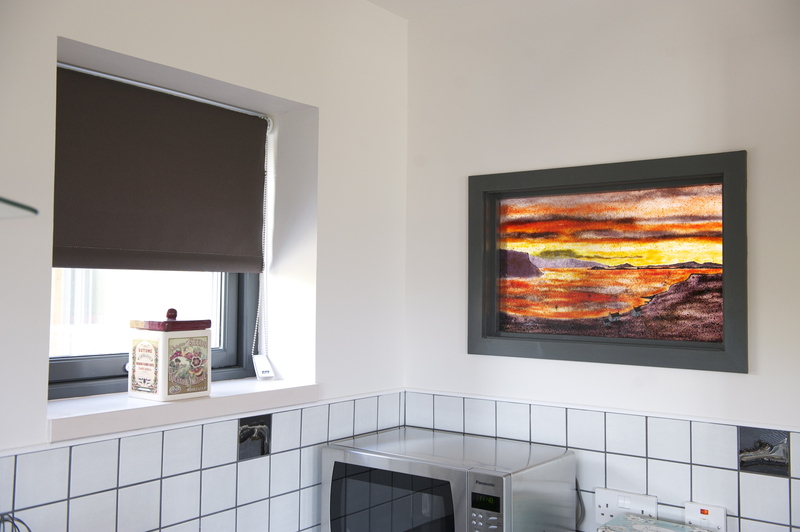 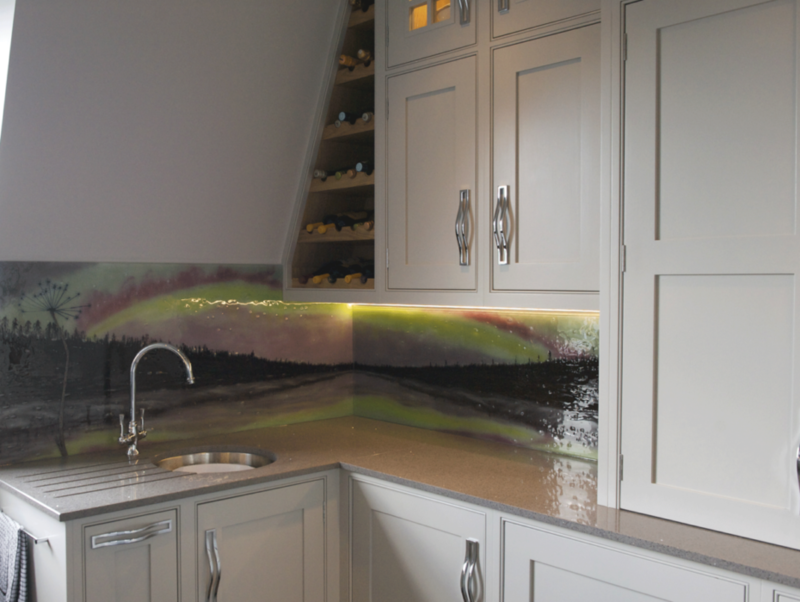 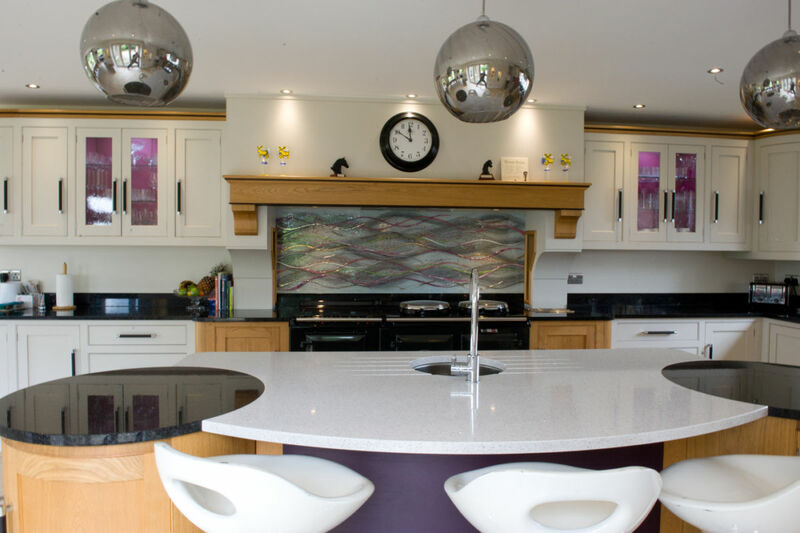 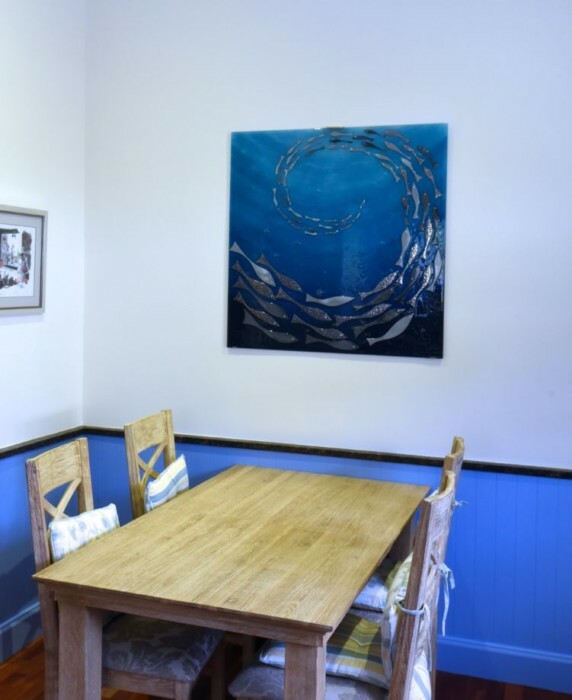 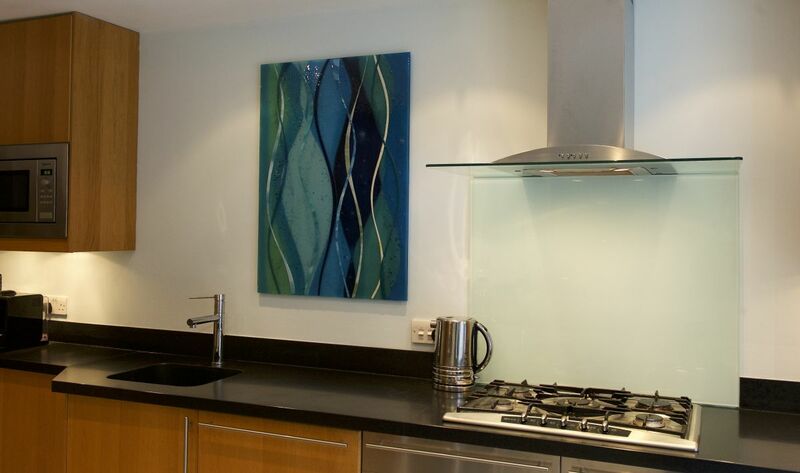 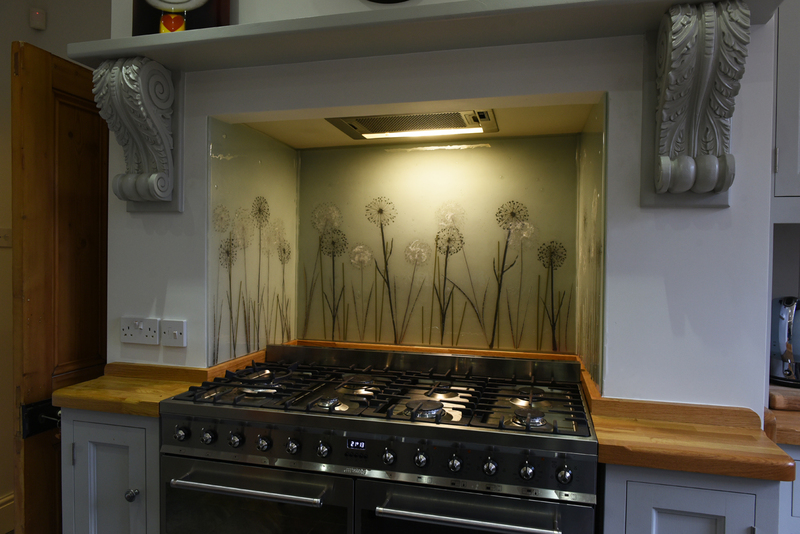 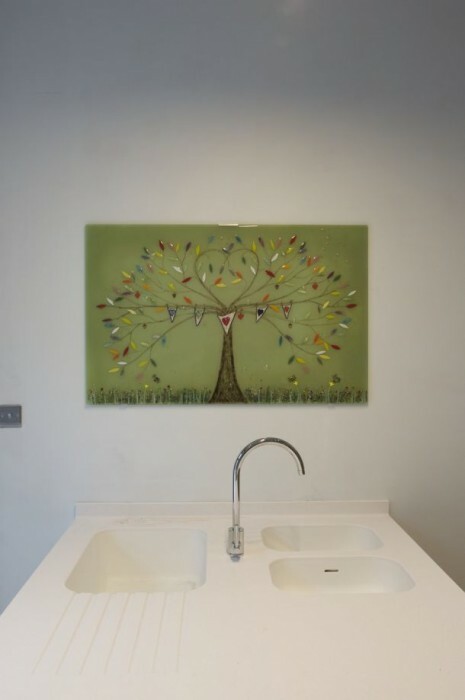 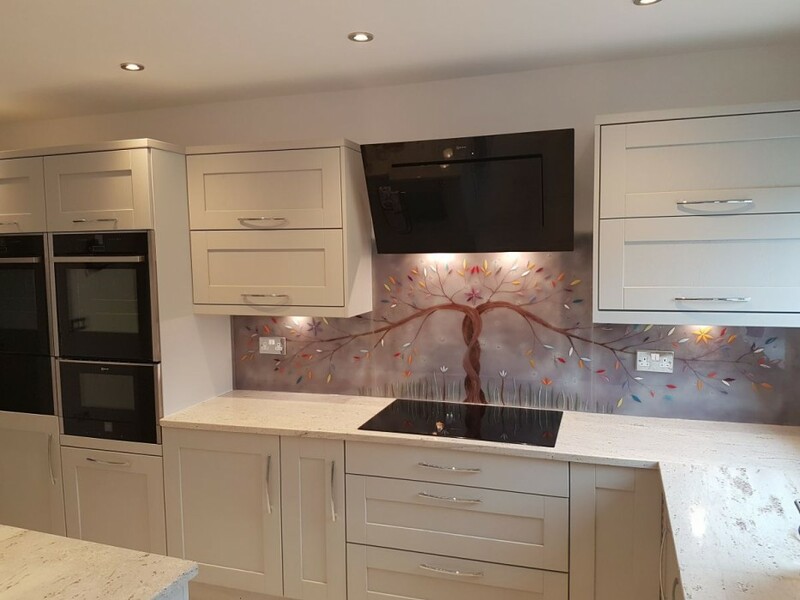 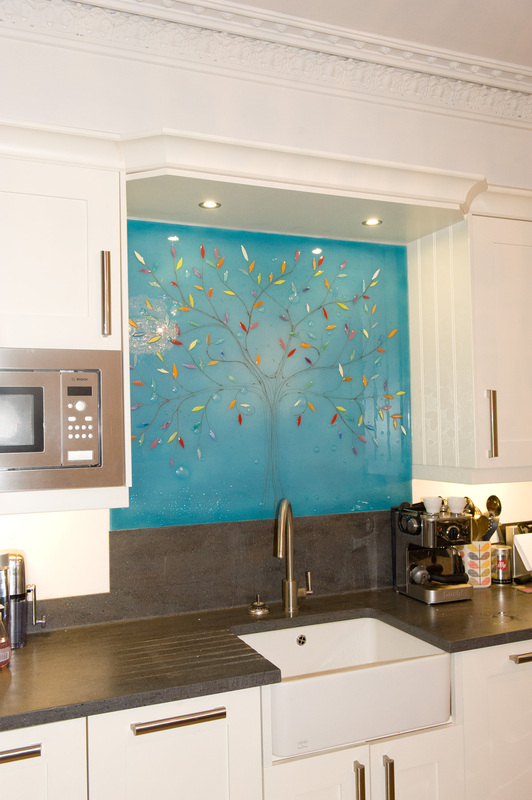 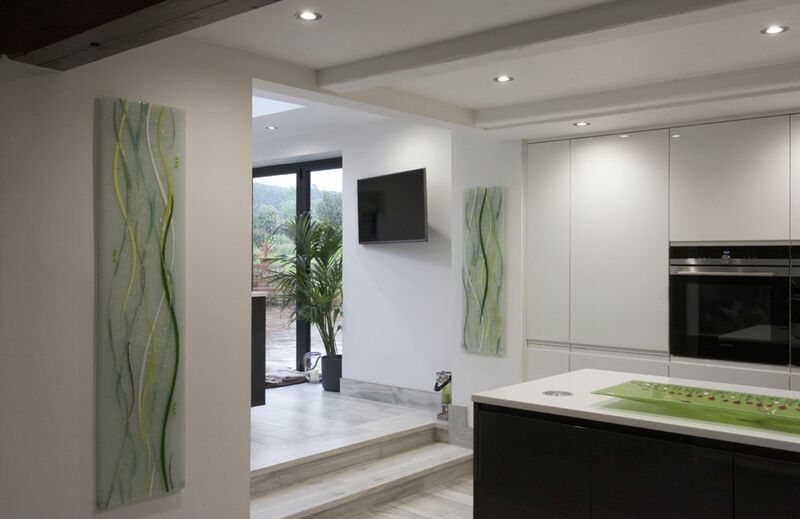 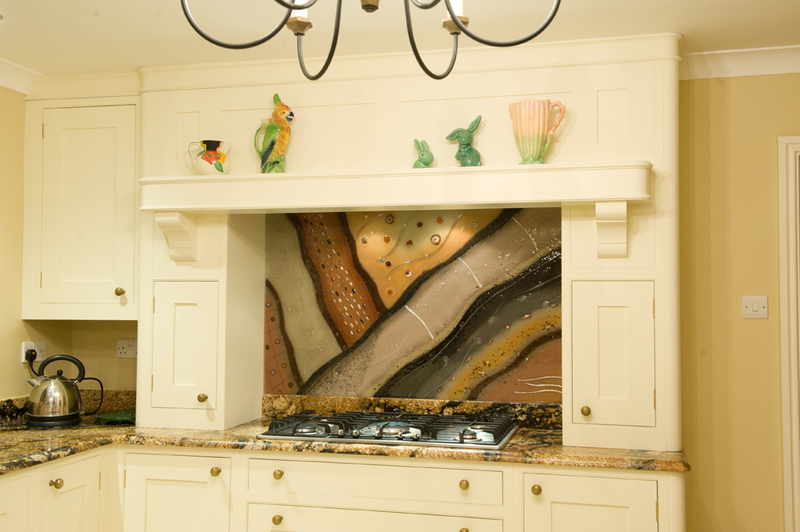 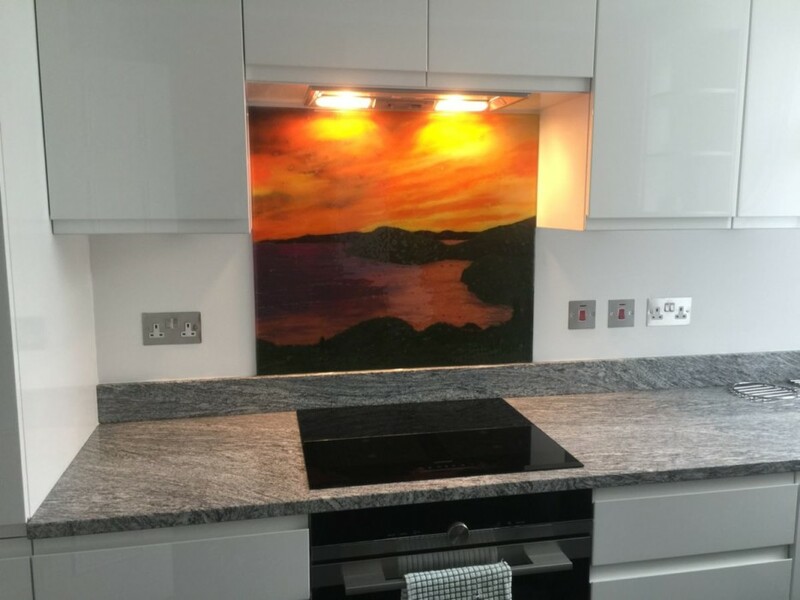 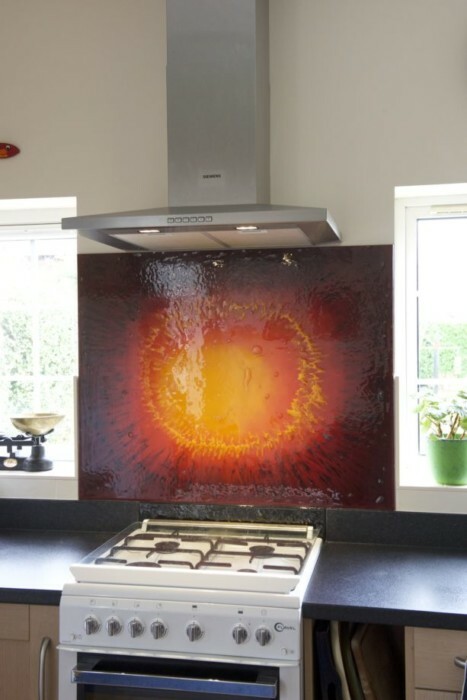 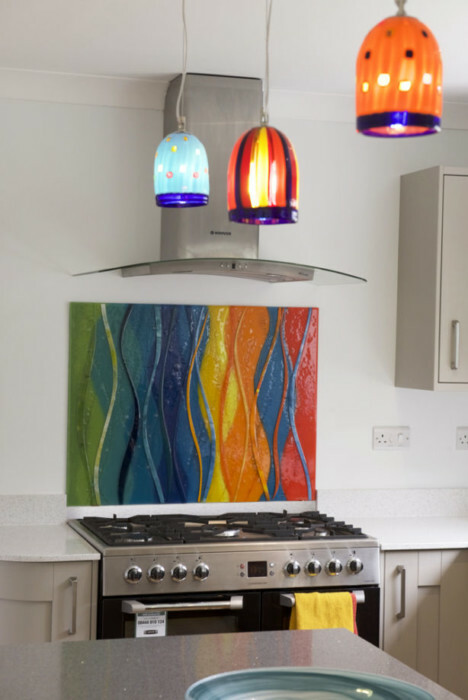 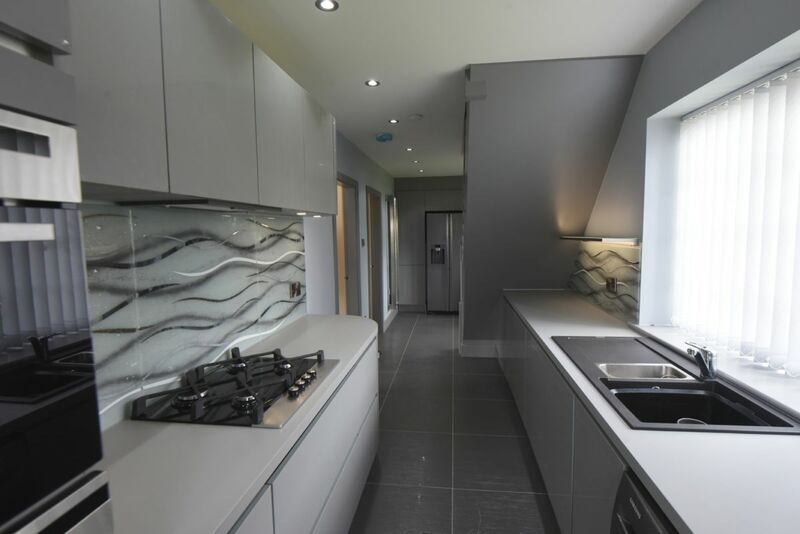 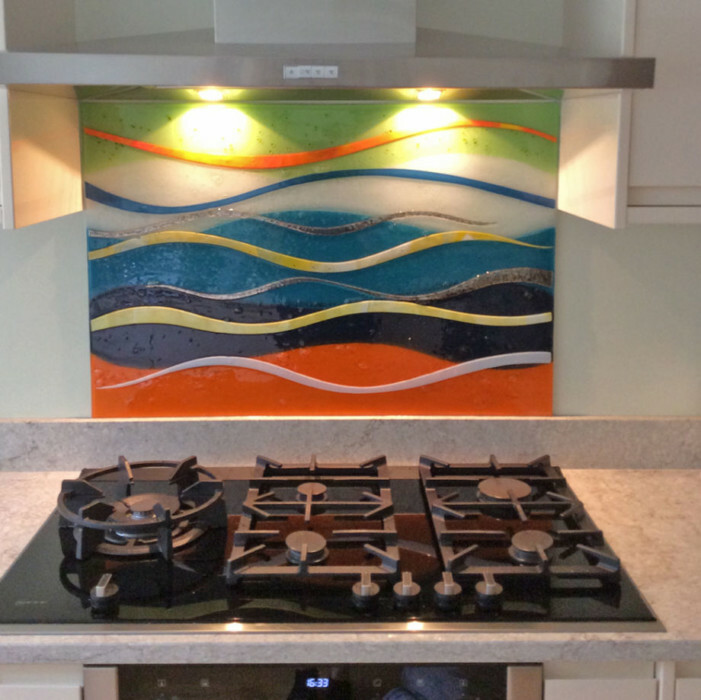 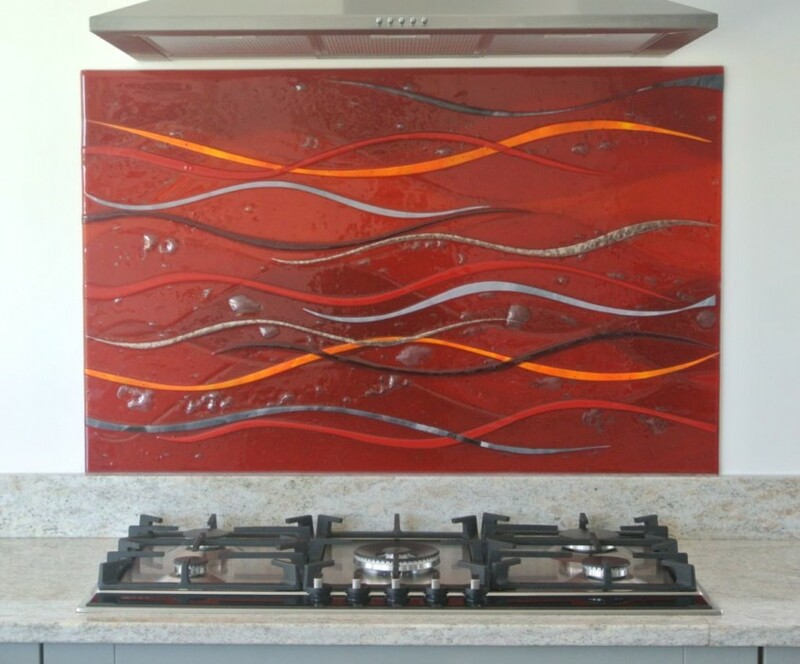 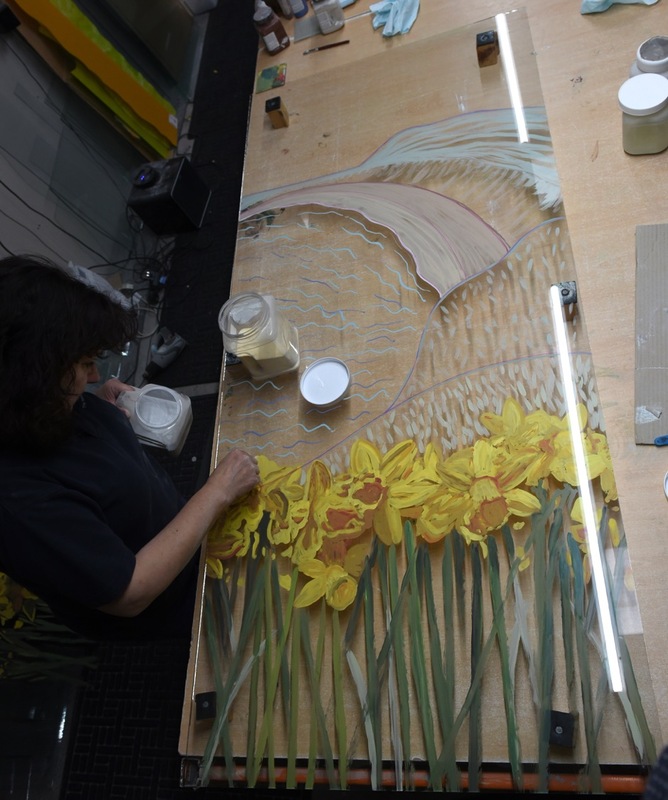 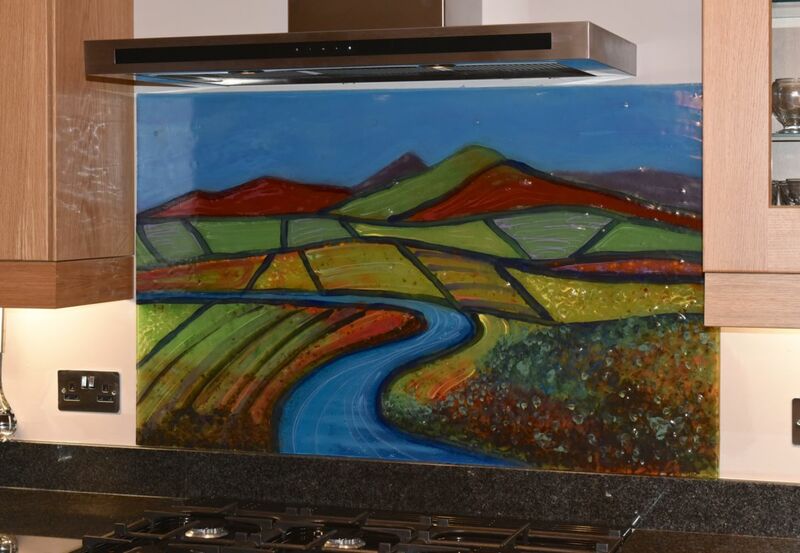 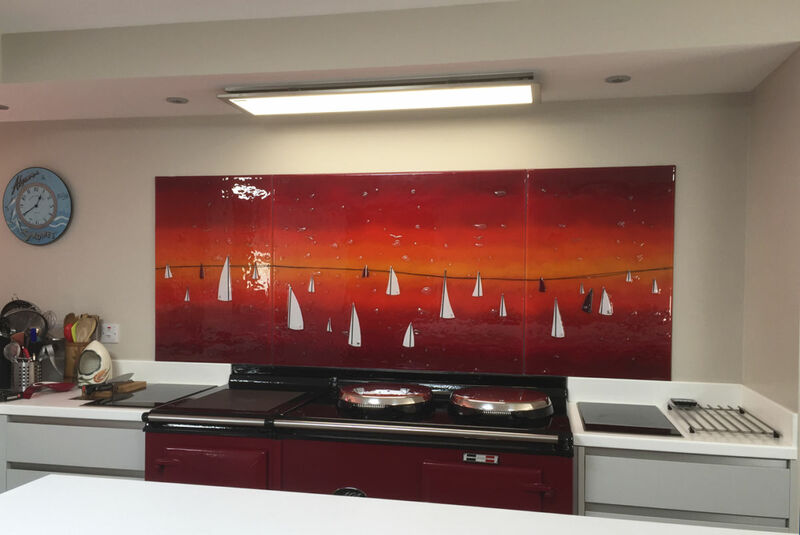 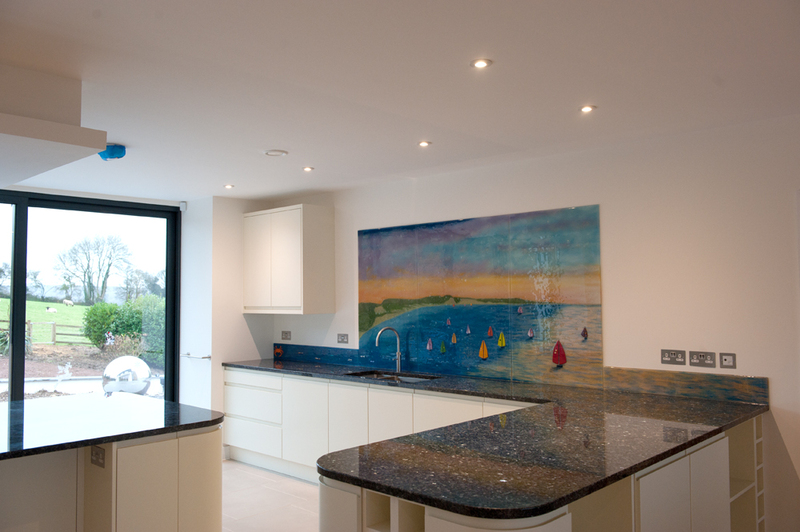 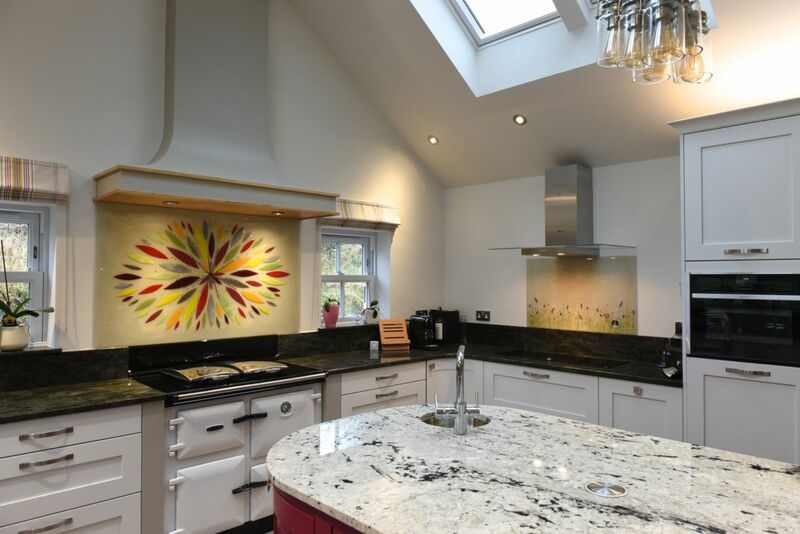 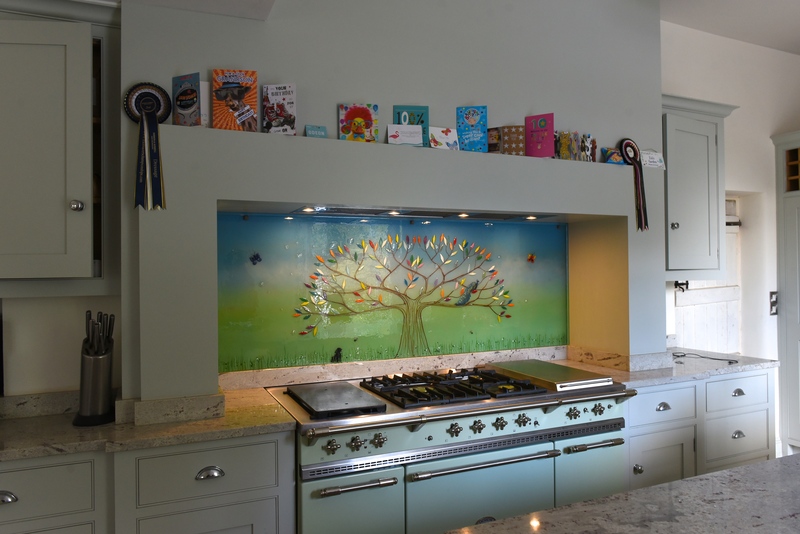 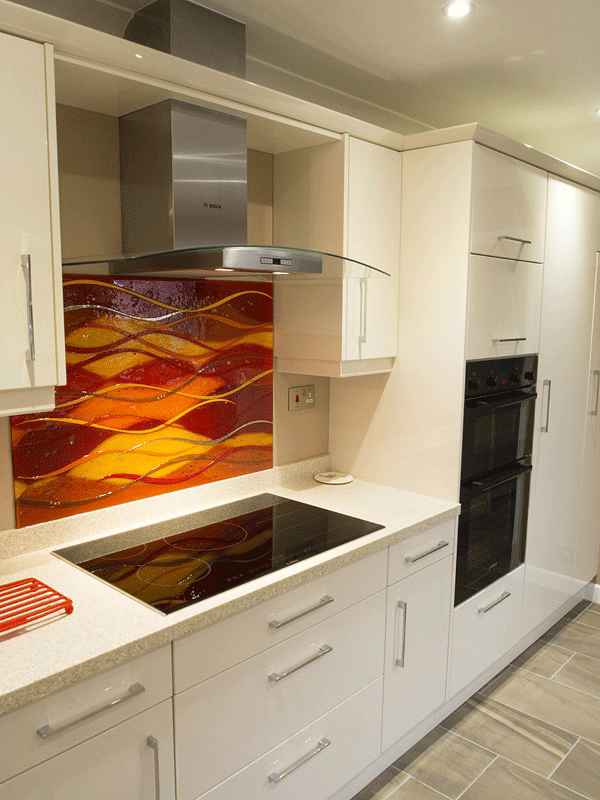 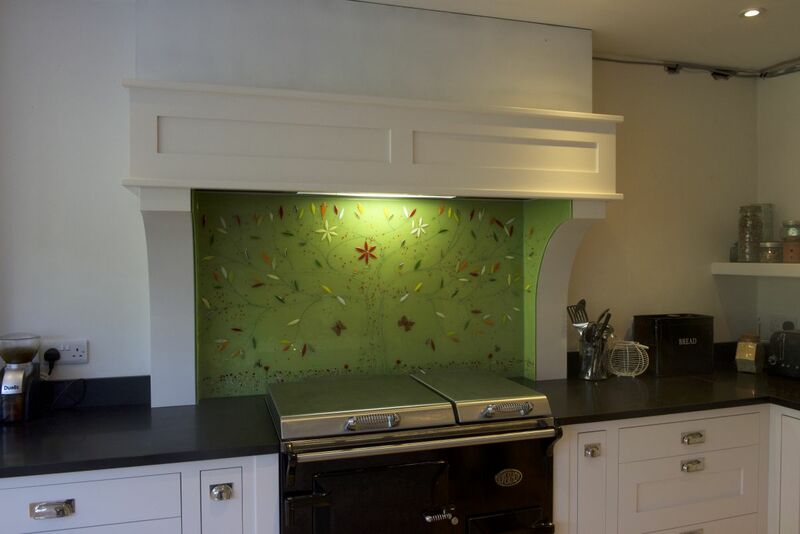 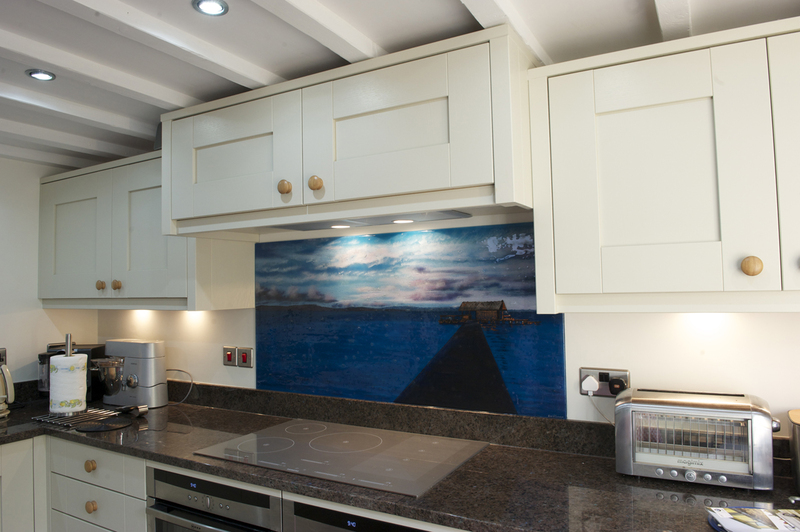 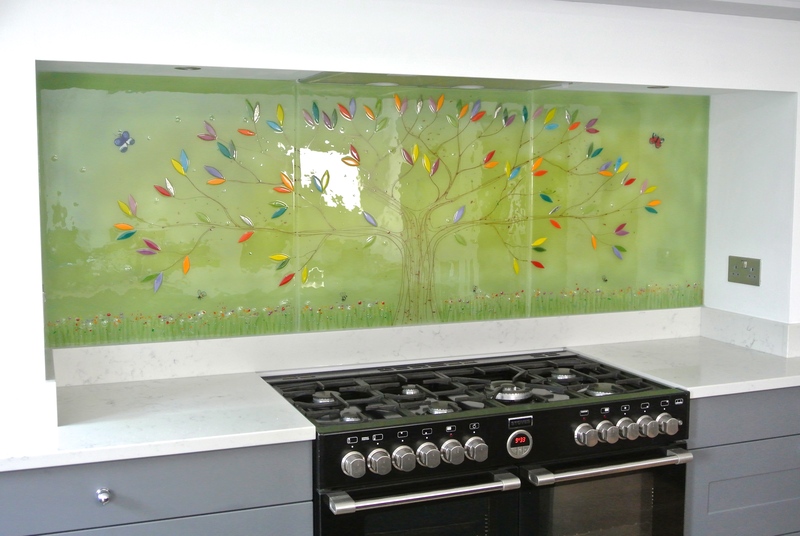 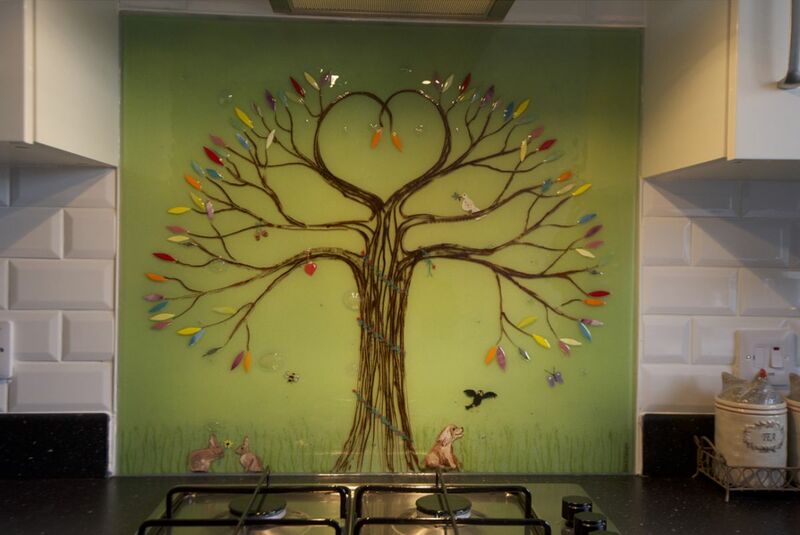 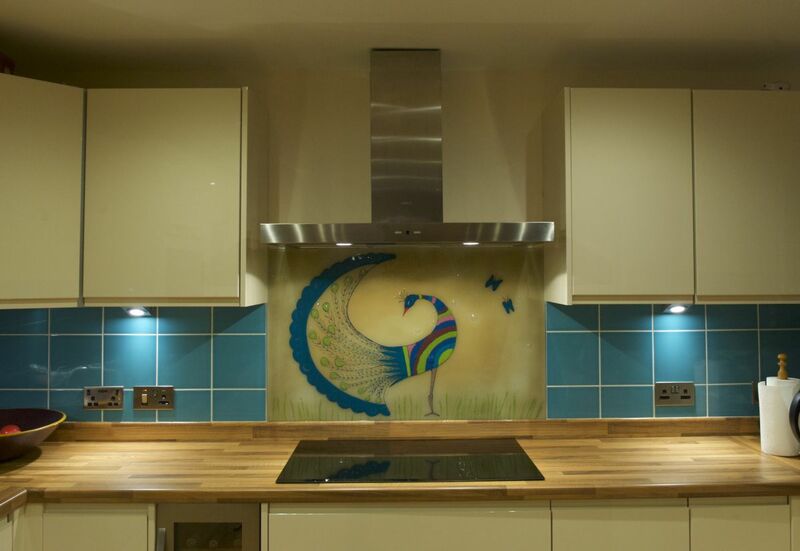 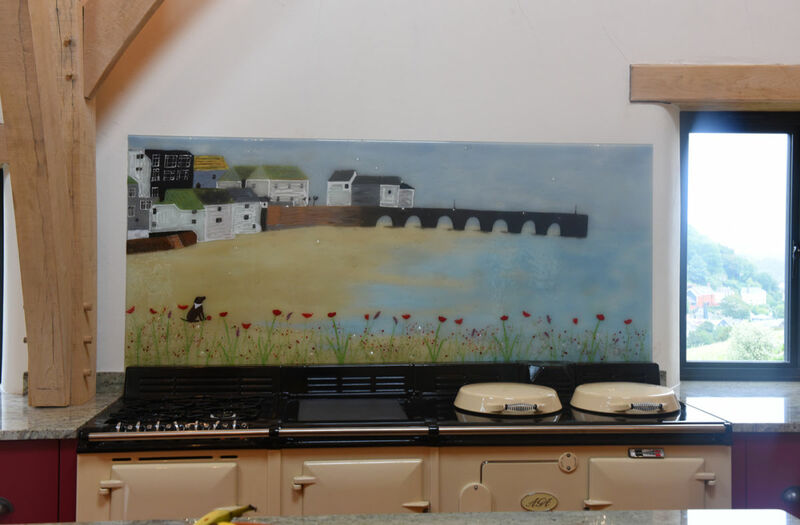 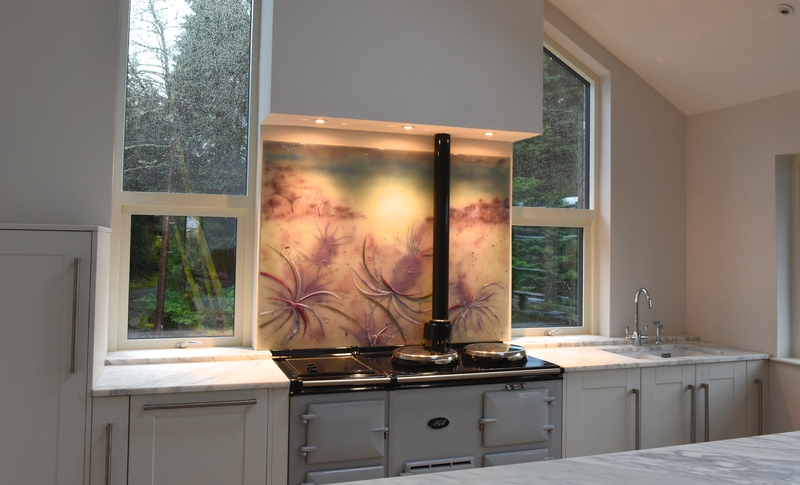 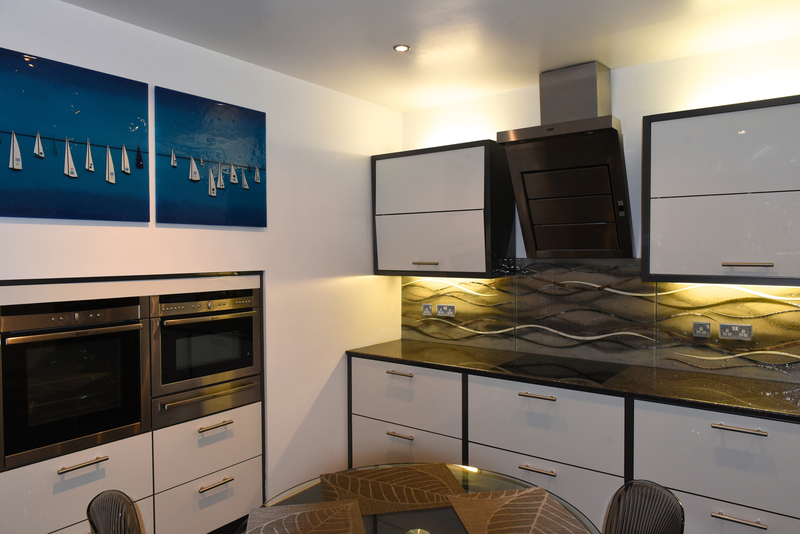 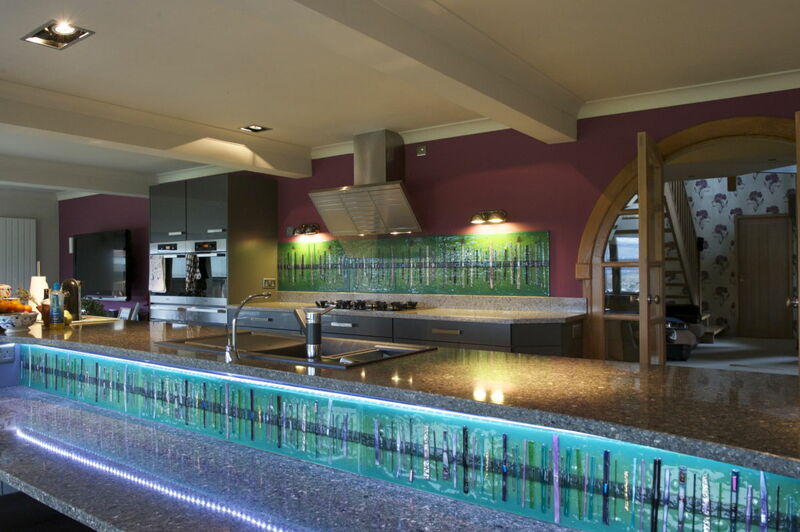 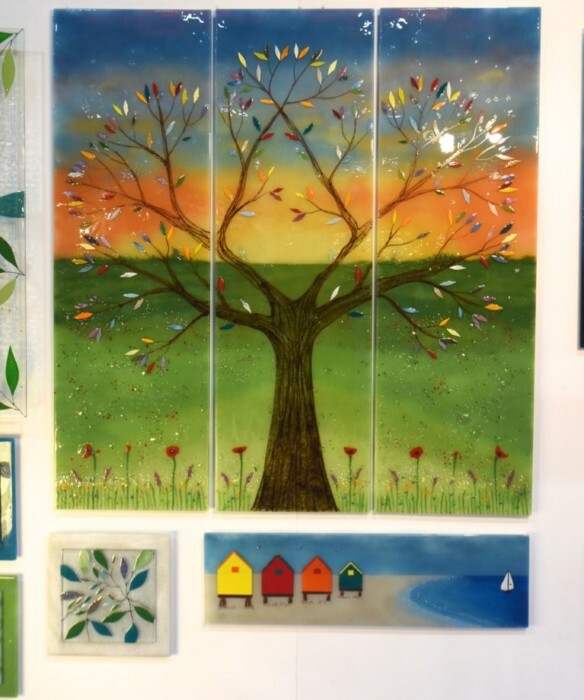 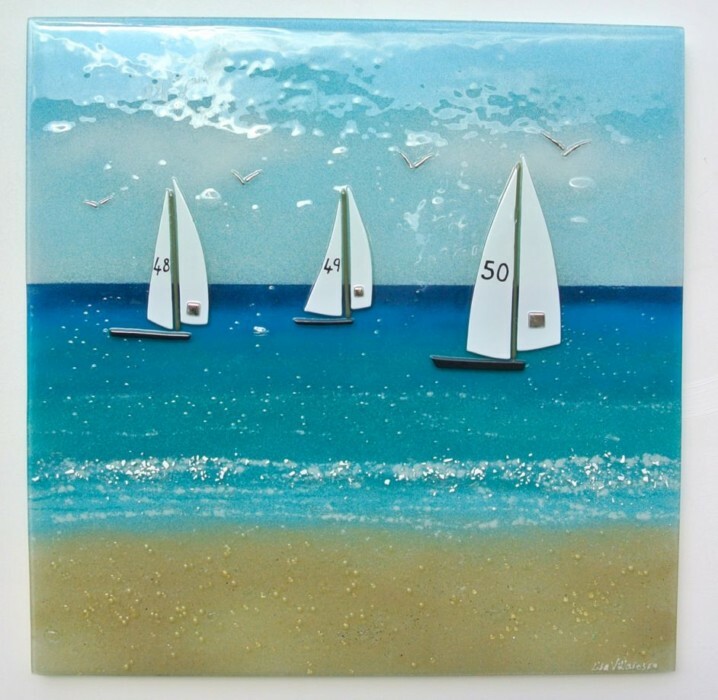 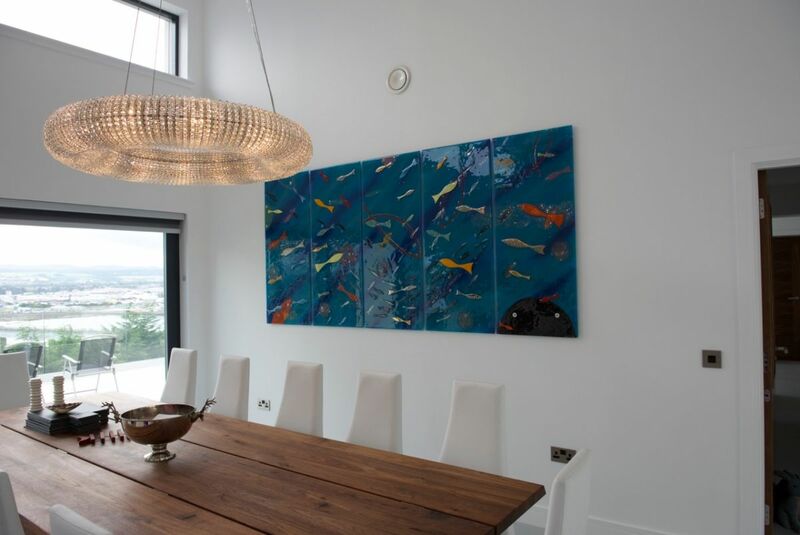 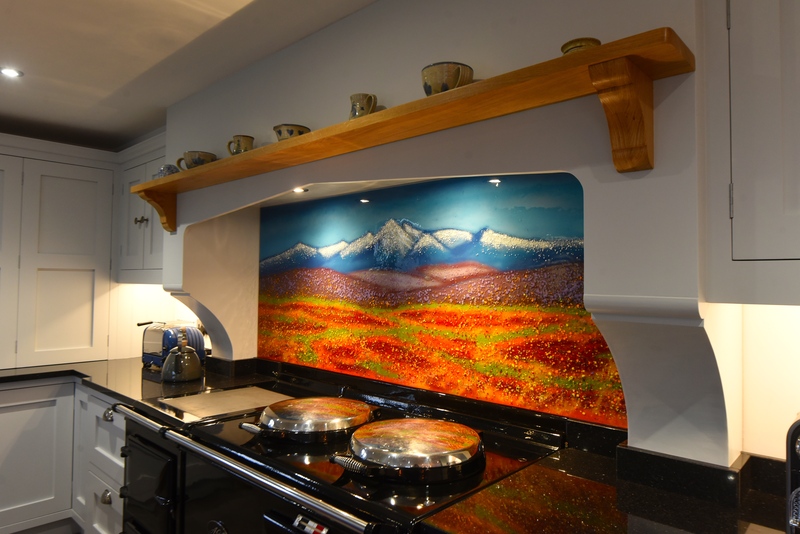 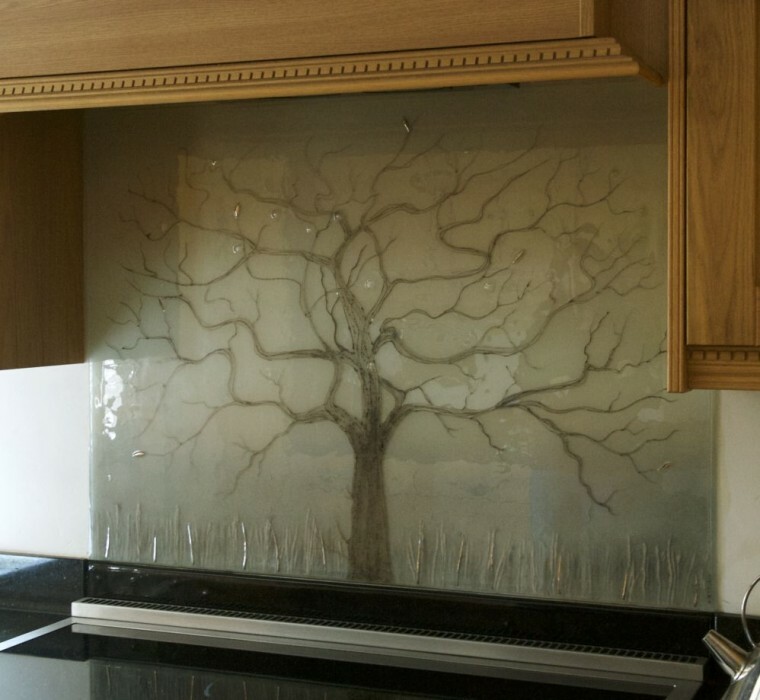 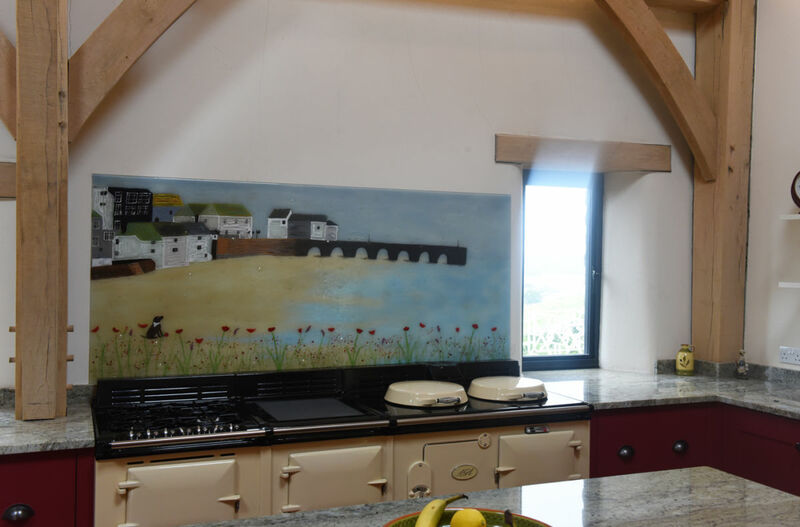 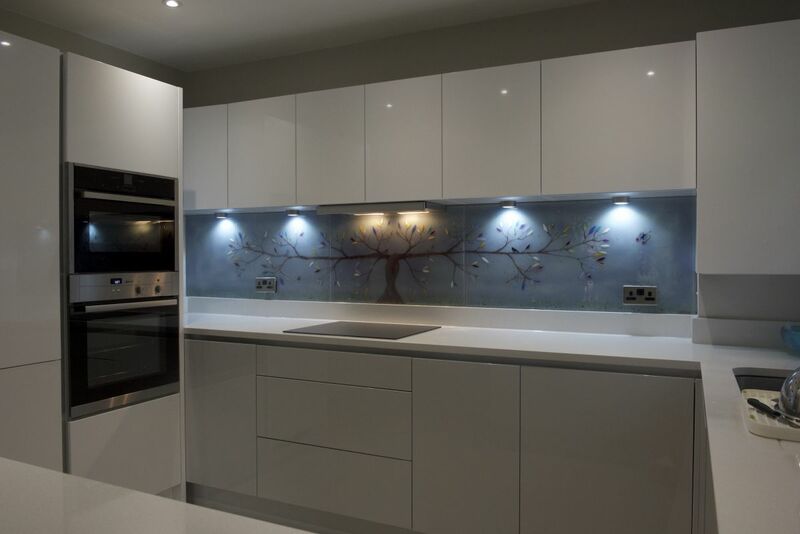 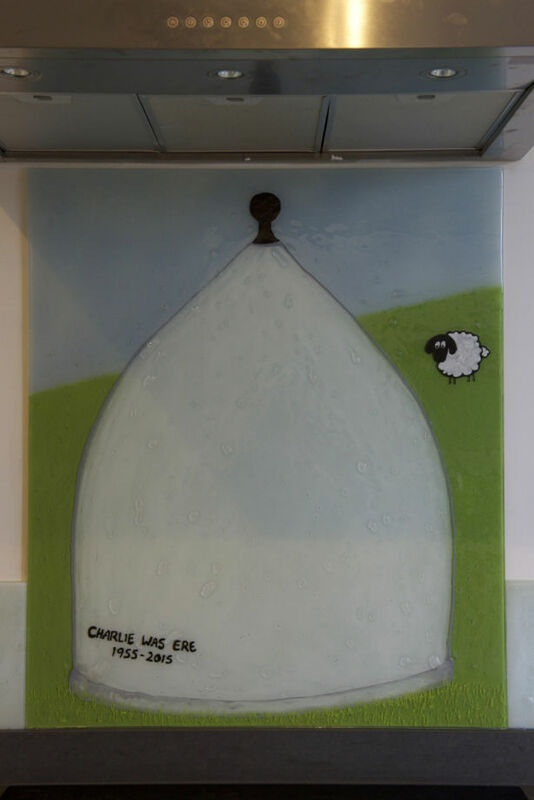 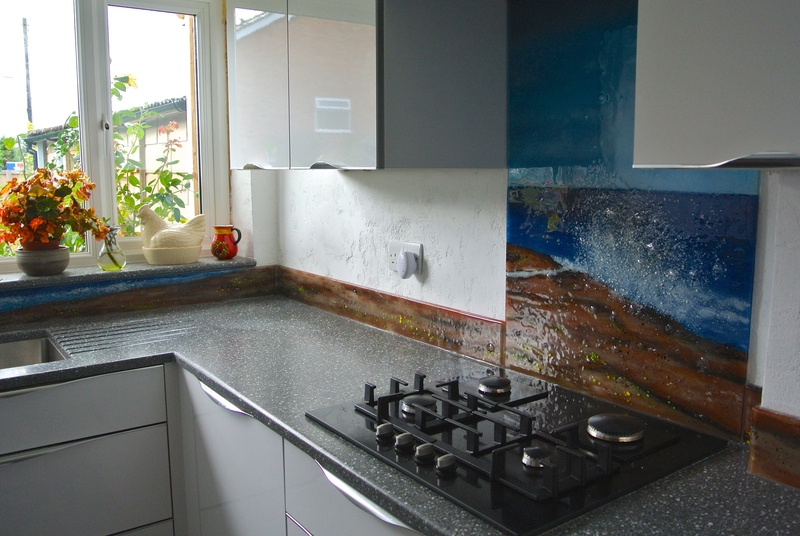 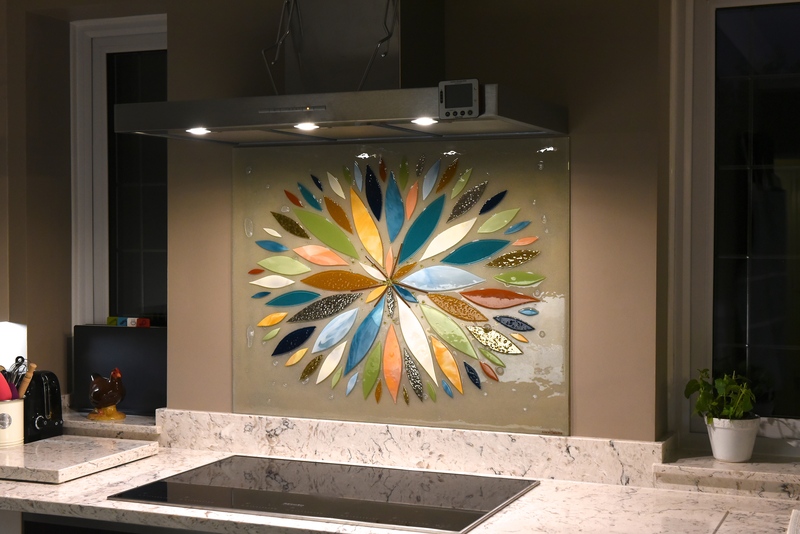 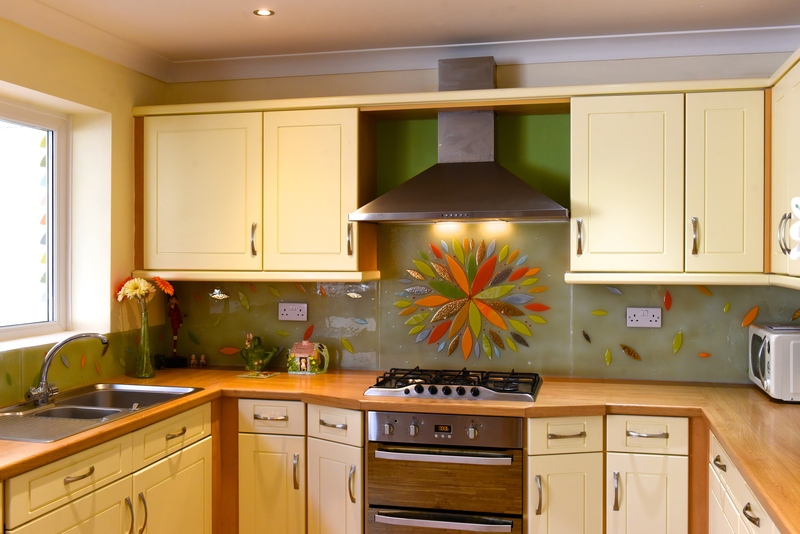 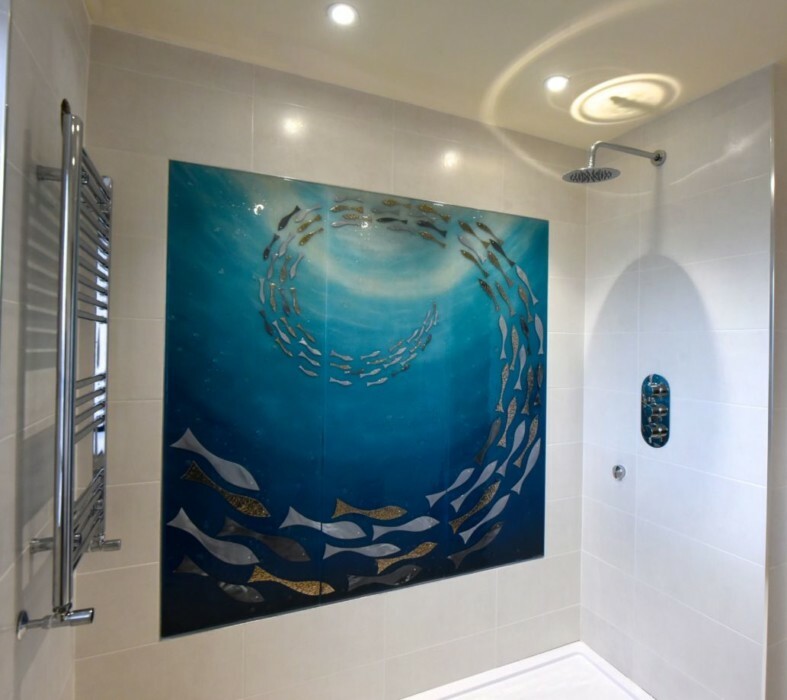 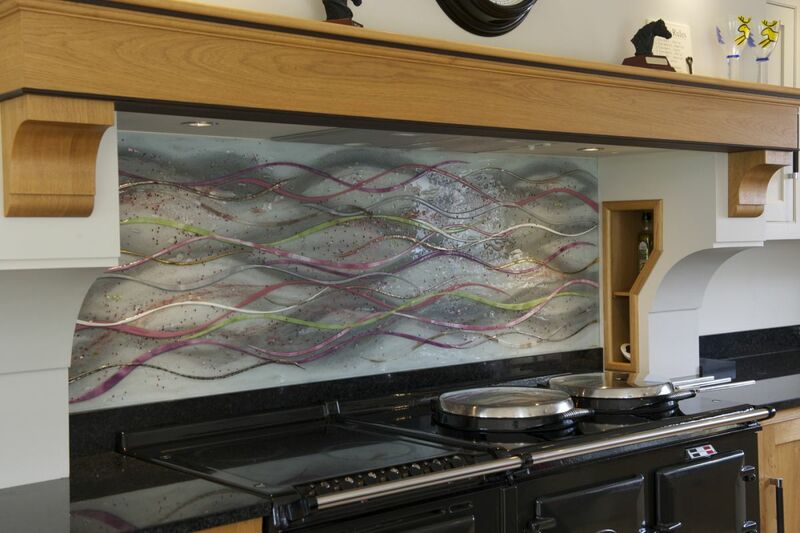 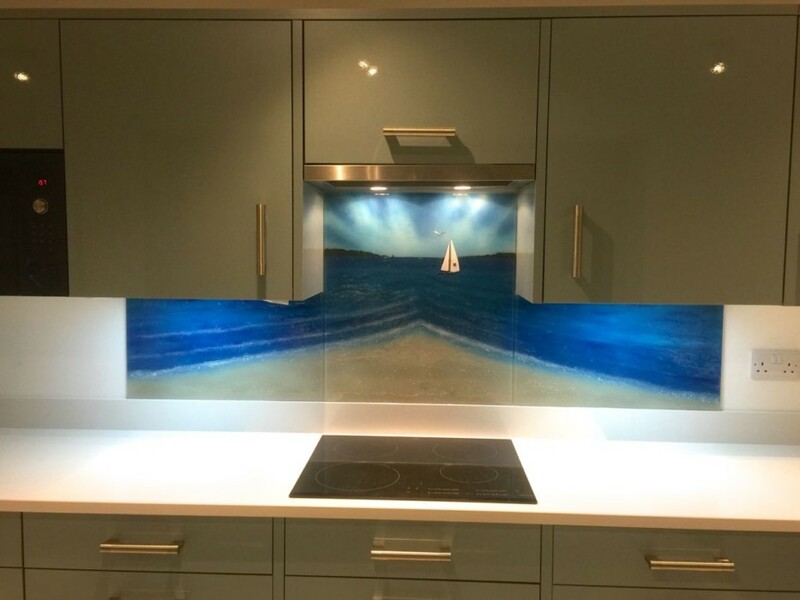 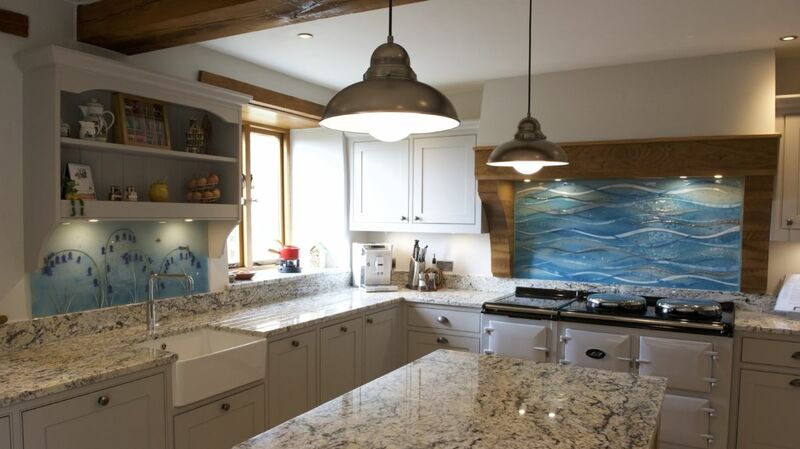 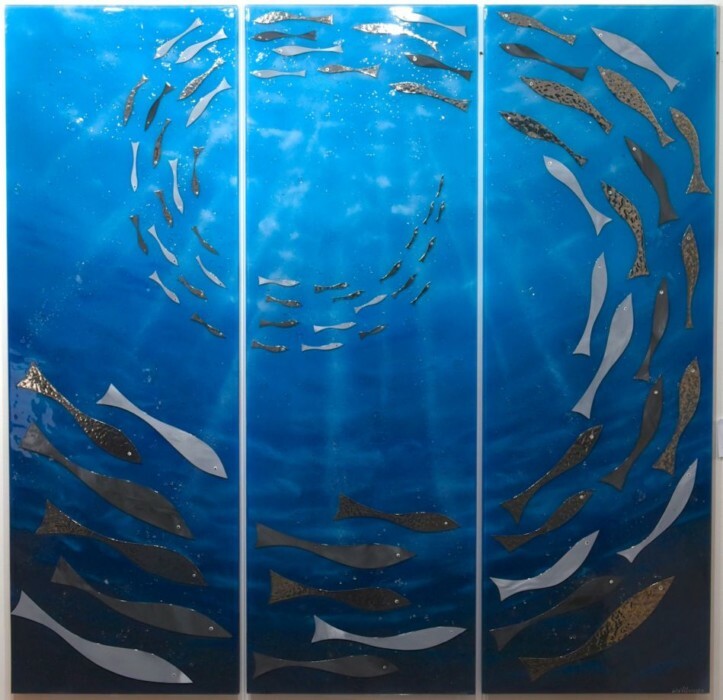 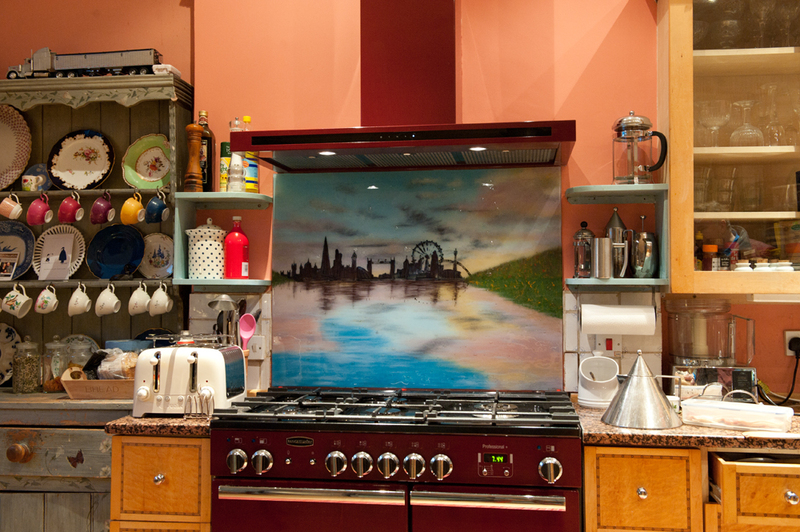 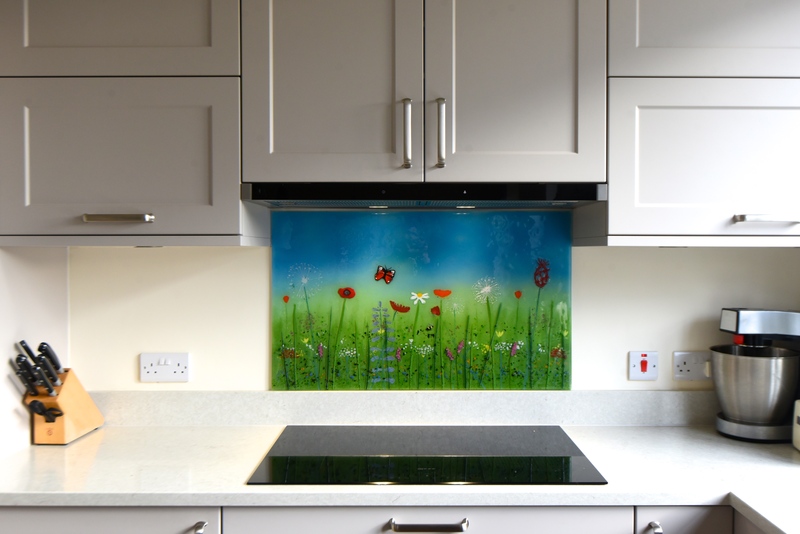 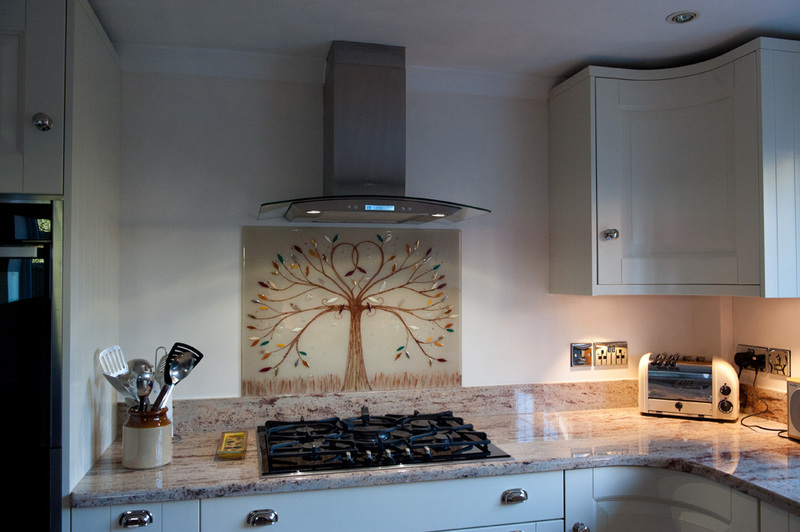 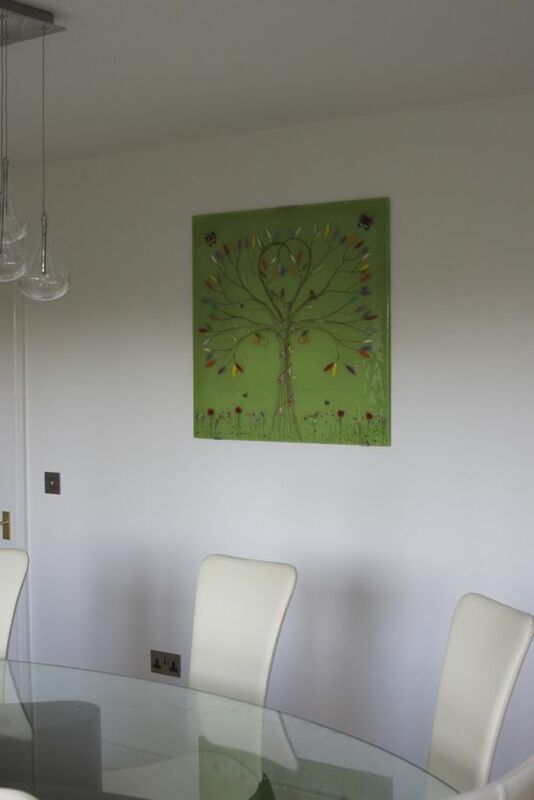 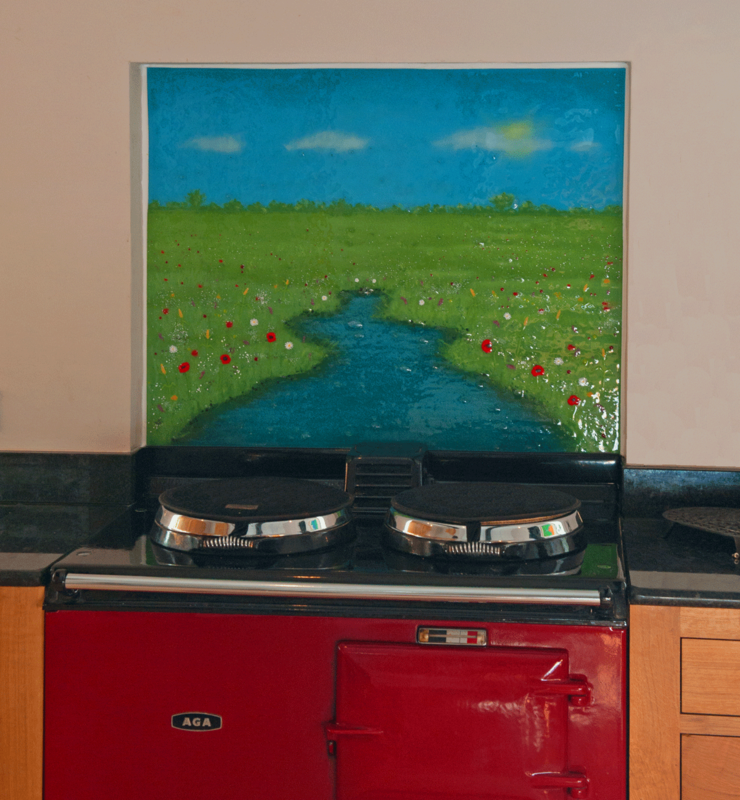 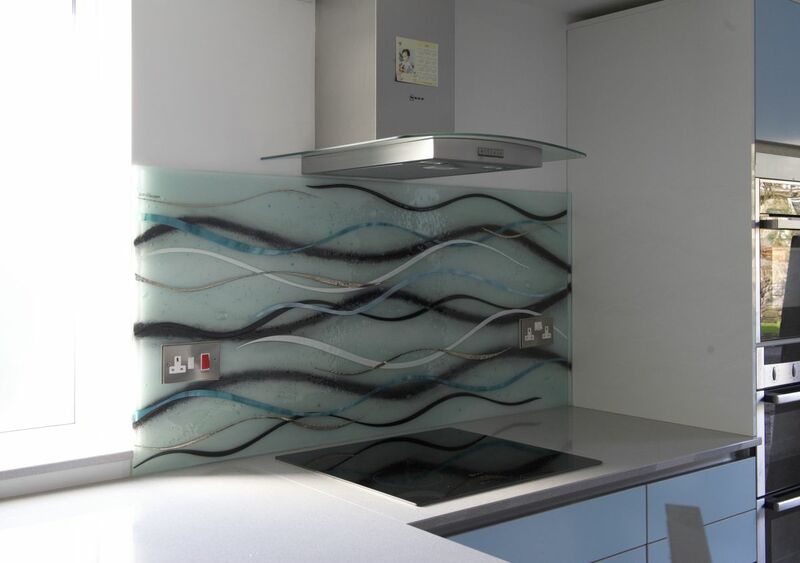 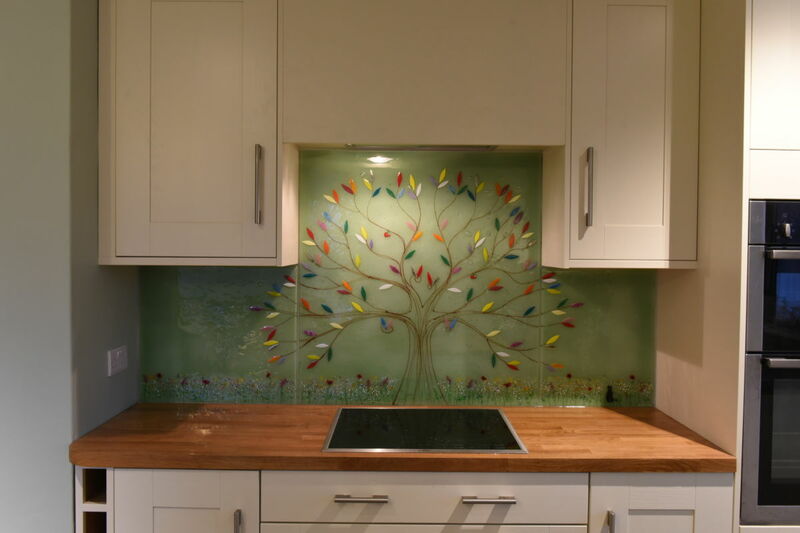 As you can see from our two most recent fused glass art installations, here at House of Ugly Fish, we are able to create a varied selection of pieces, to suit any requirement, which is one of the many benefits of us creating each kitchen splash back and fused glass art piece by hand and from scratch!